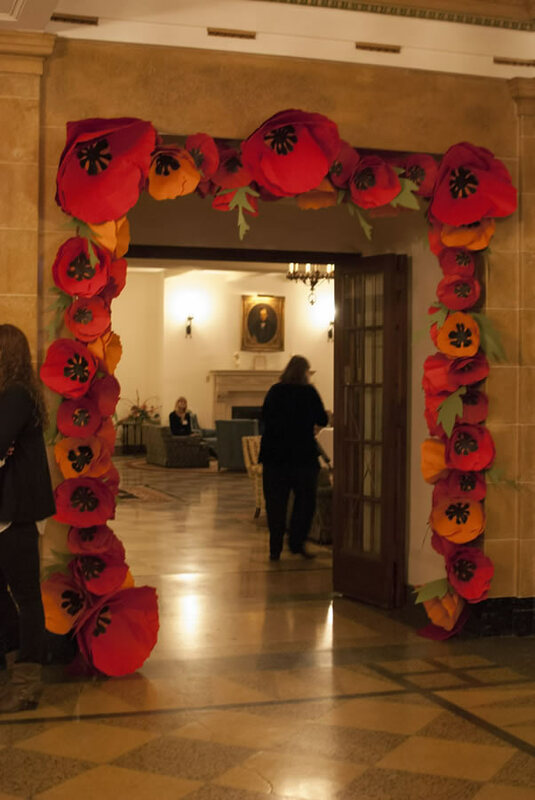 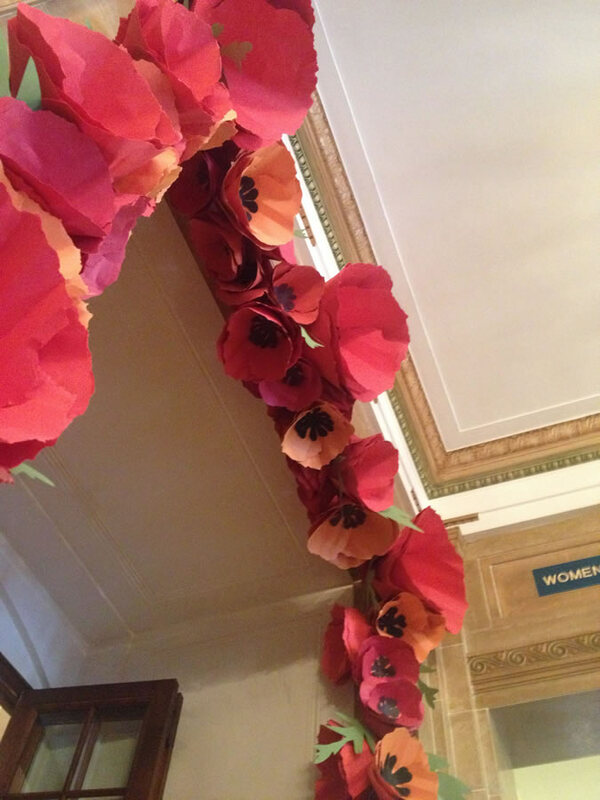 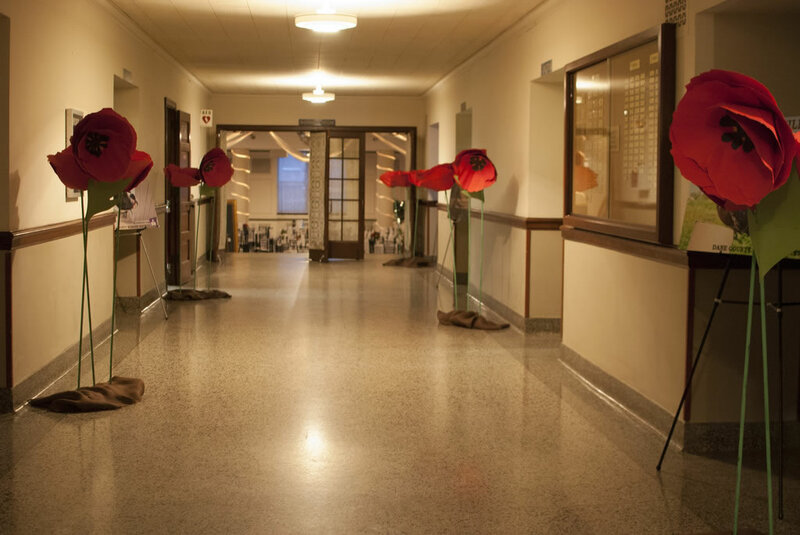 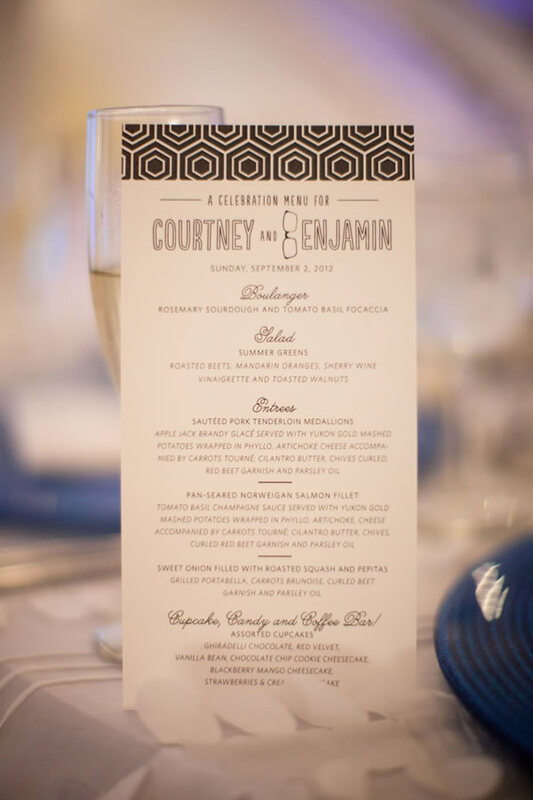 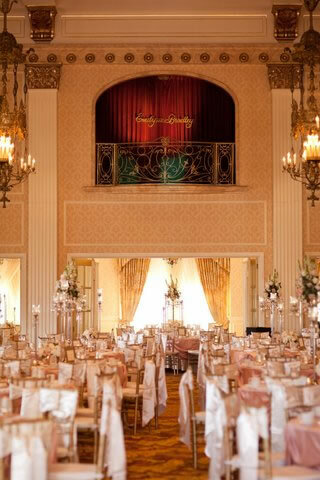 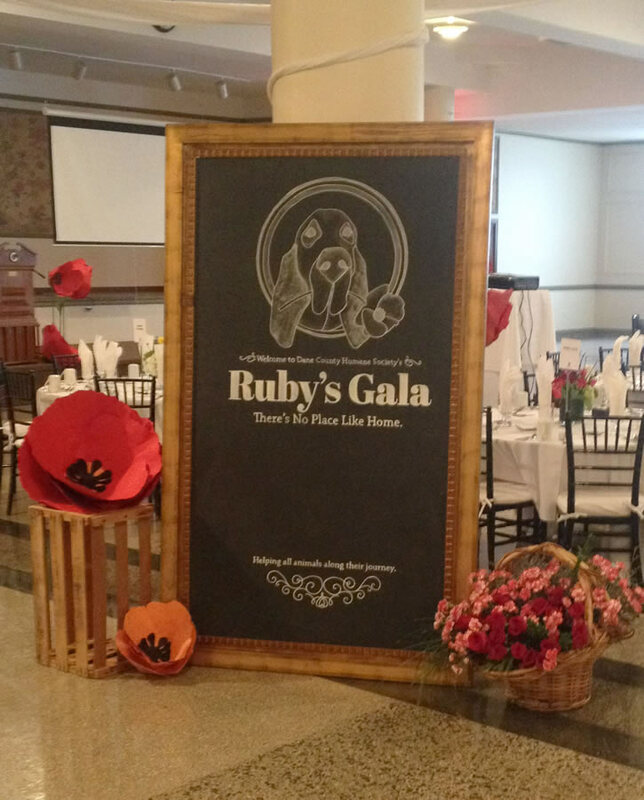 Upscale design as special as the event it heralds. 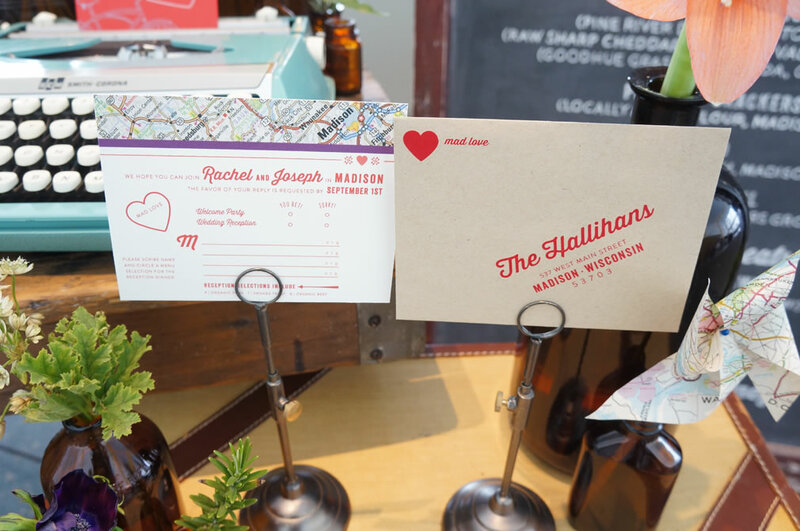 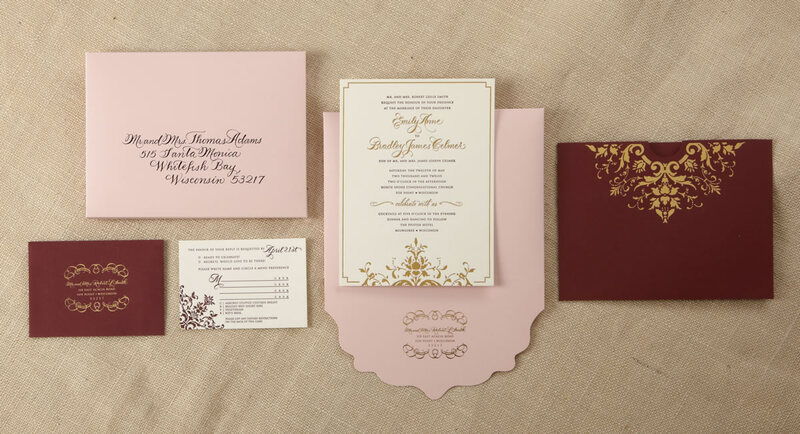 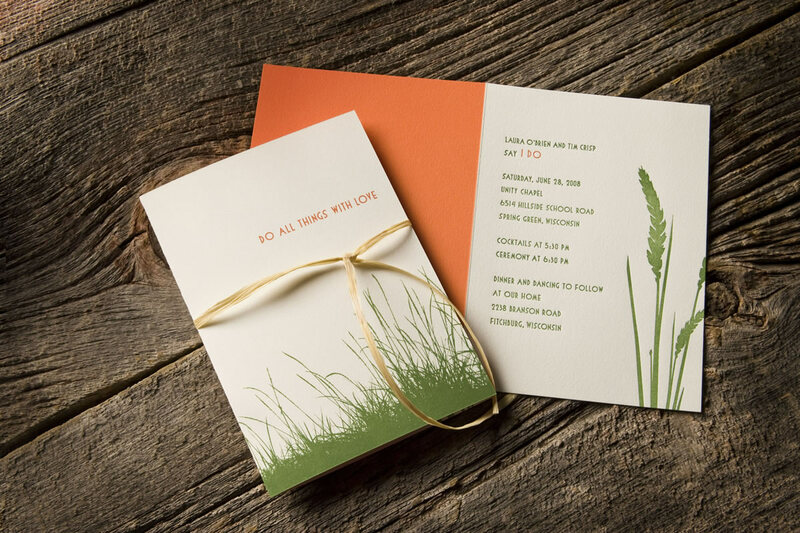 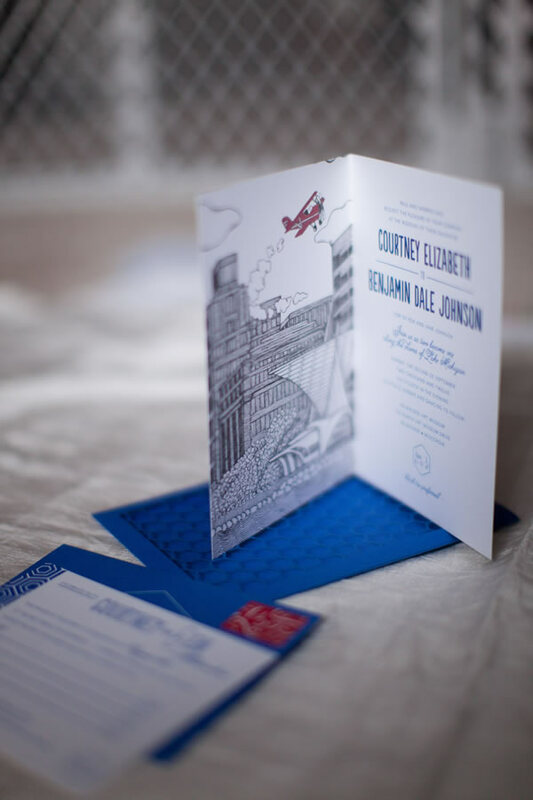 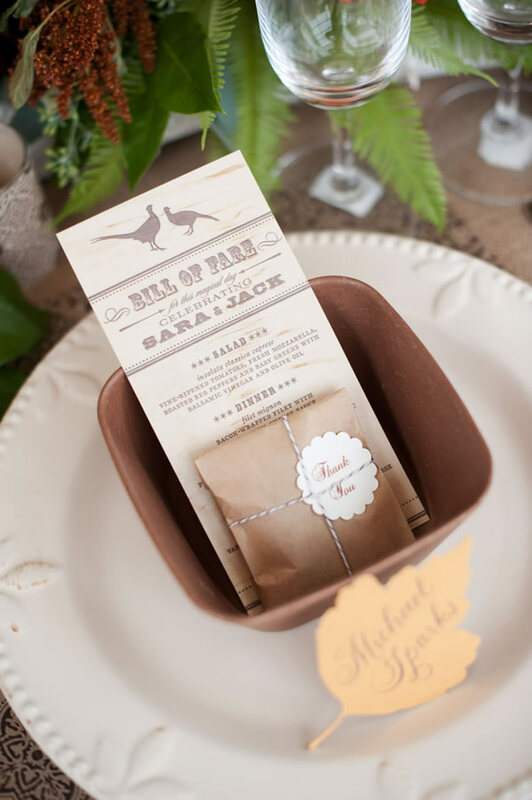 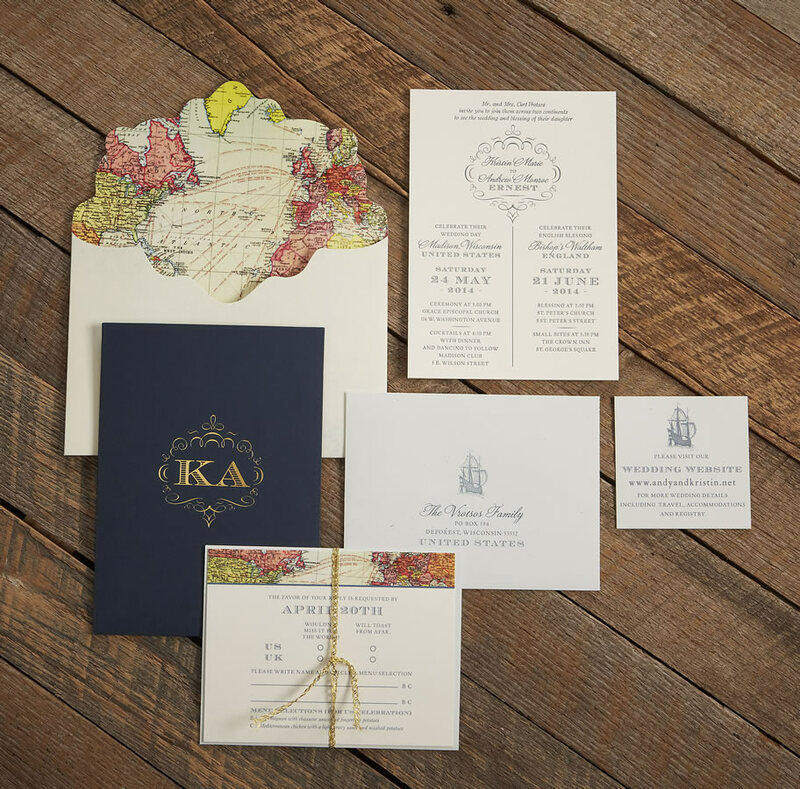 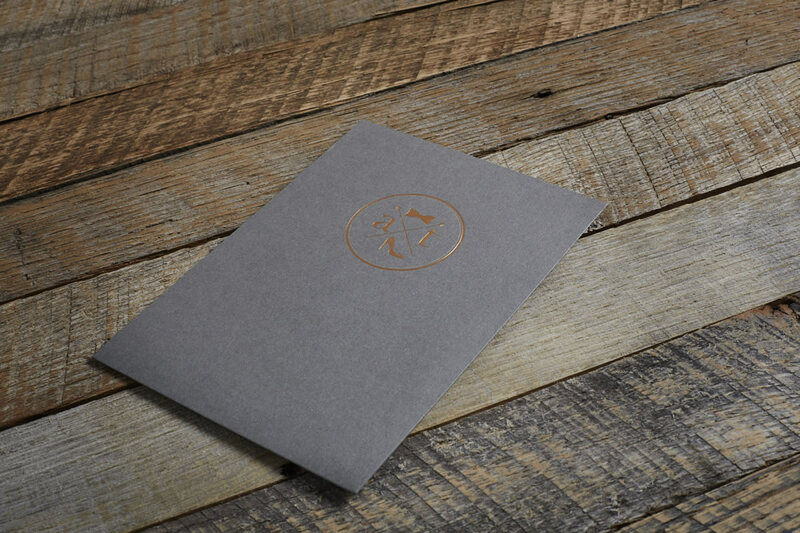 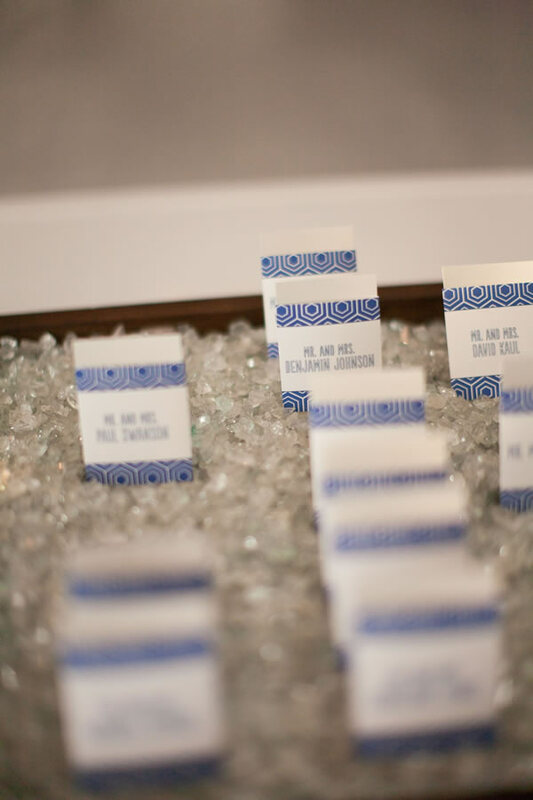 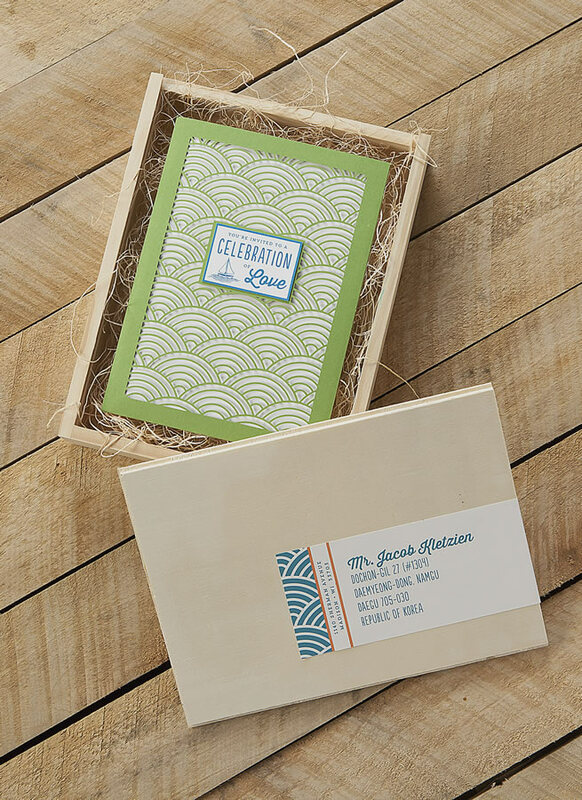 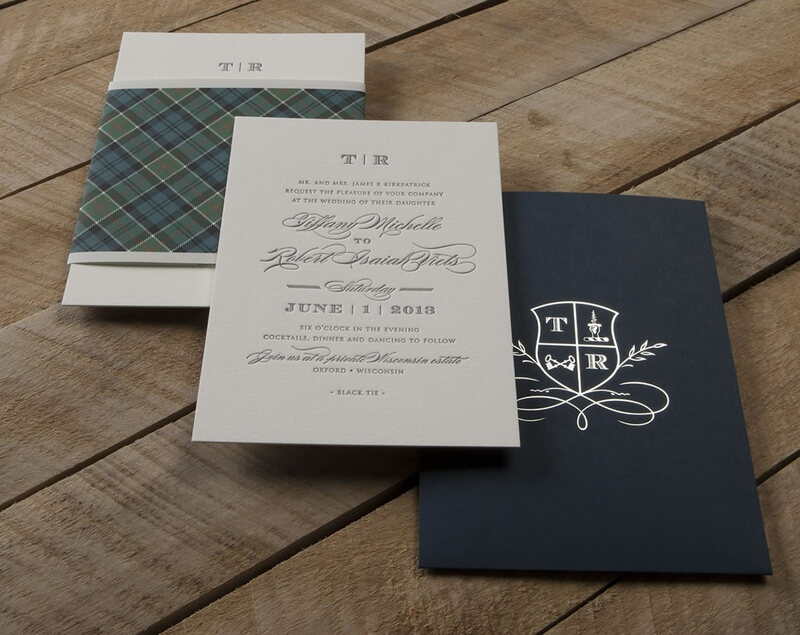 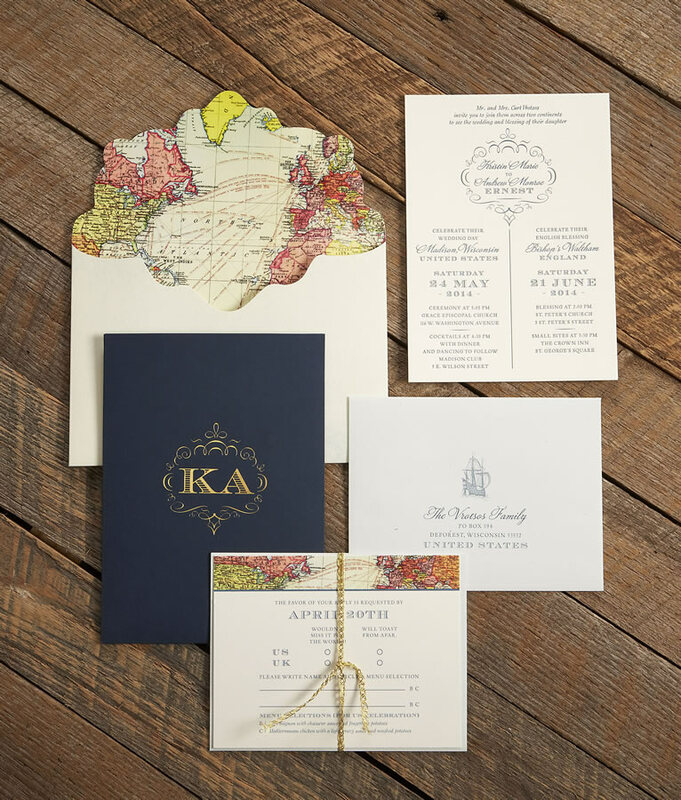 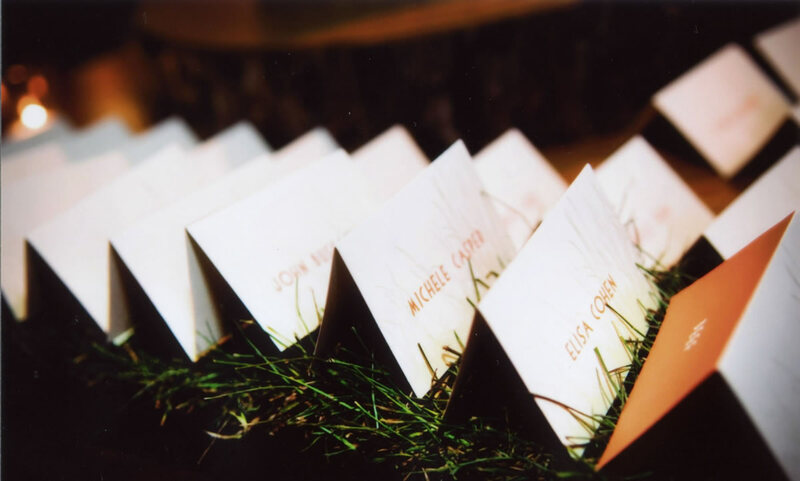 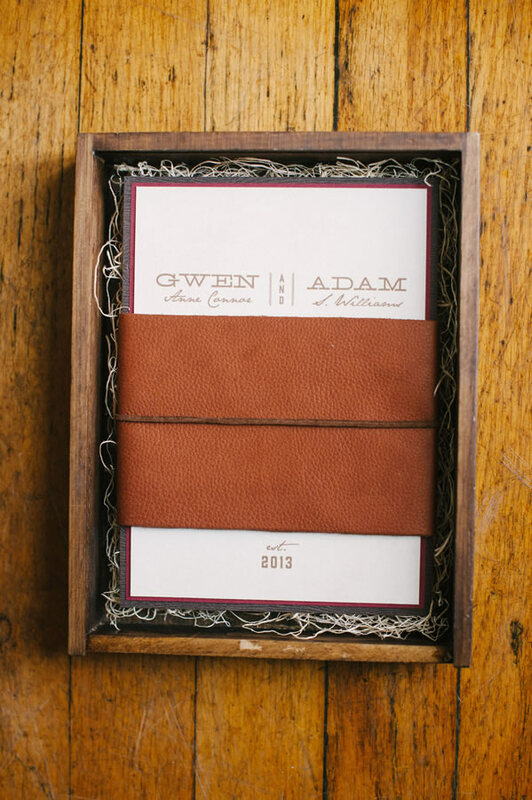 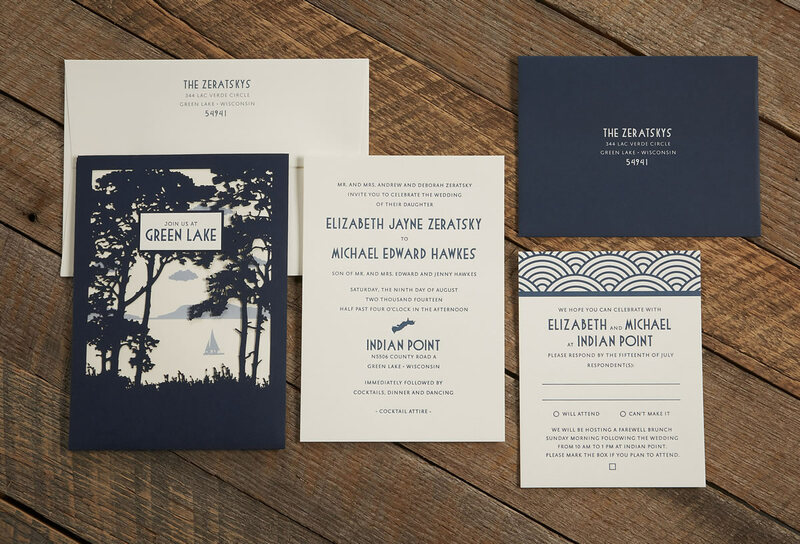 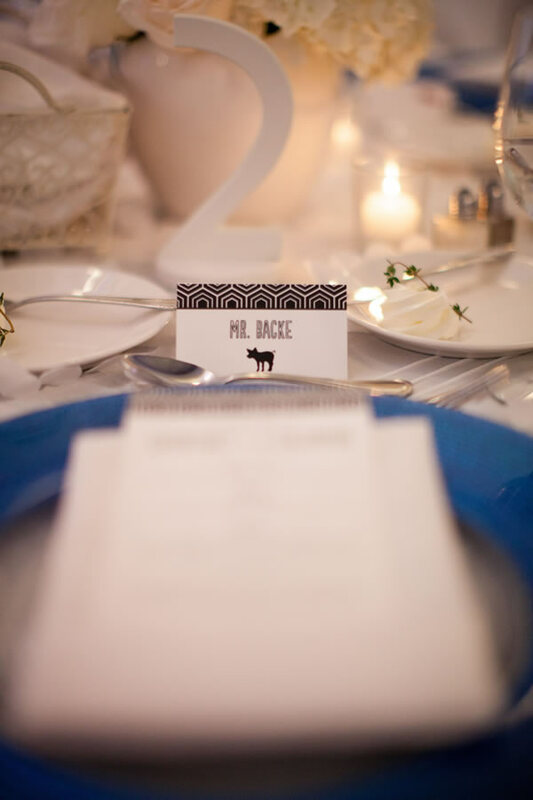 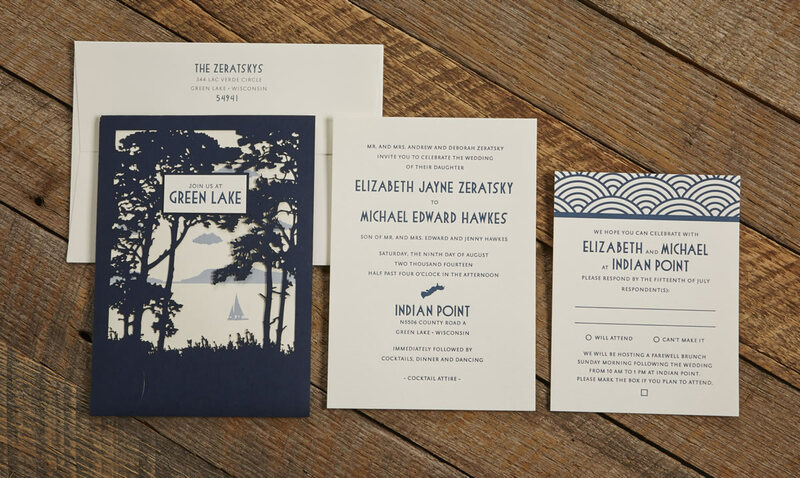 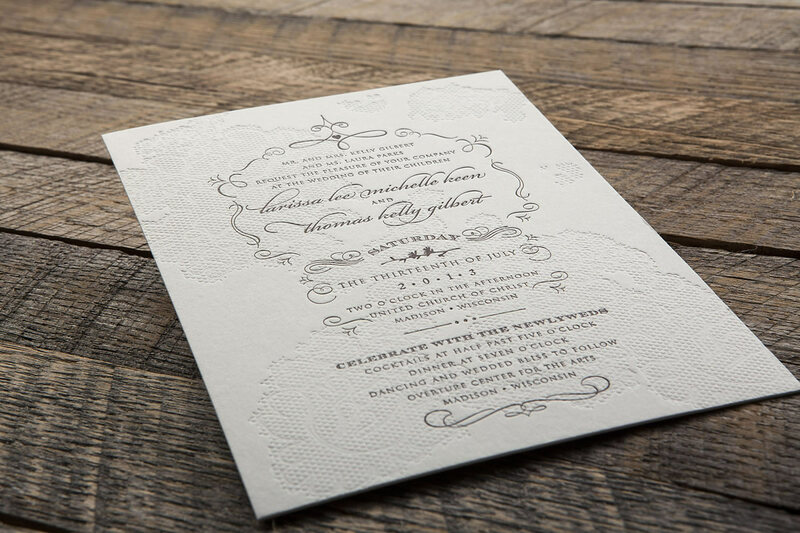 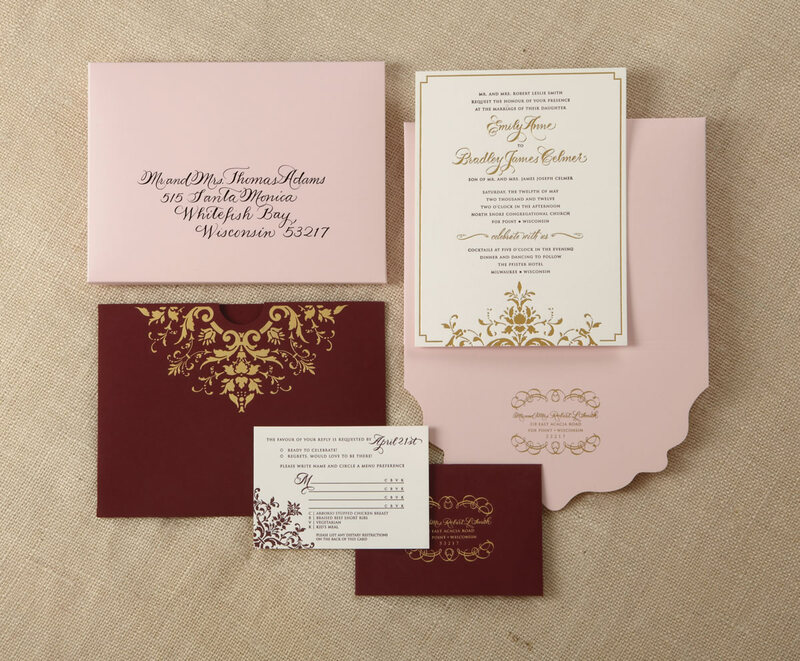 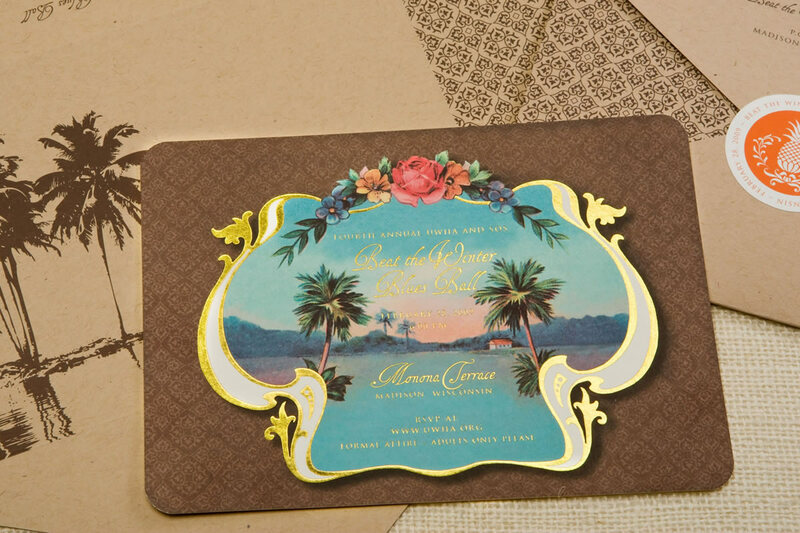 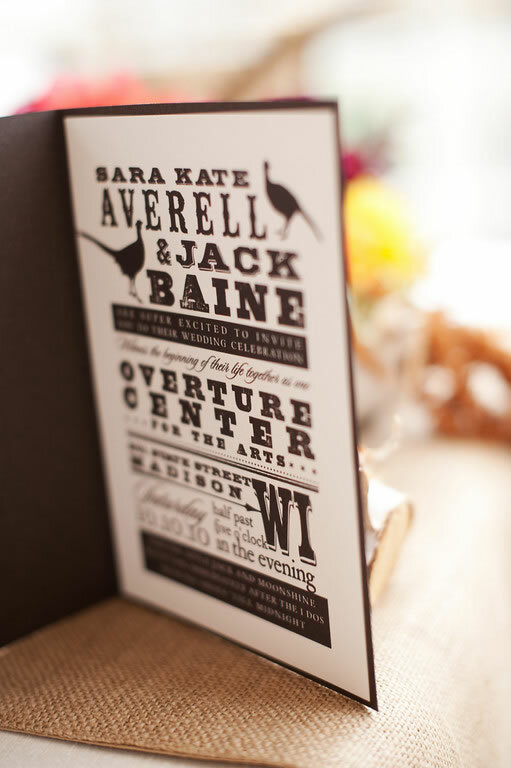 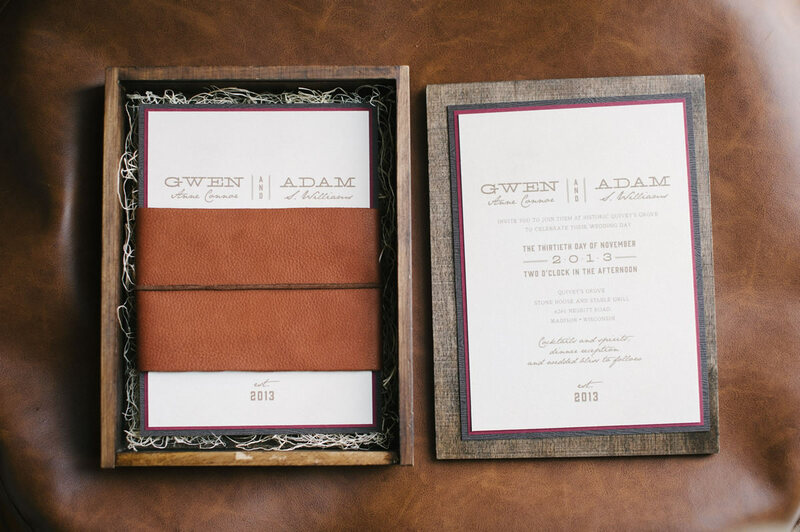 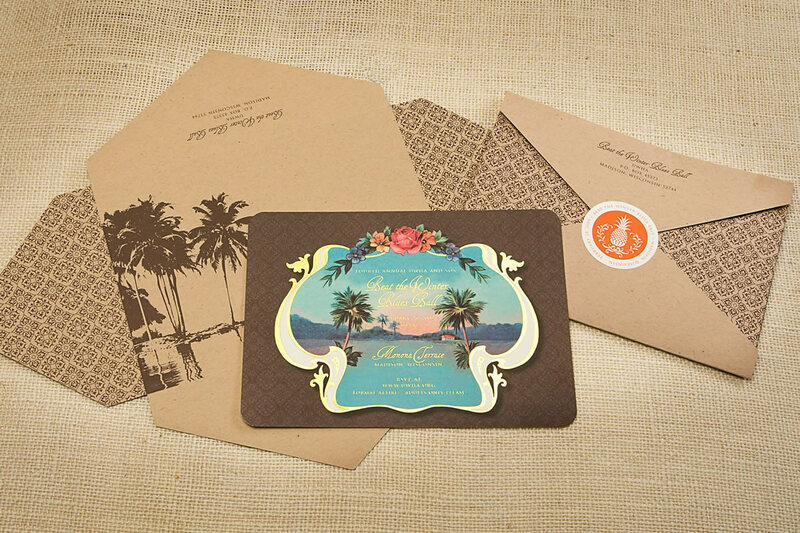 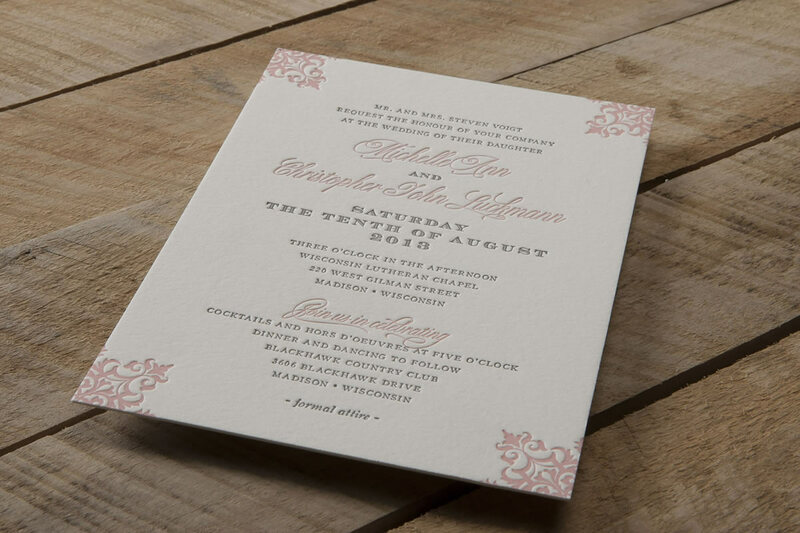 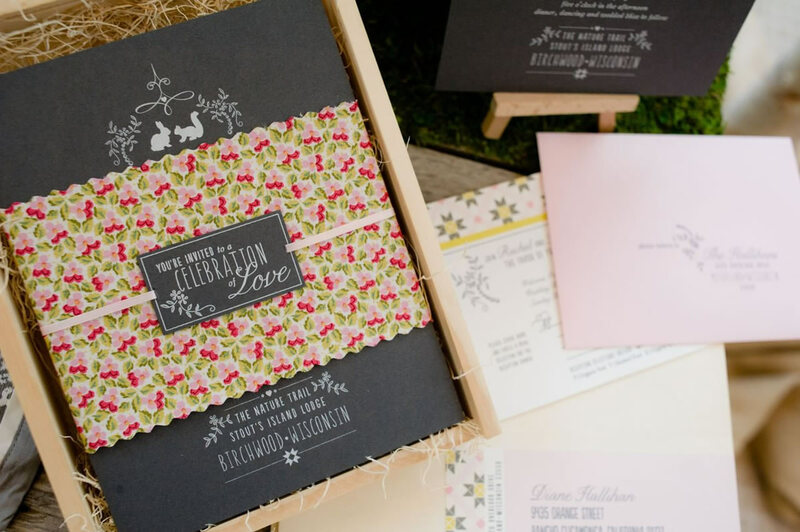 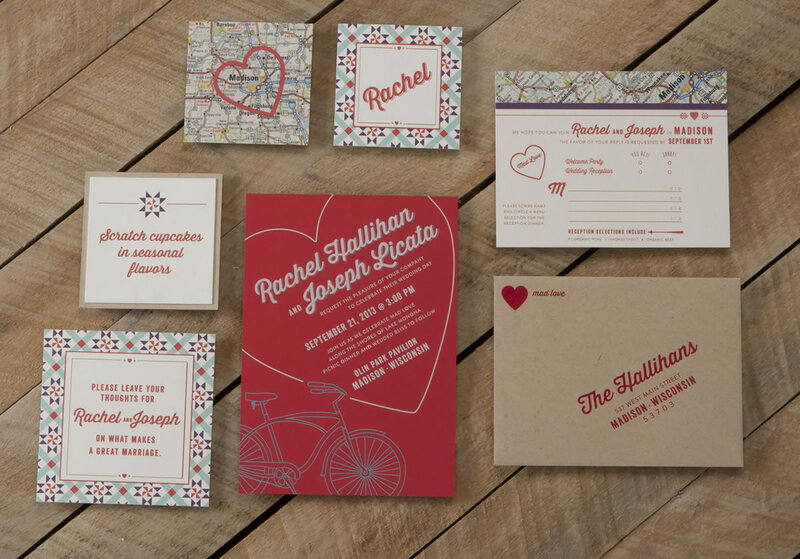 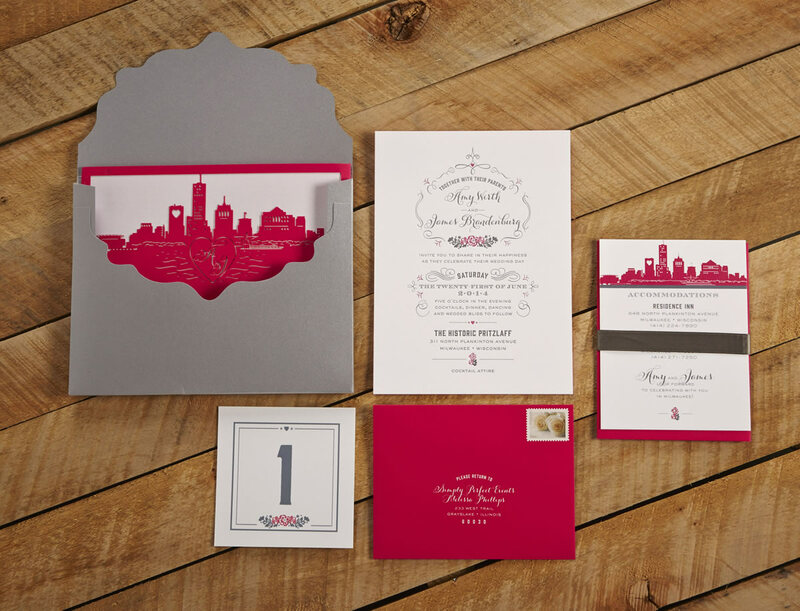 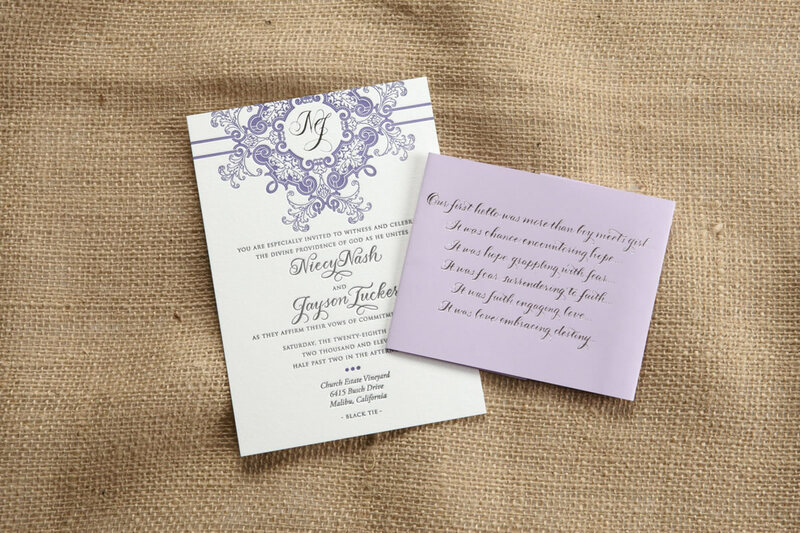 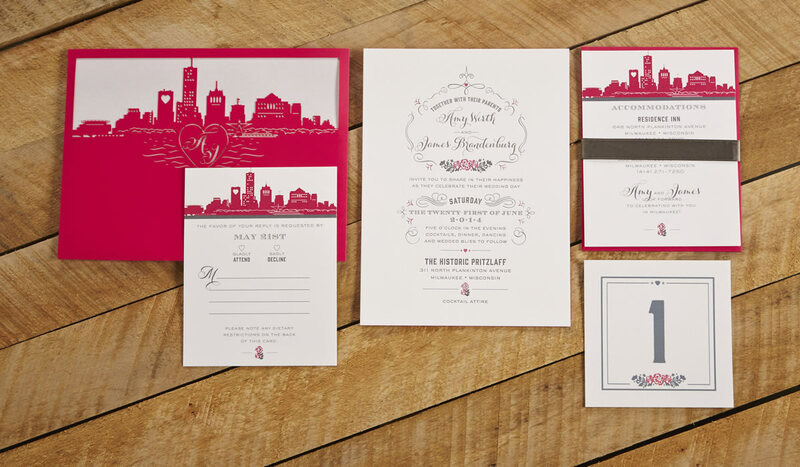 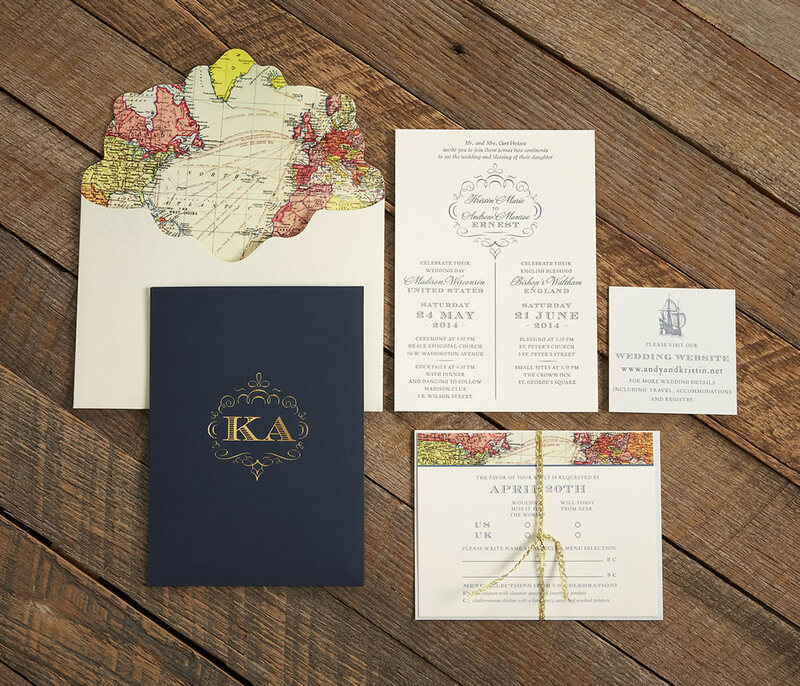 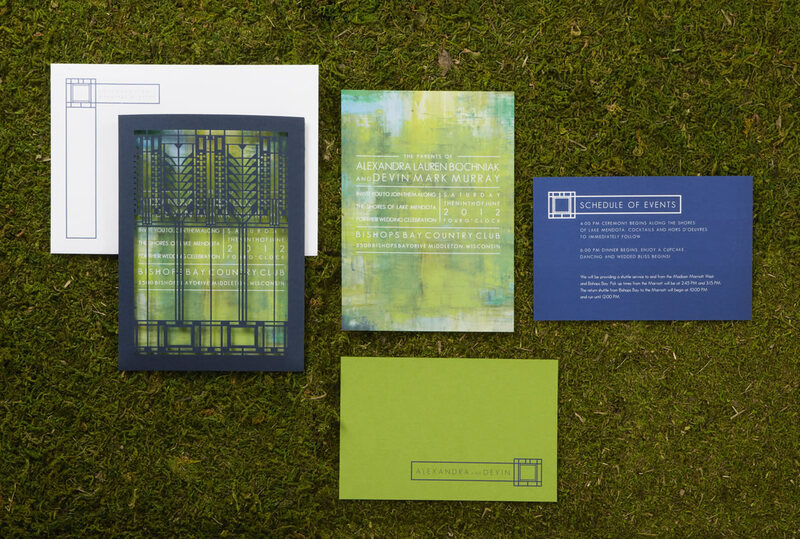 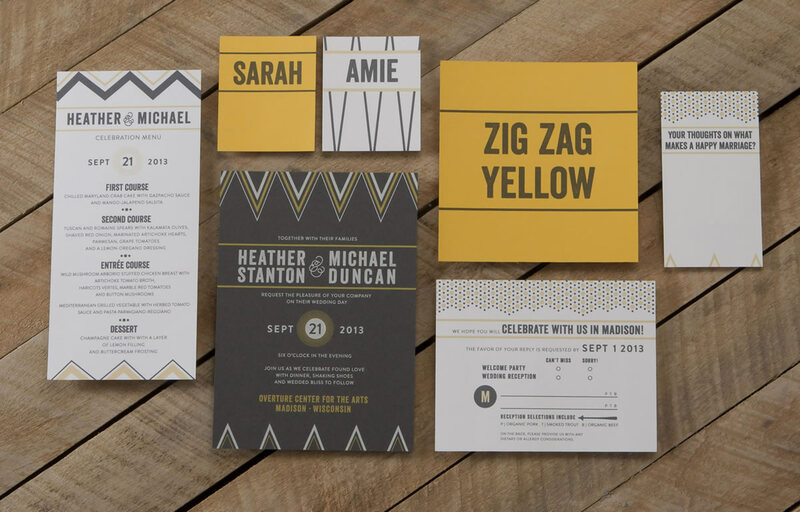 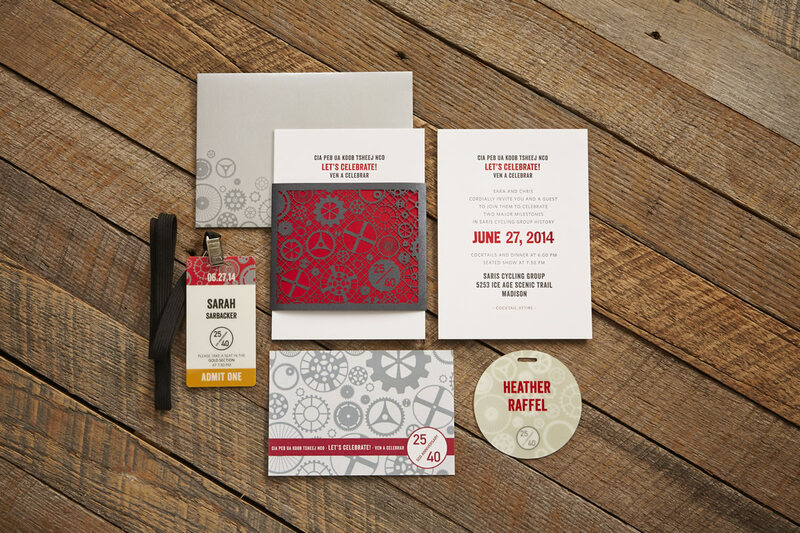 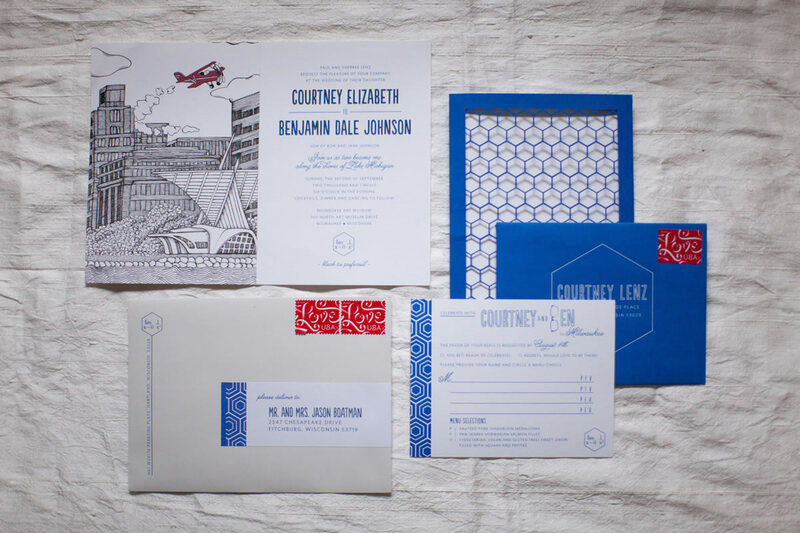 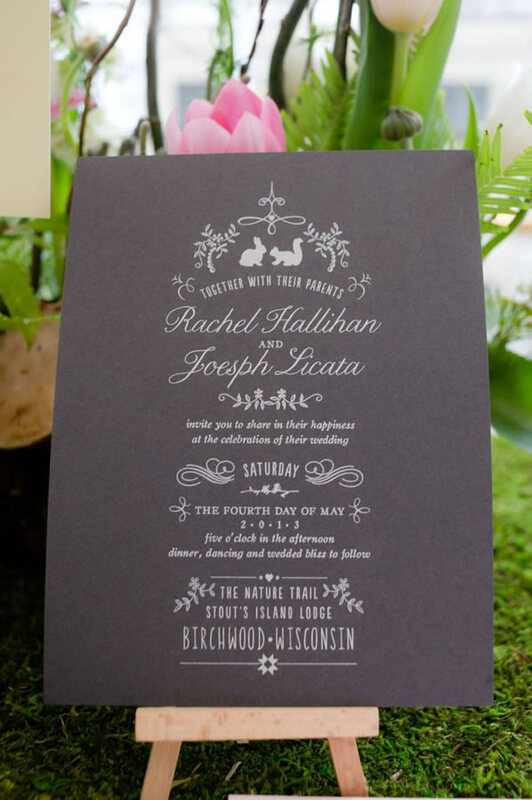 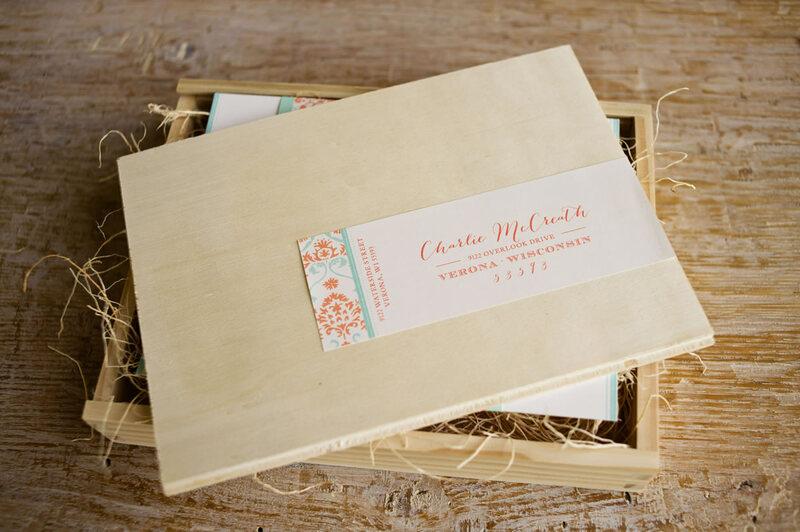 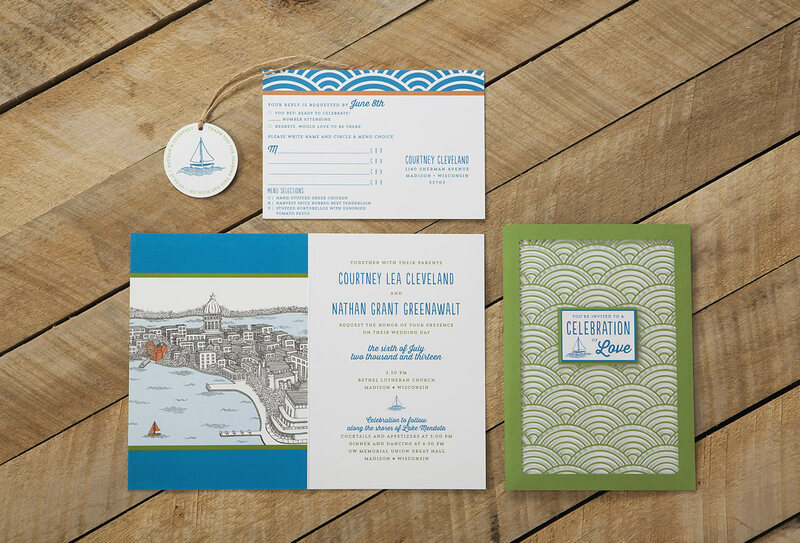 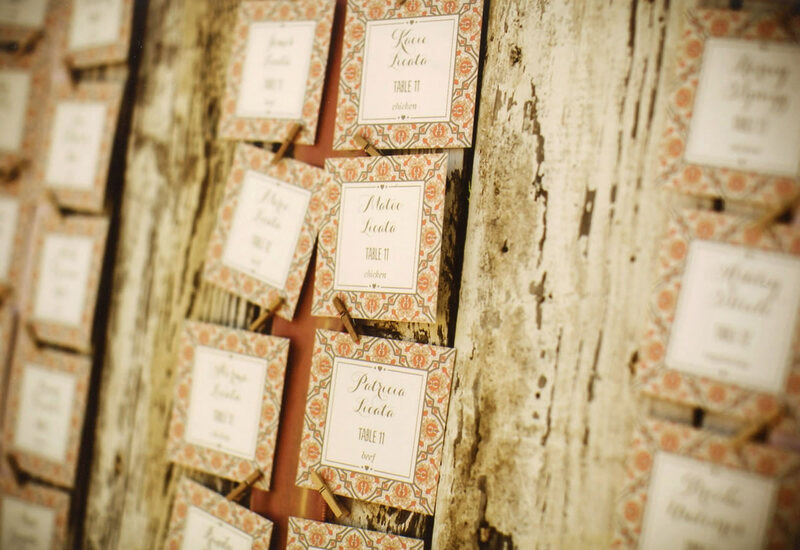 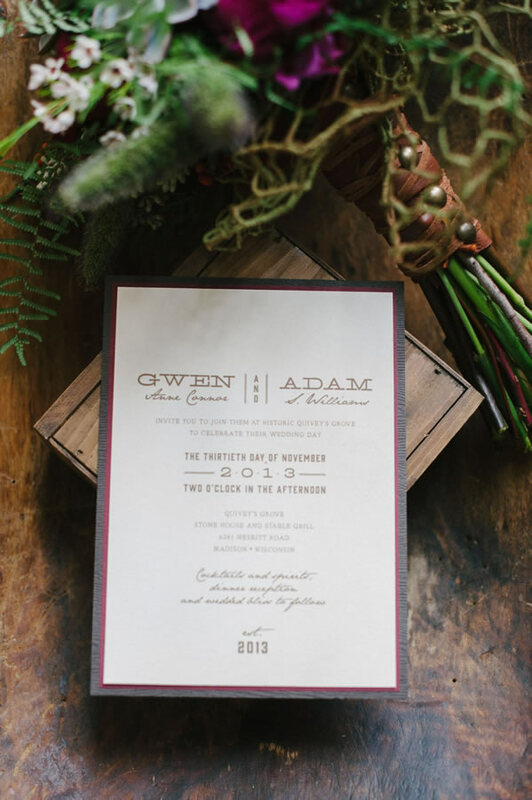 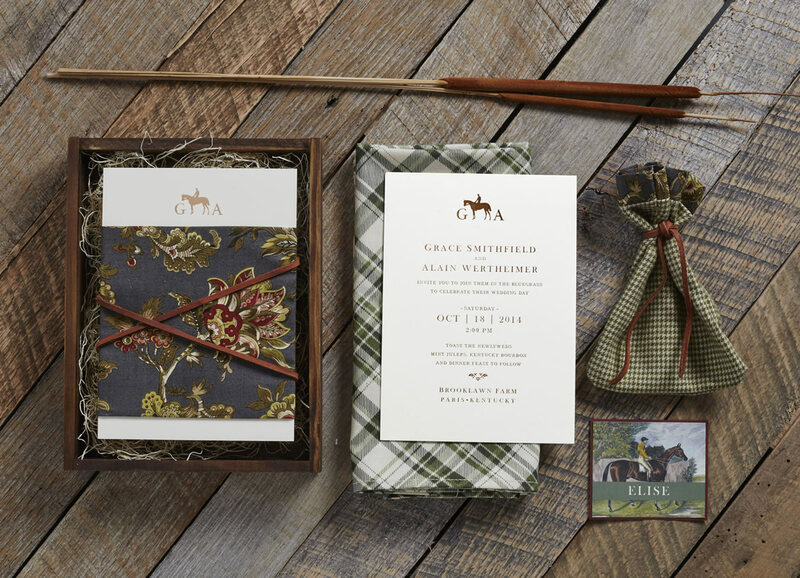 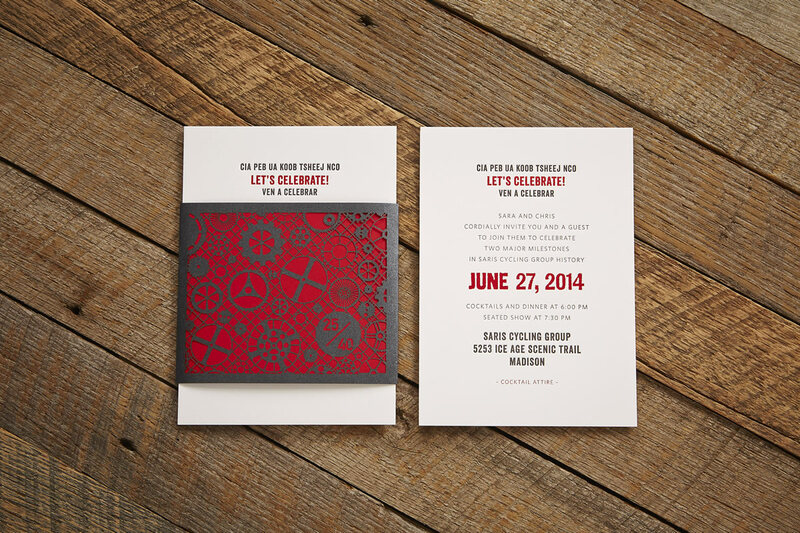 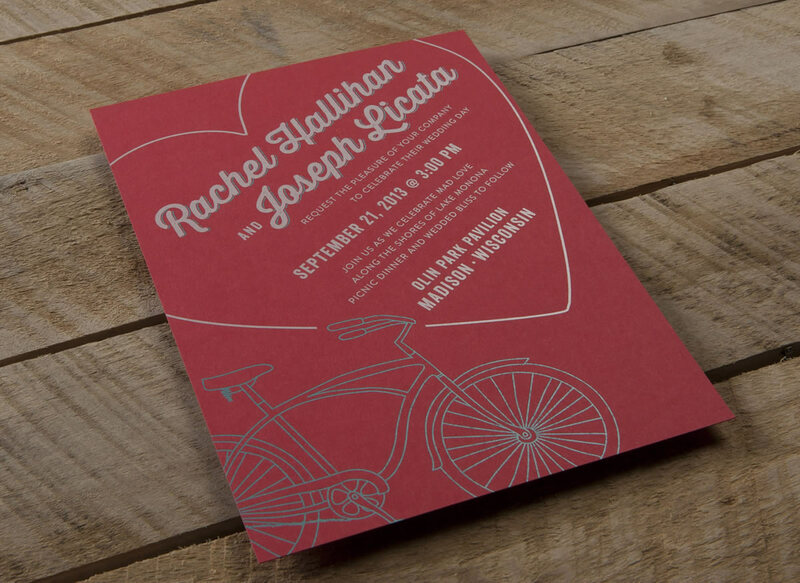 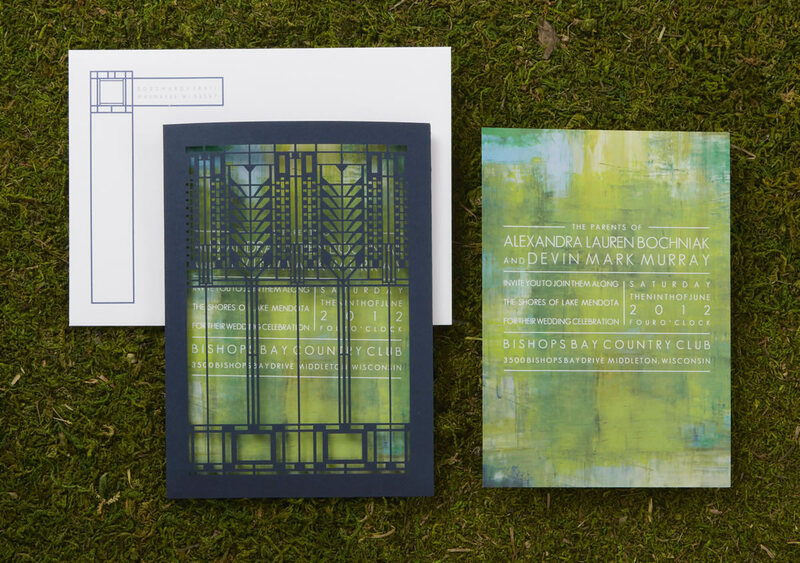 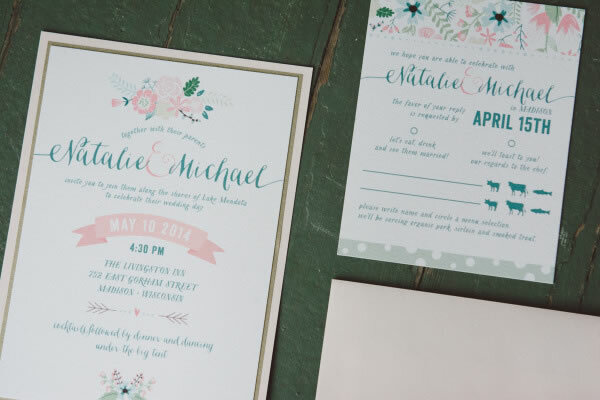 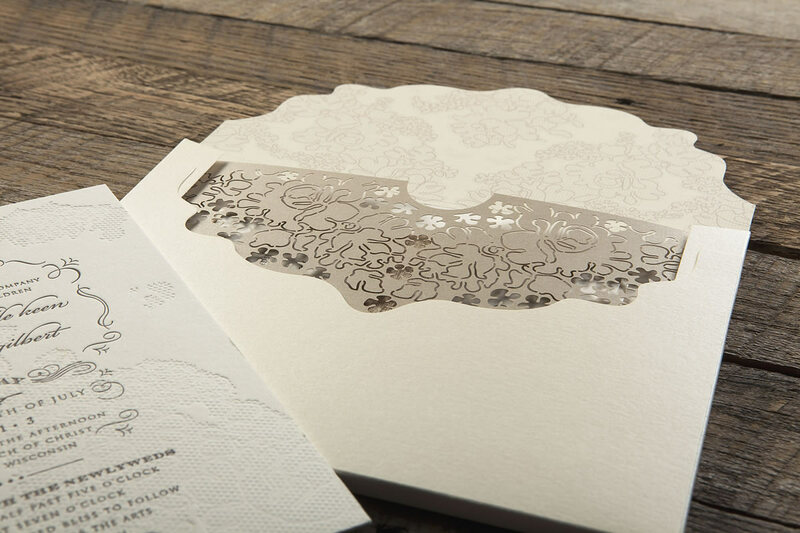 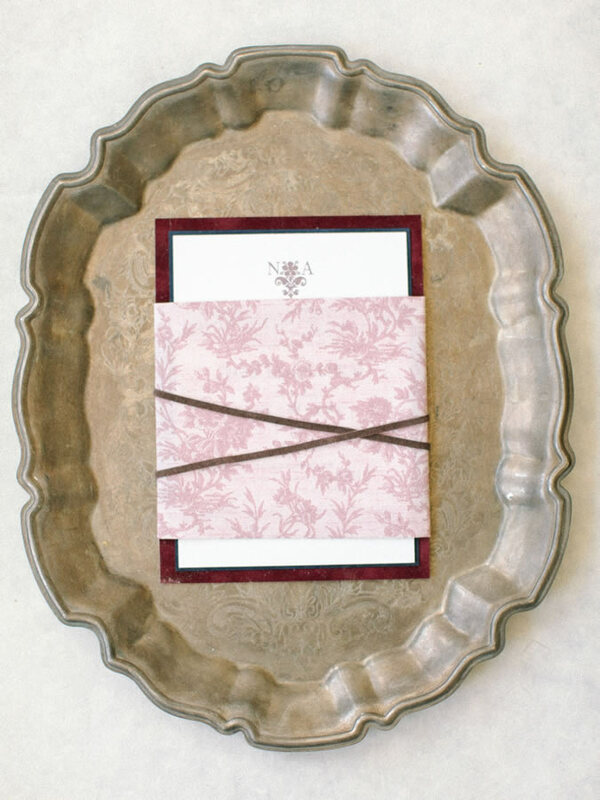 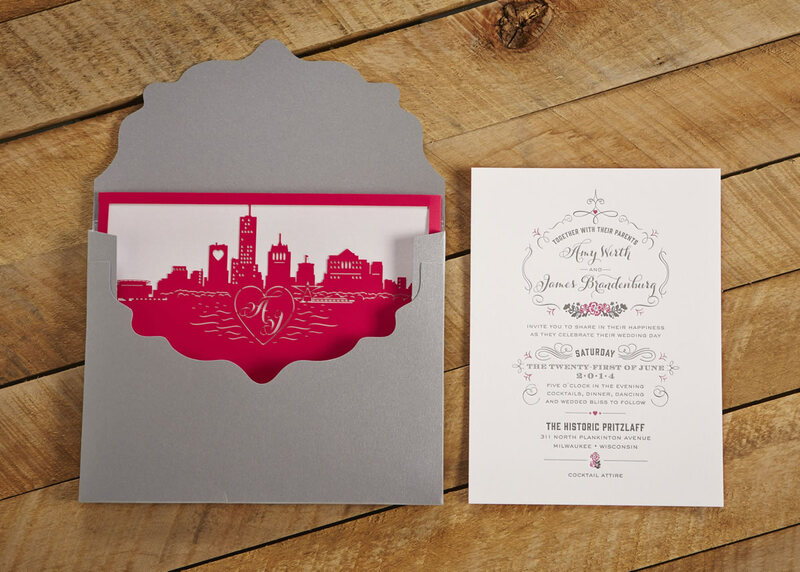 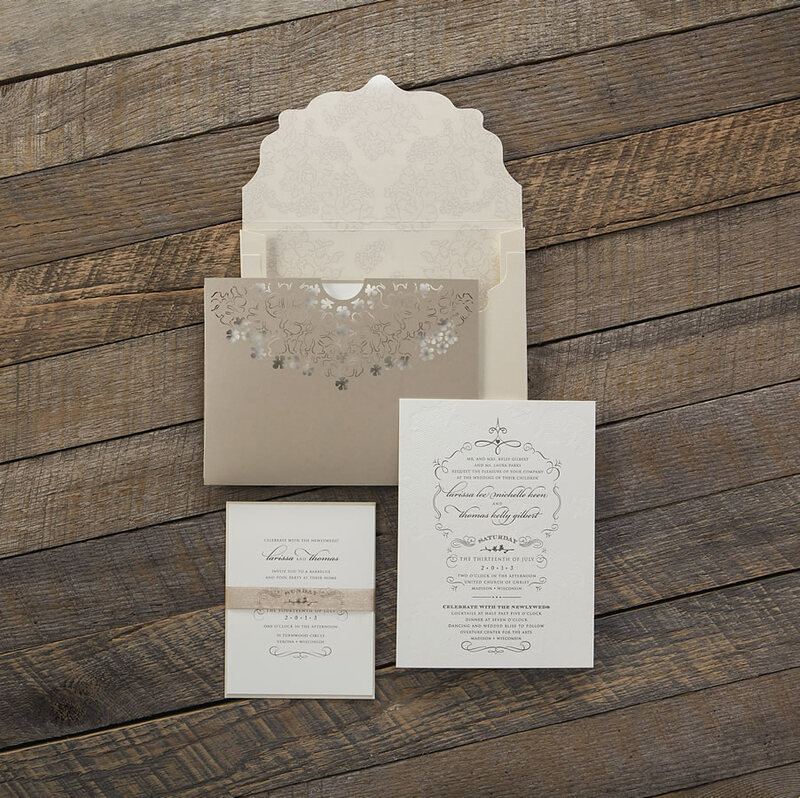 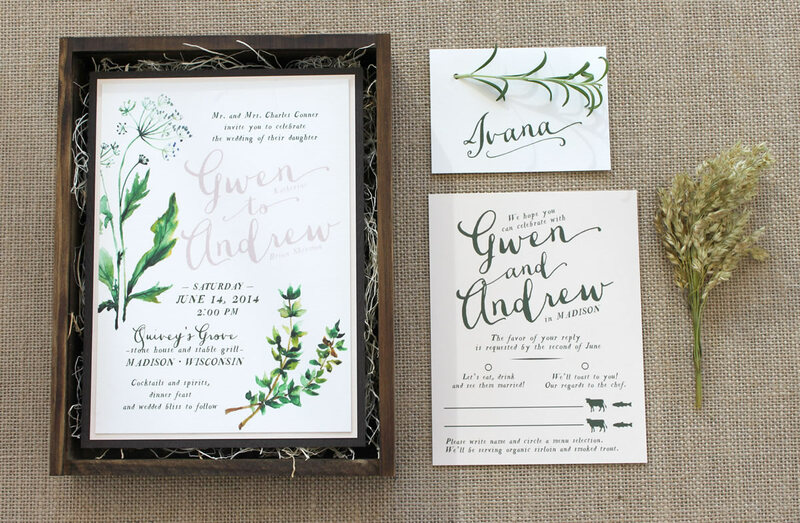 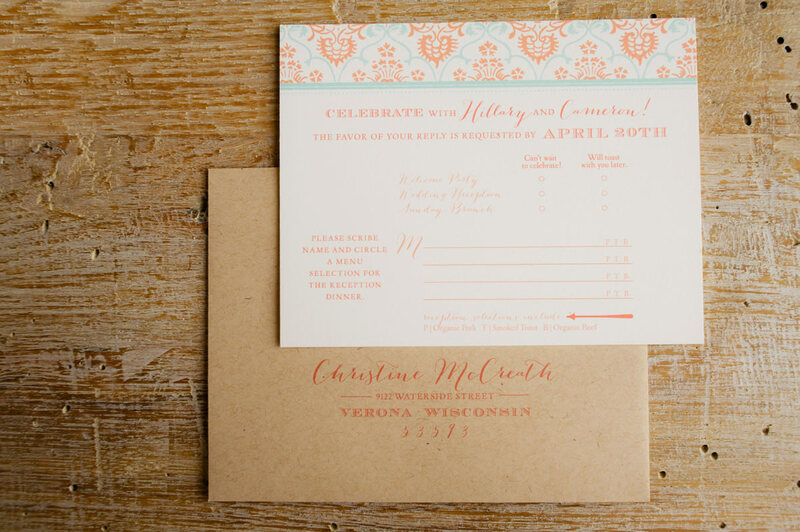 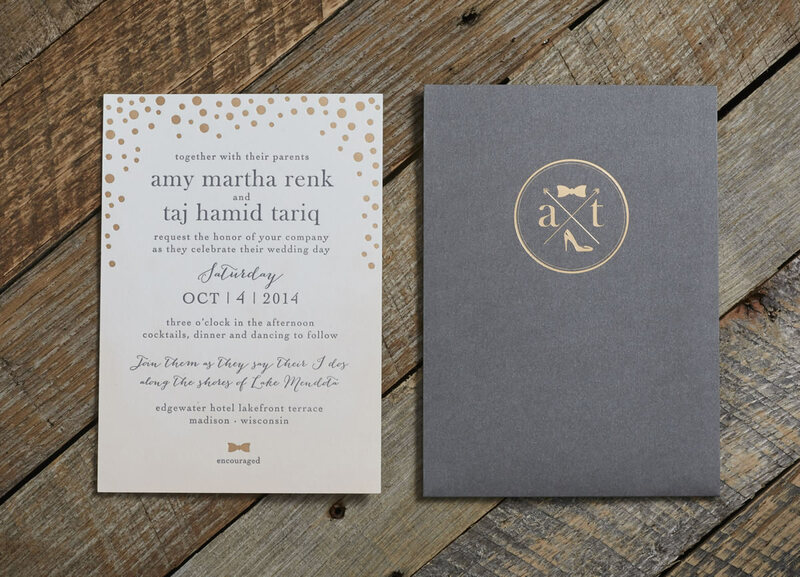 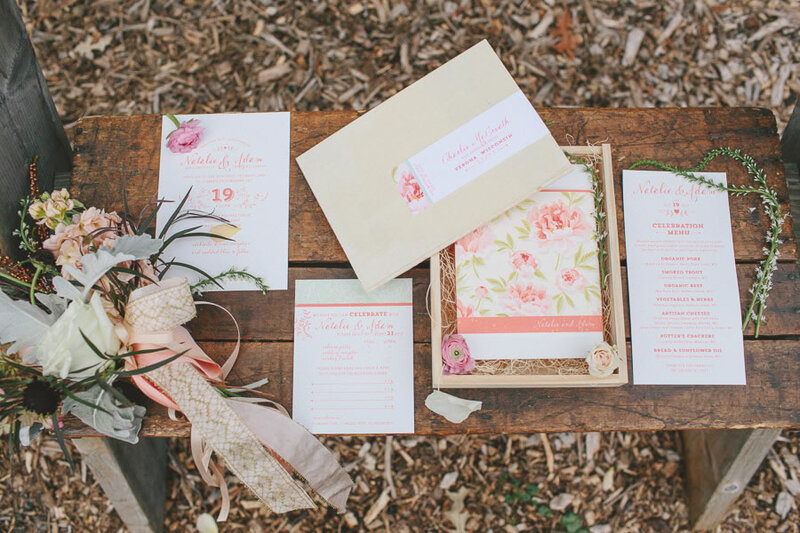 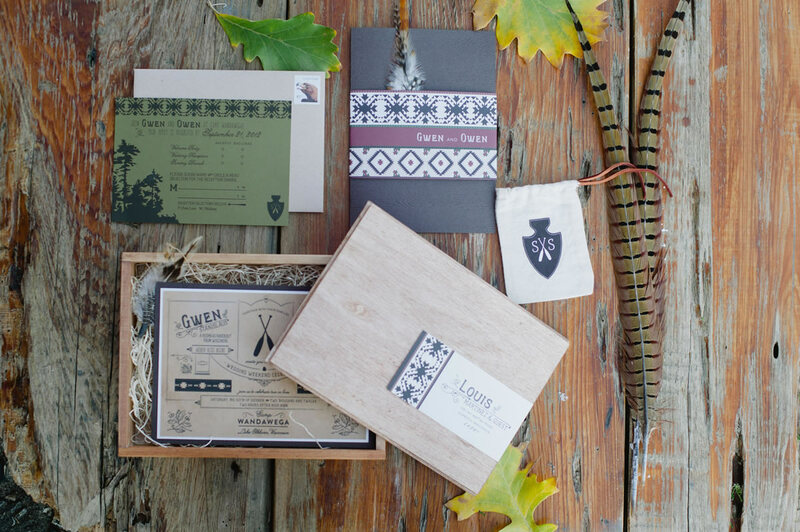 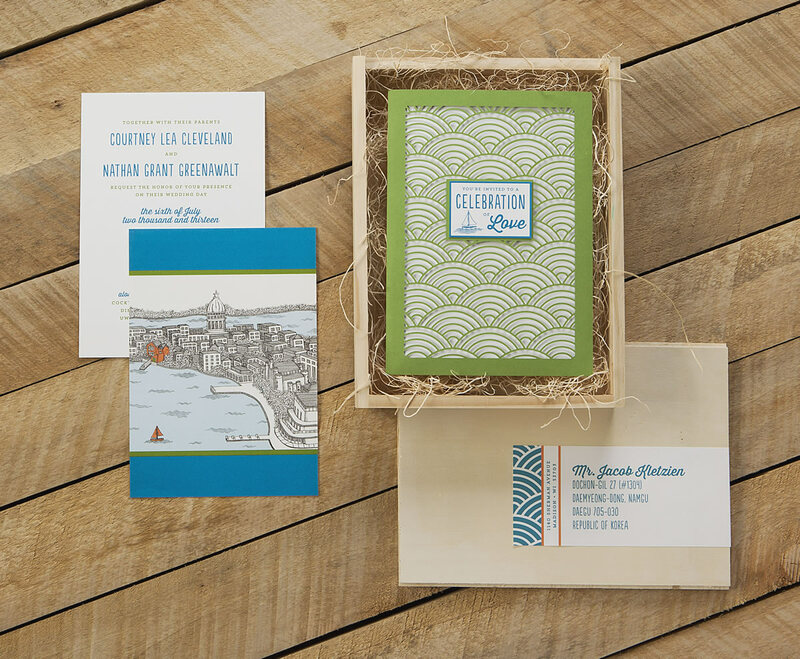 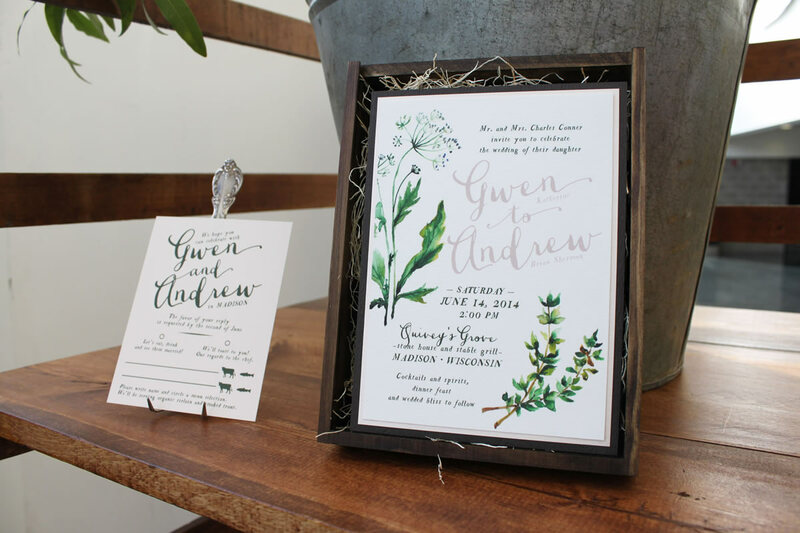 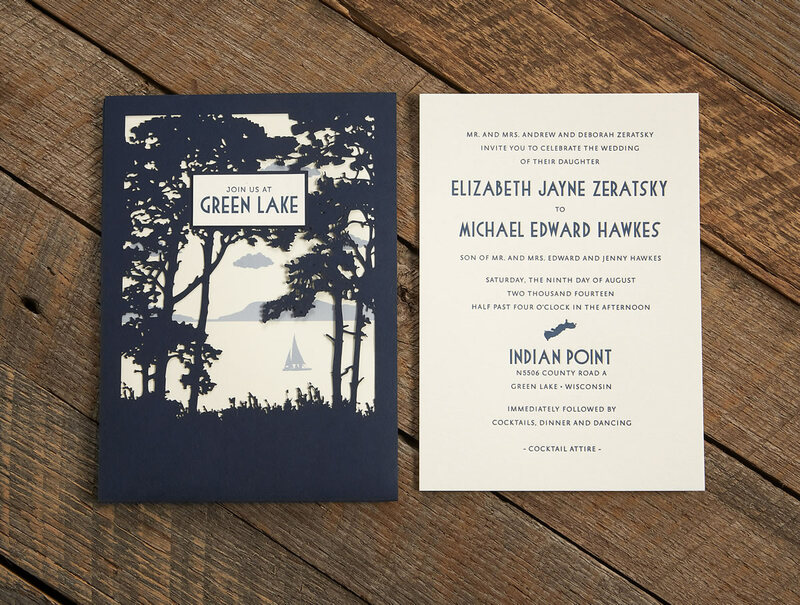 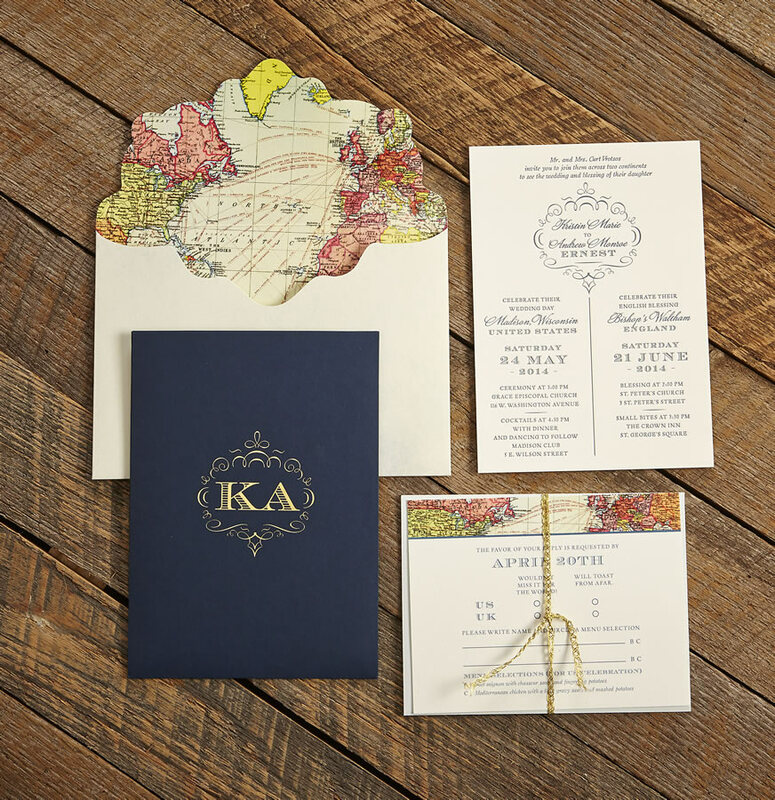 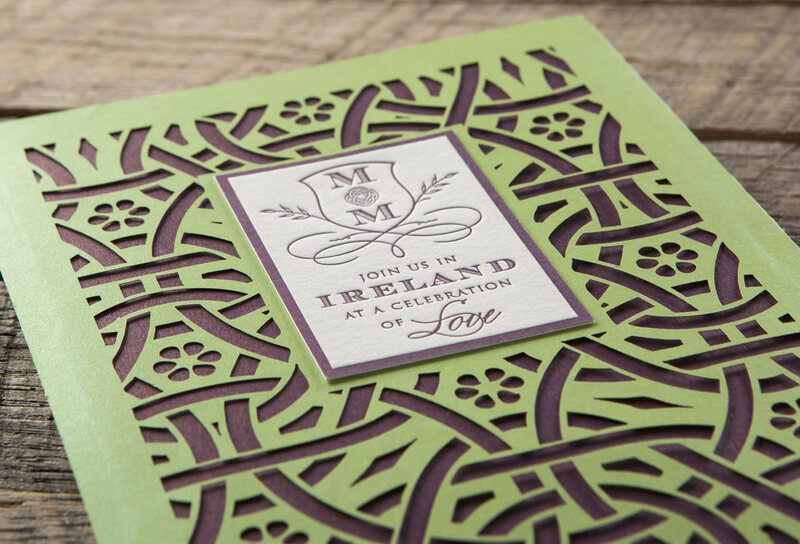 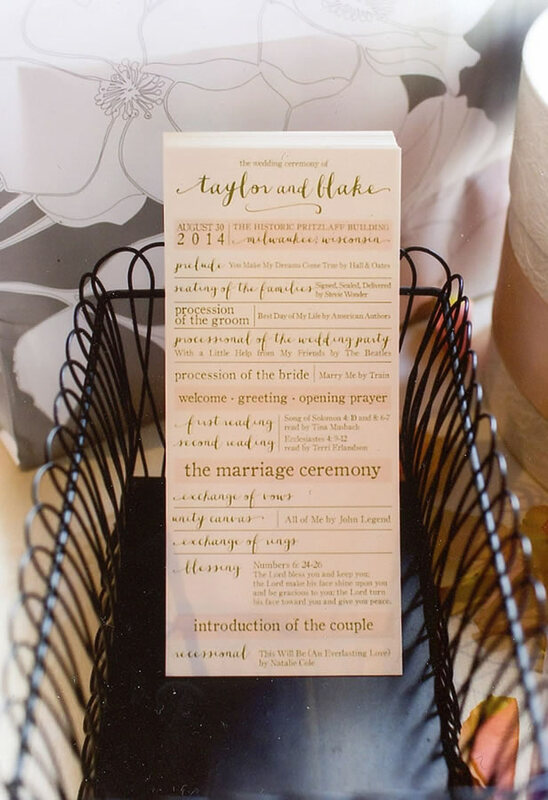 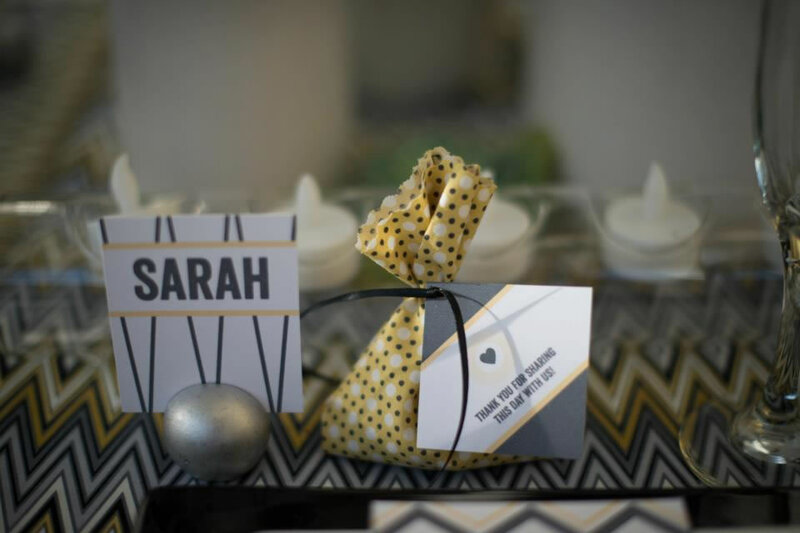 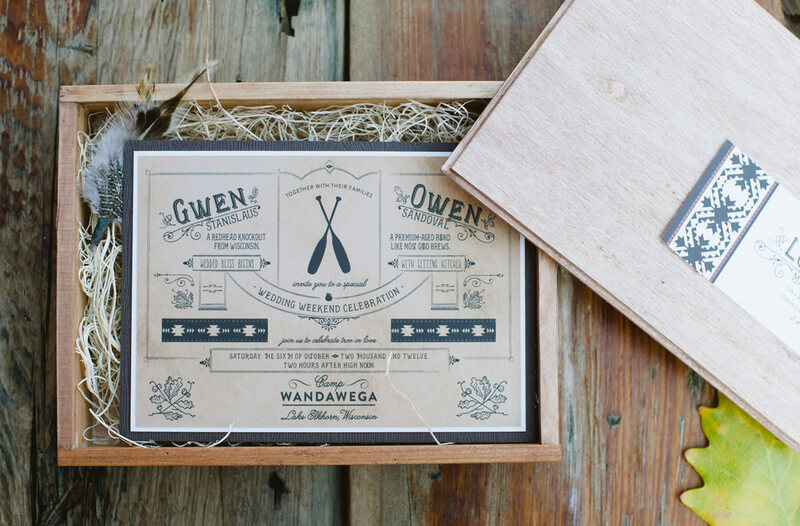 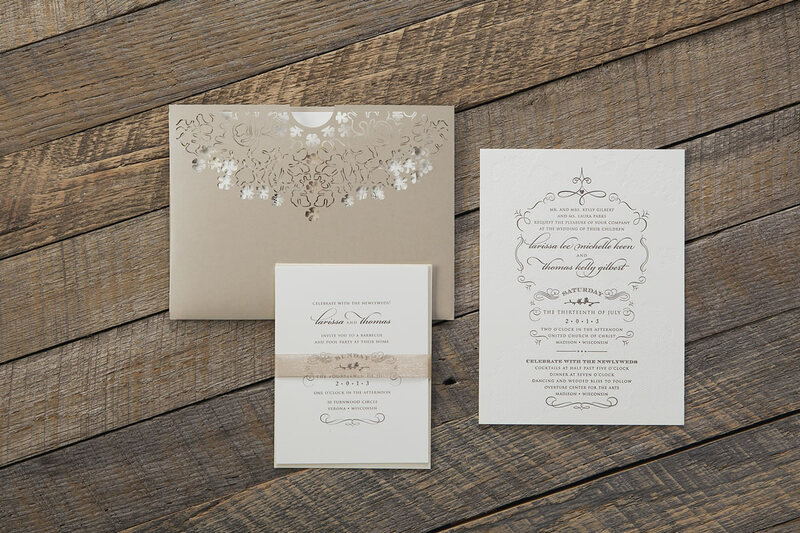 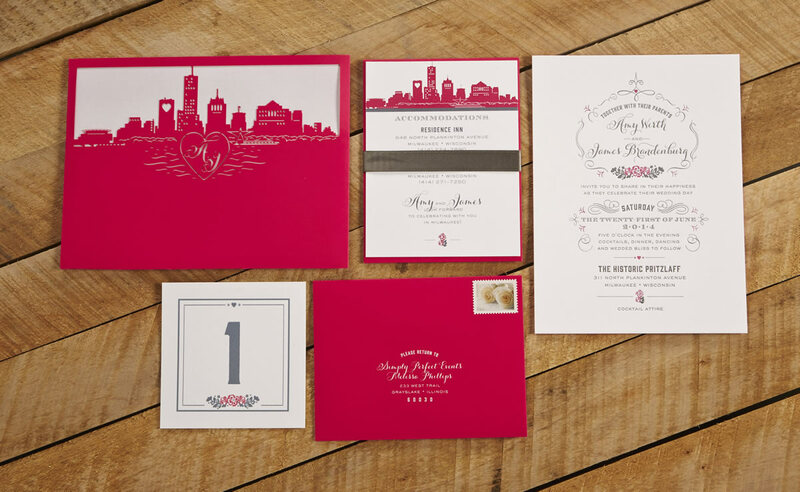 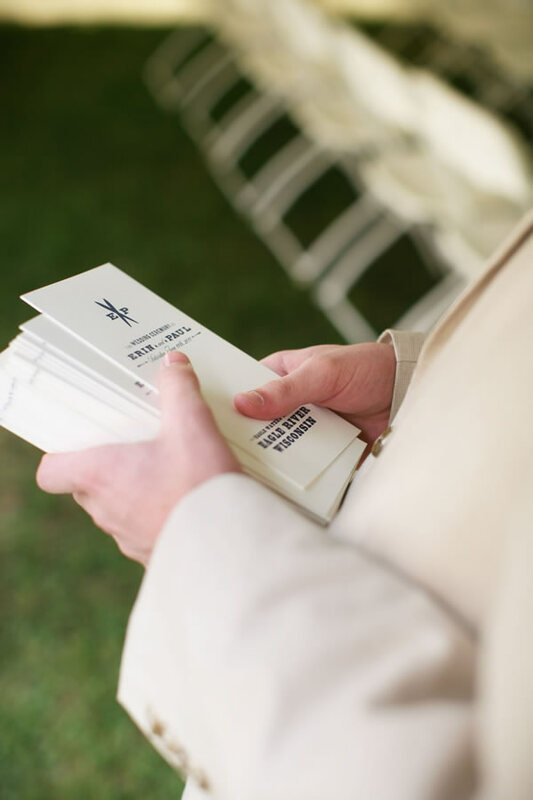 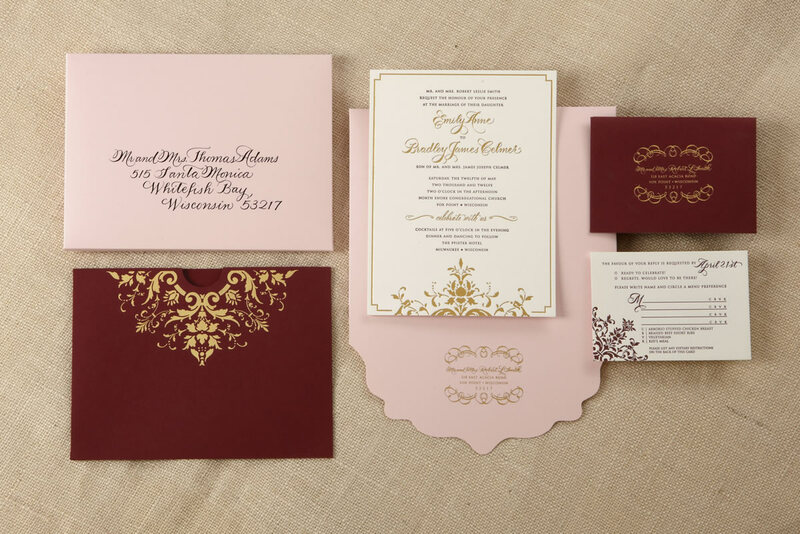 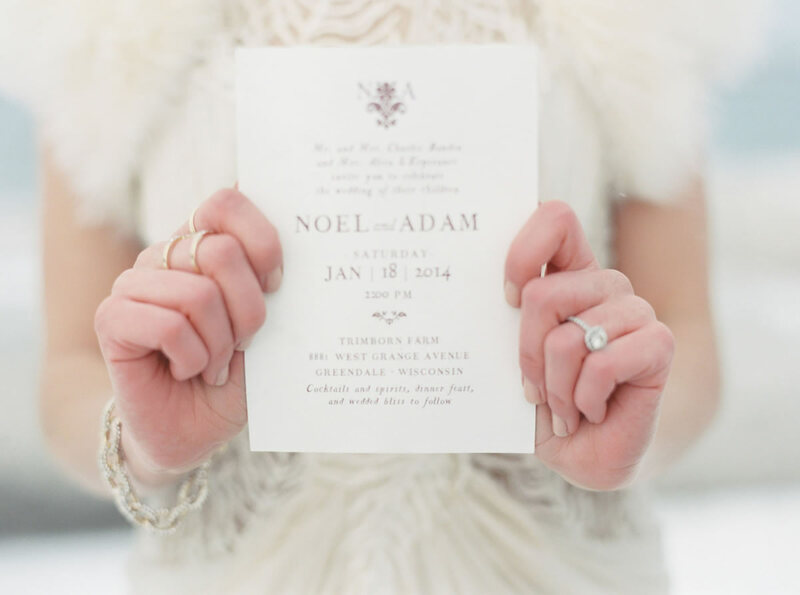 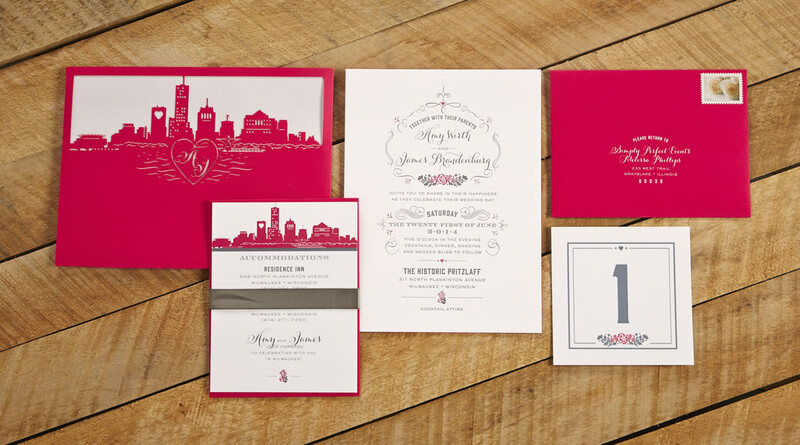 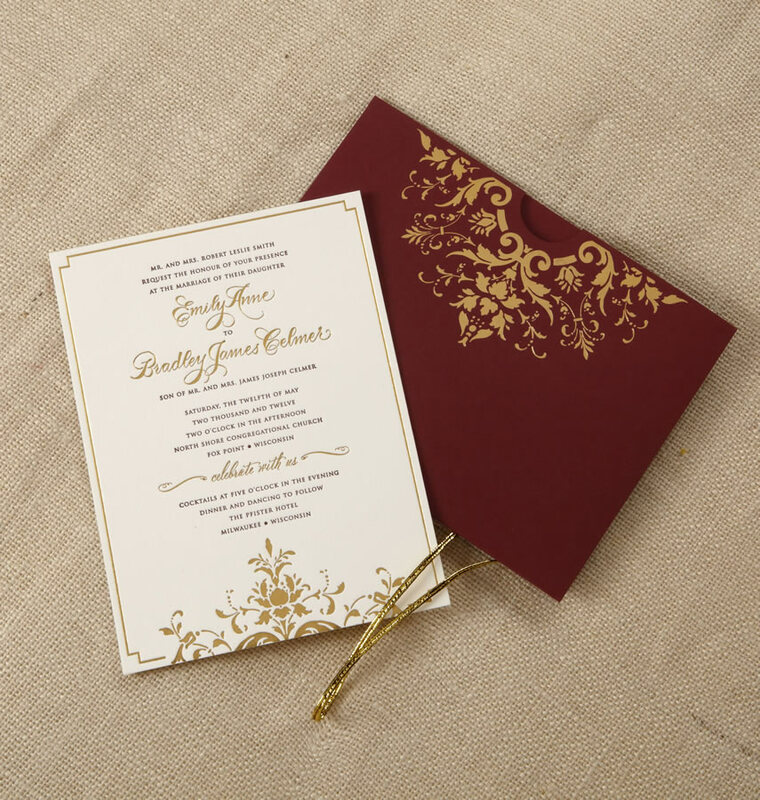 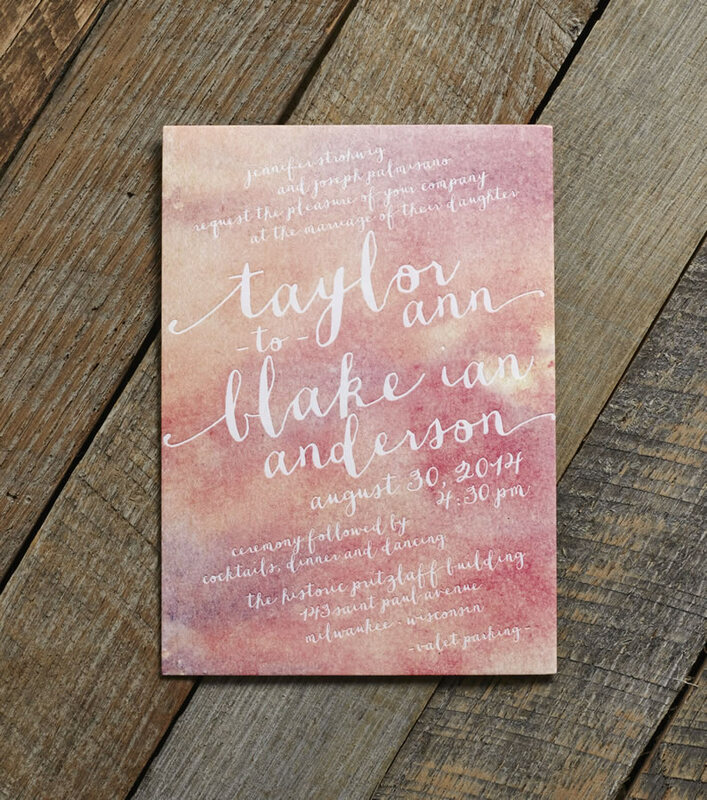 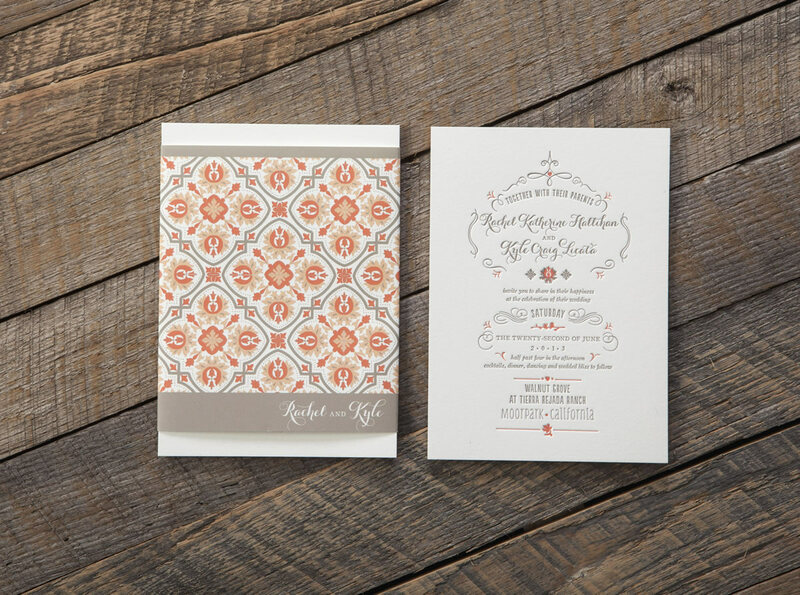 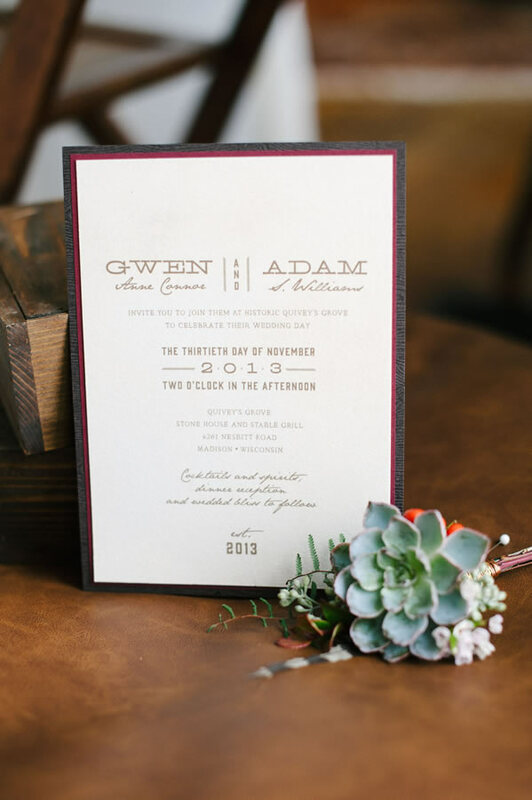 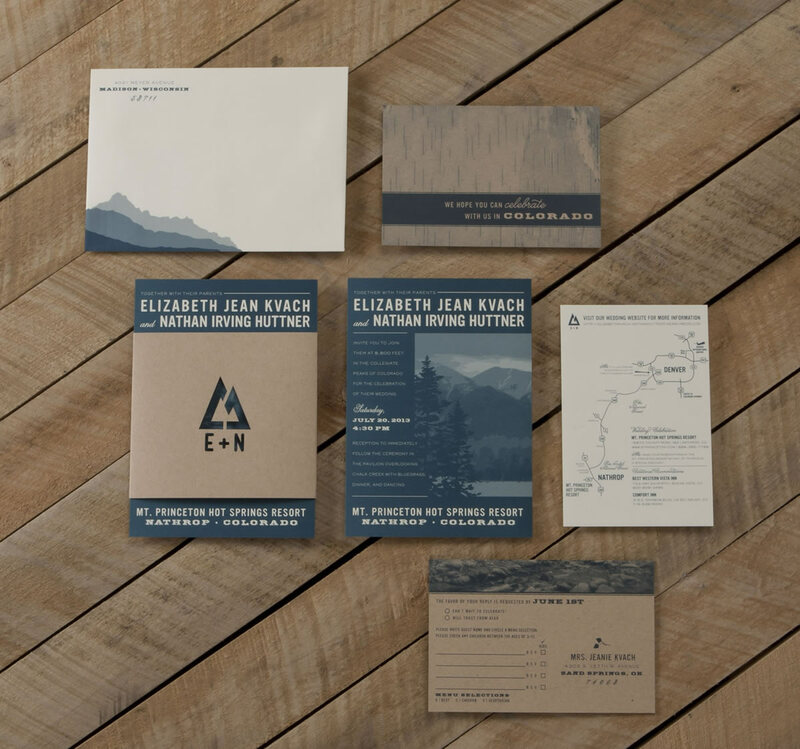 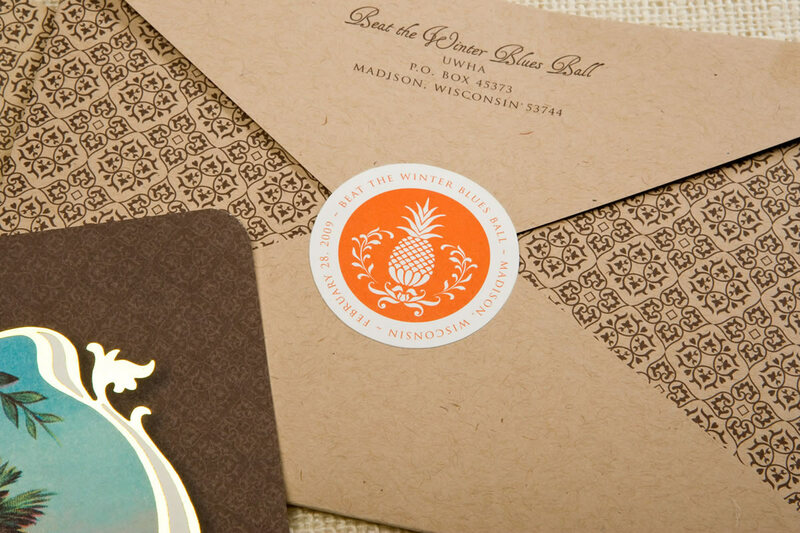 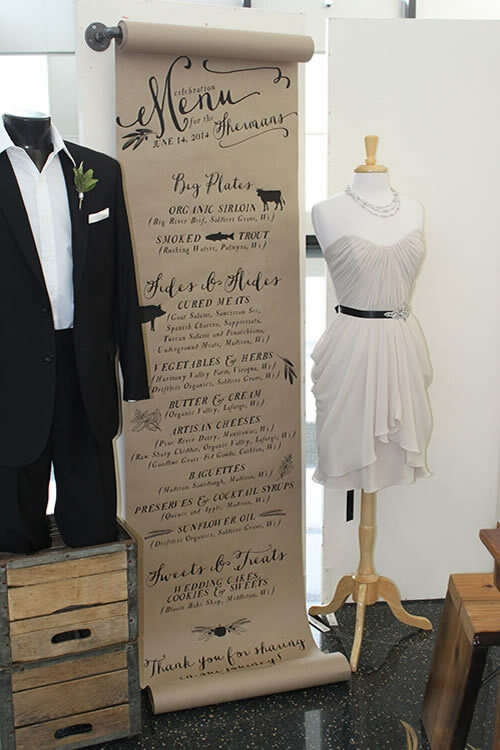 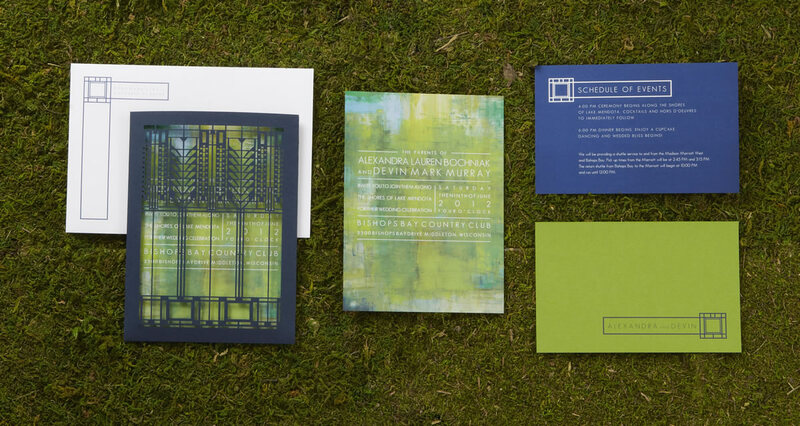 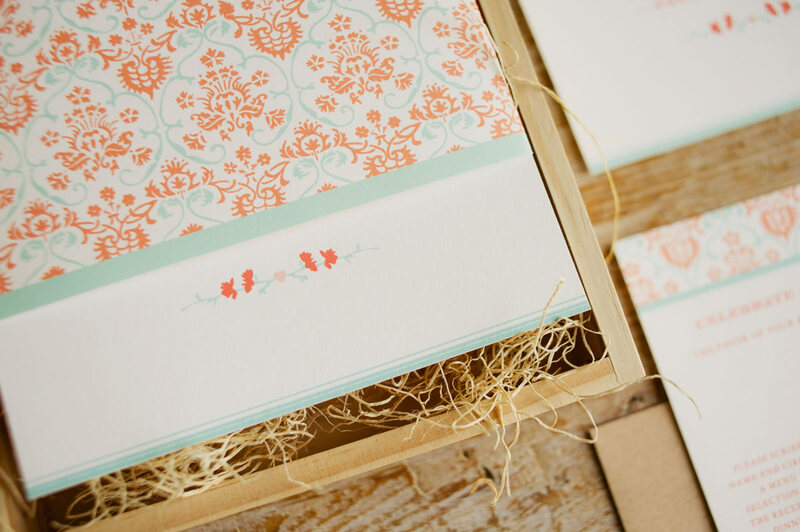 One-of-a-kind, custom-designed, stationery suites, including invitations, announcements and cards. 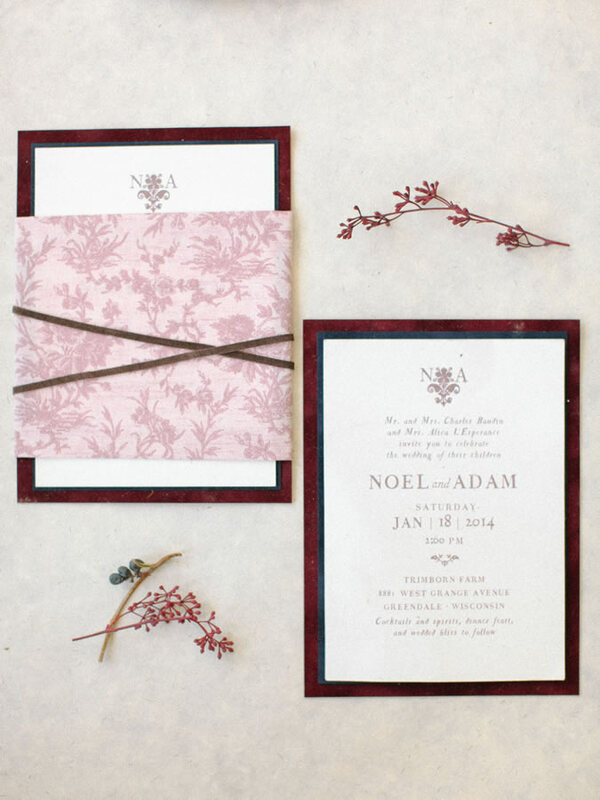 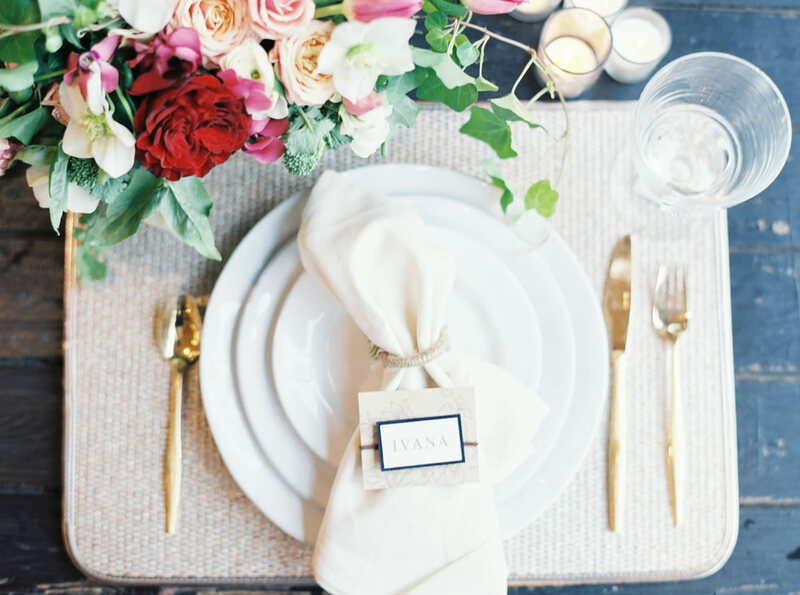 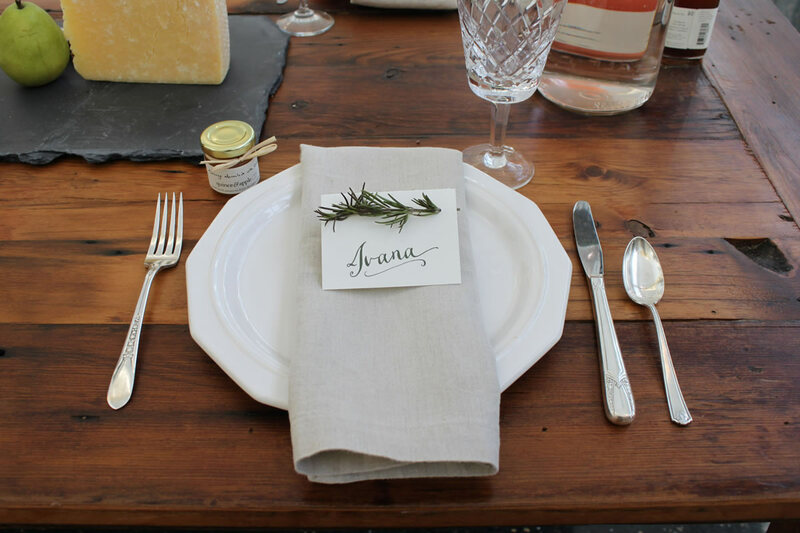 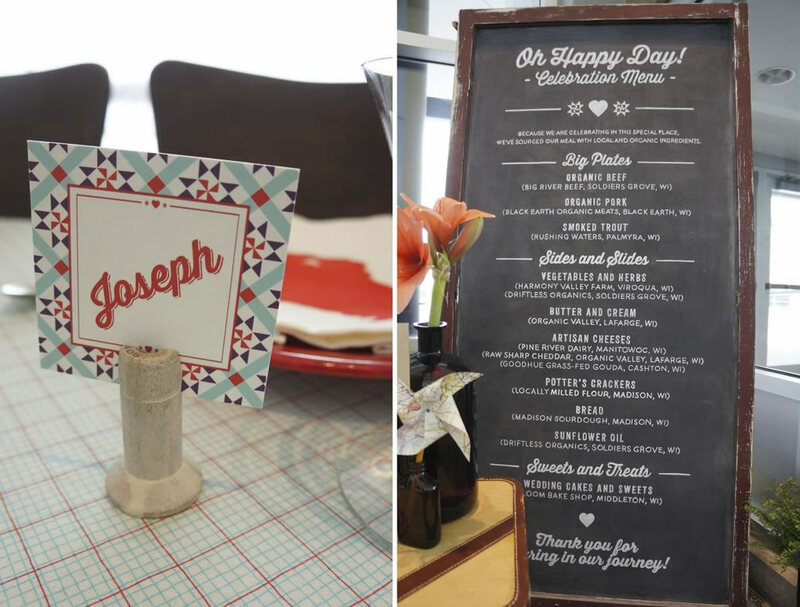 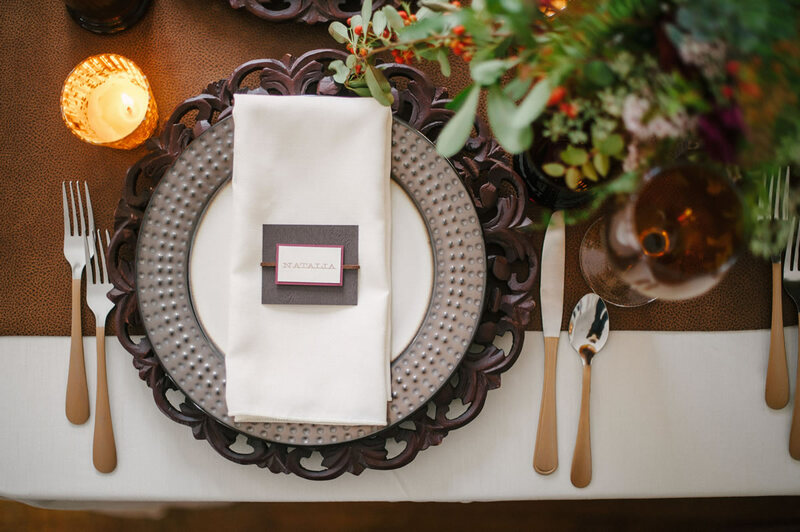 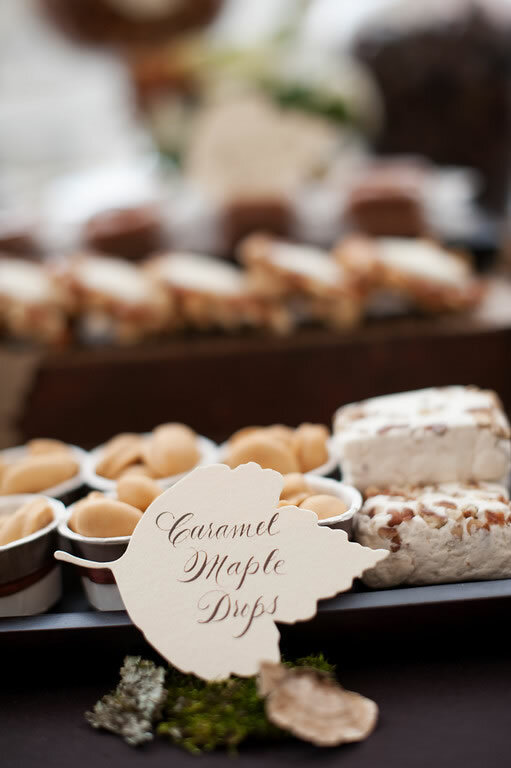 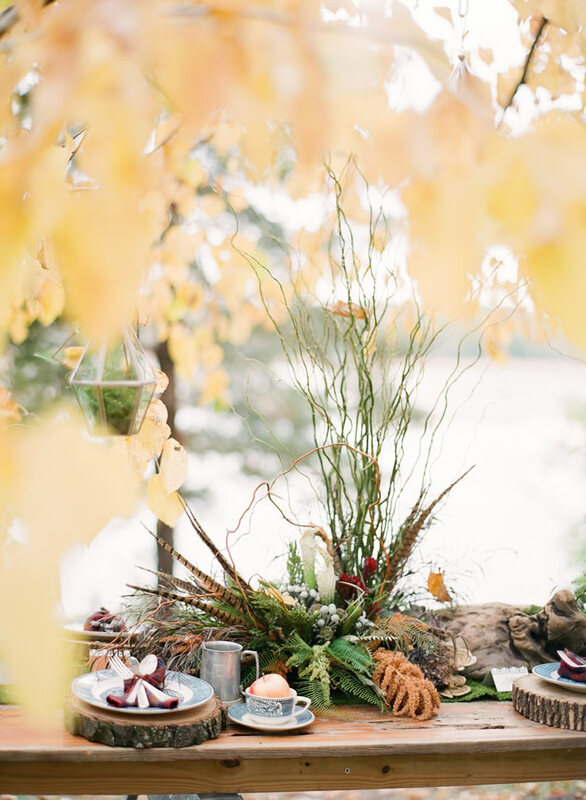 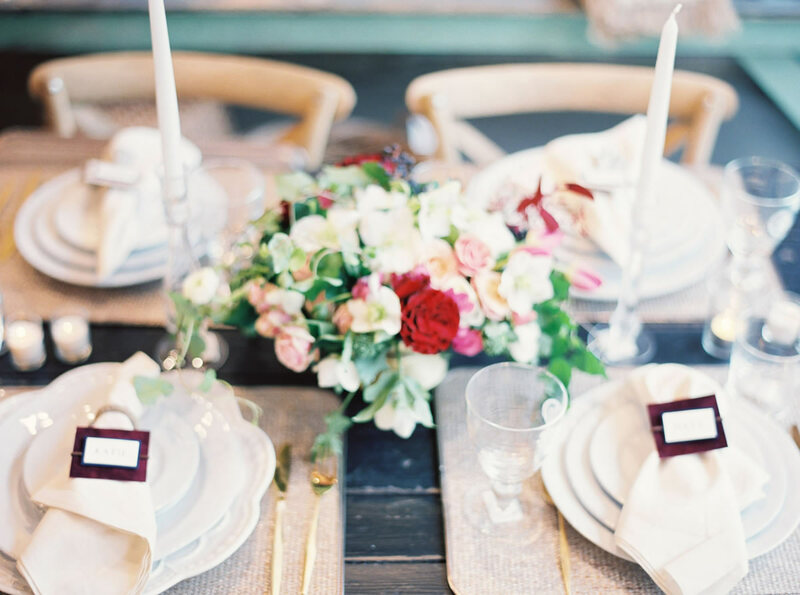 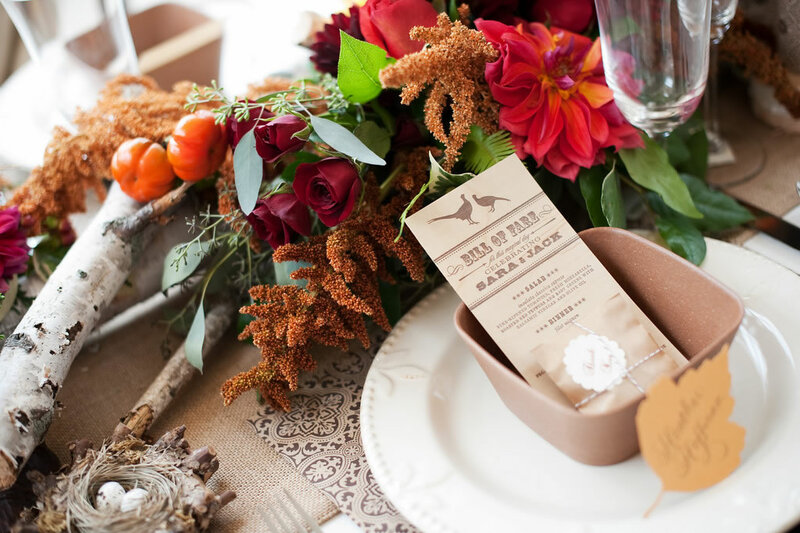 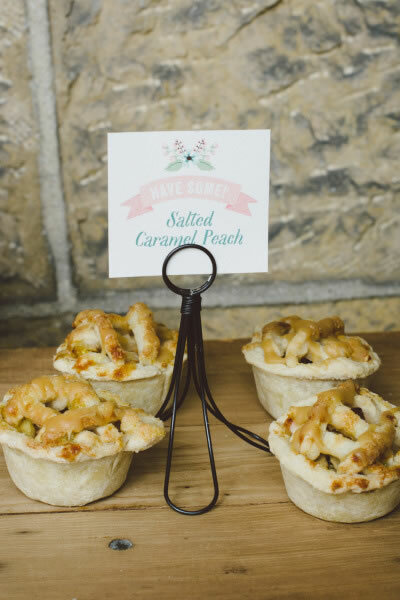 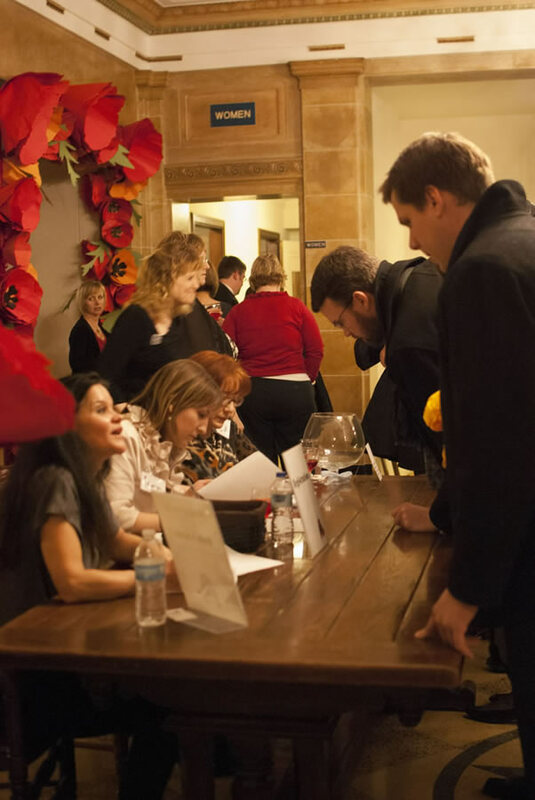 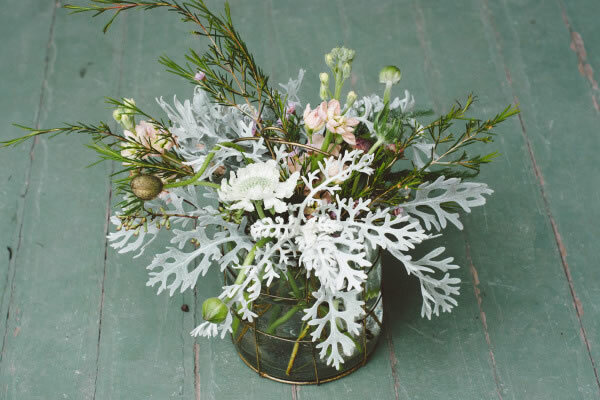 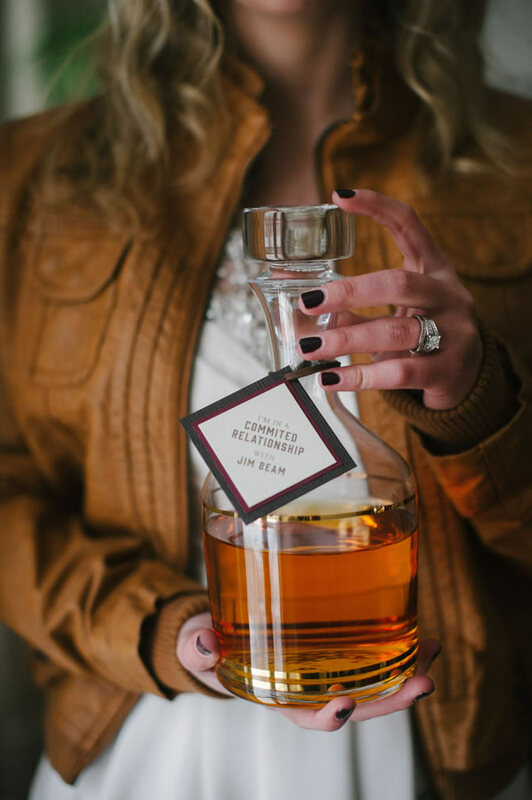 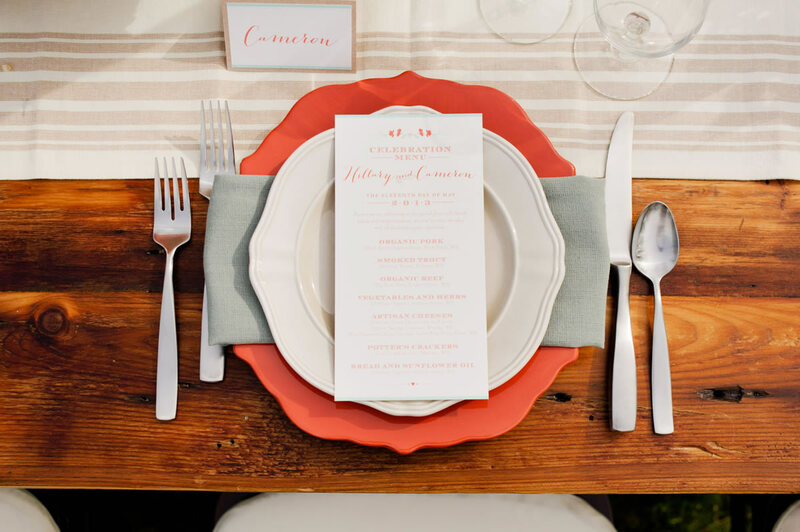 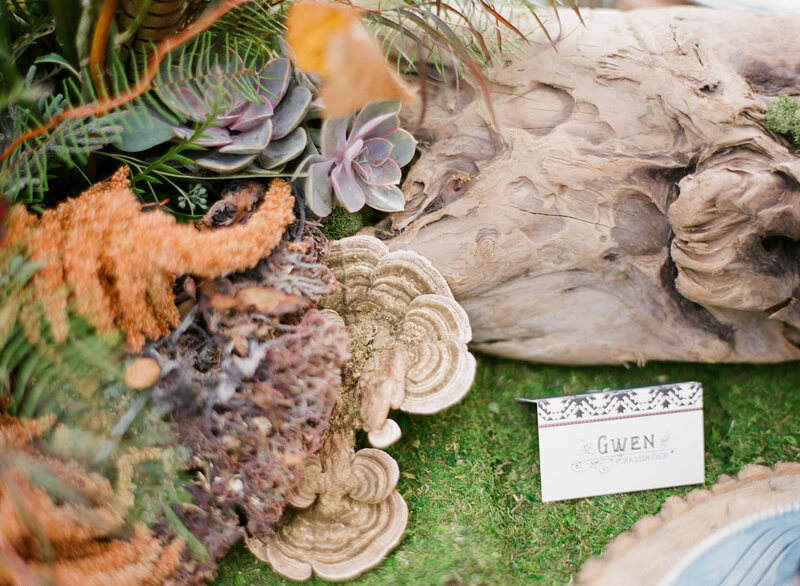 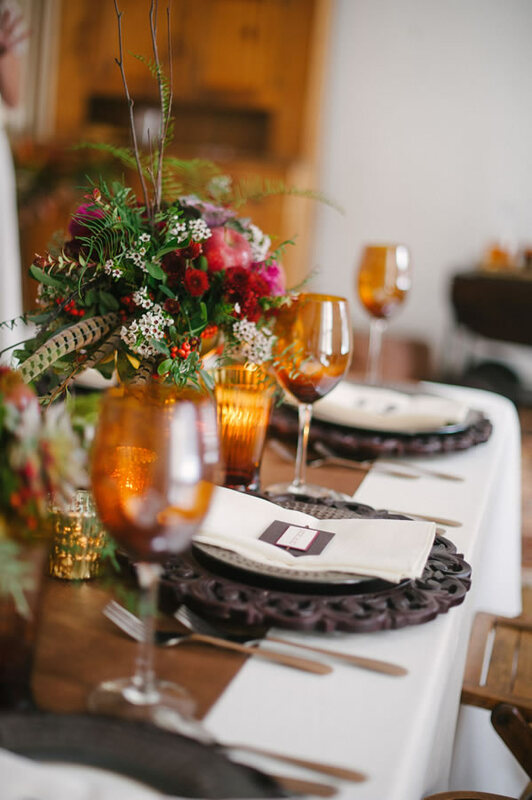 From wedding bells to holiday parties and beyond. 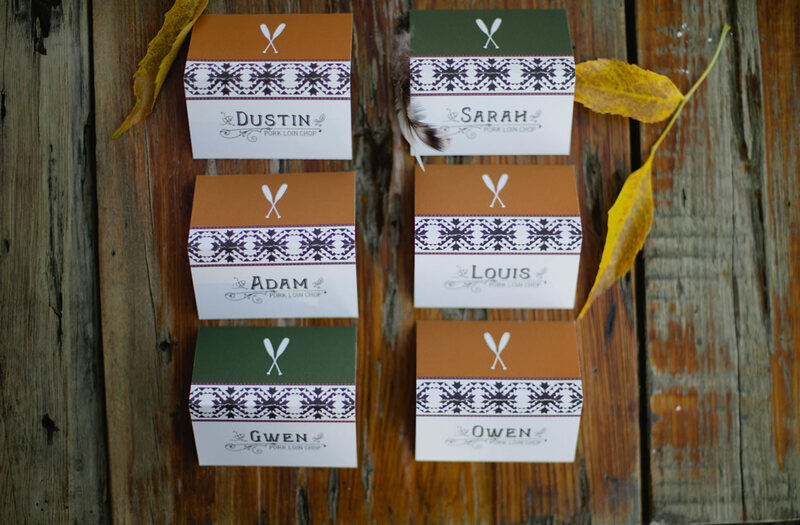 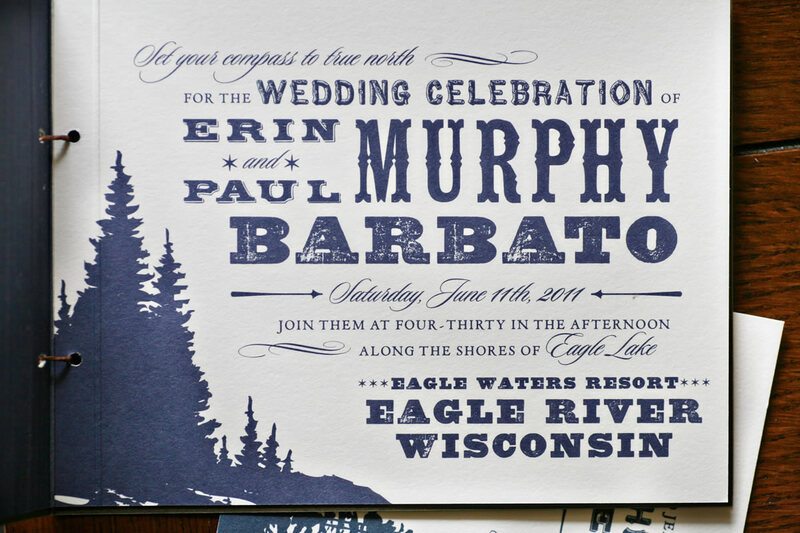 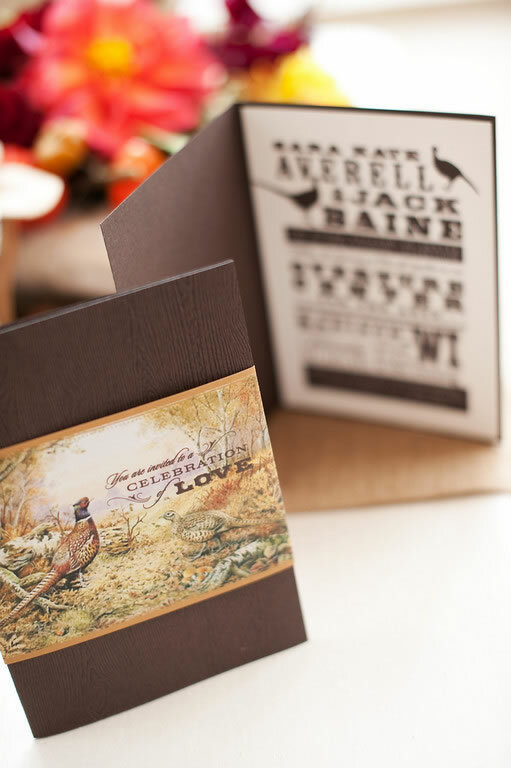 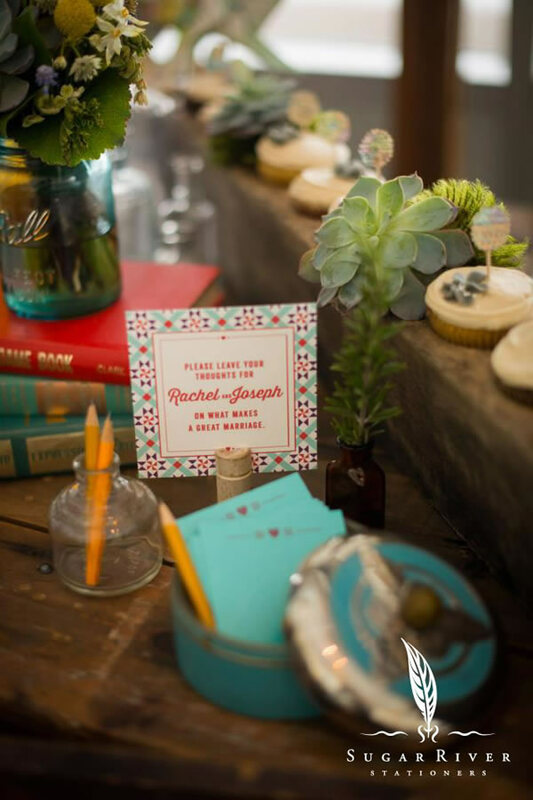 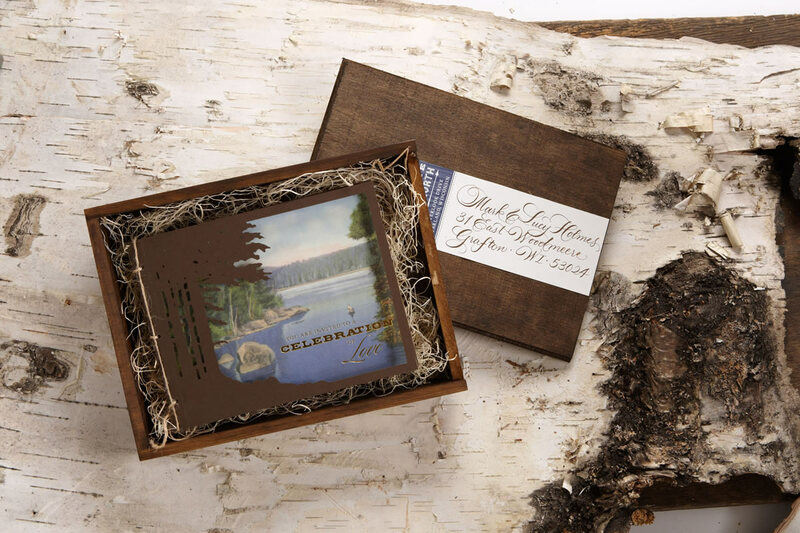 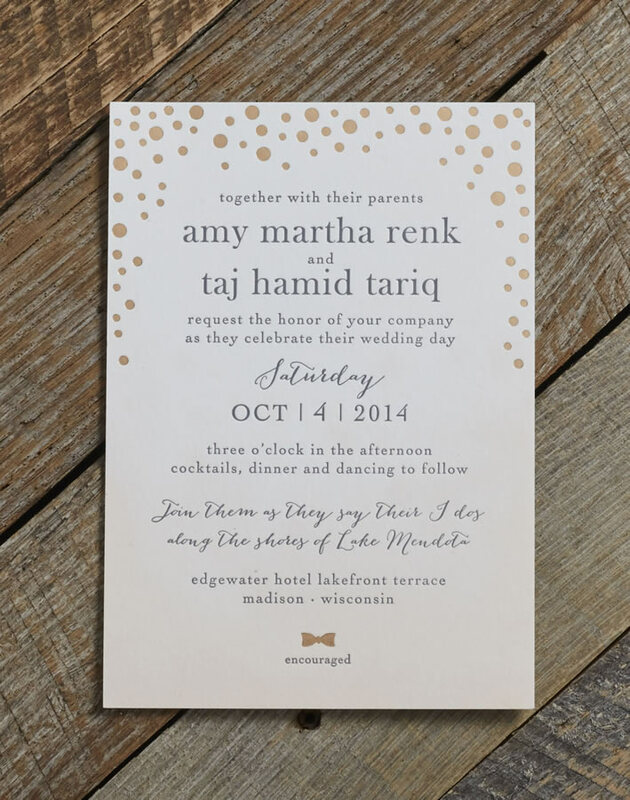 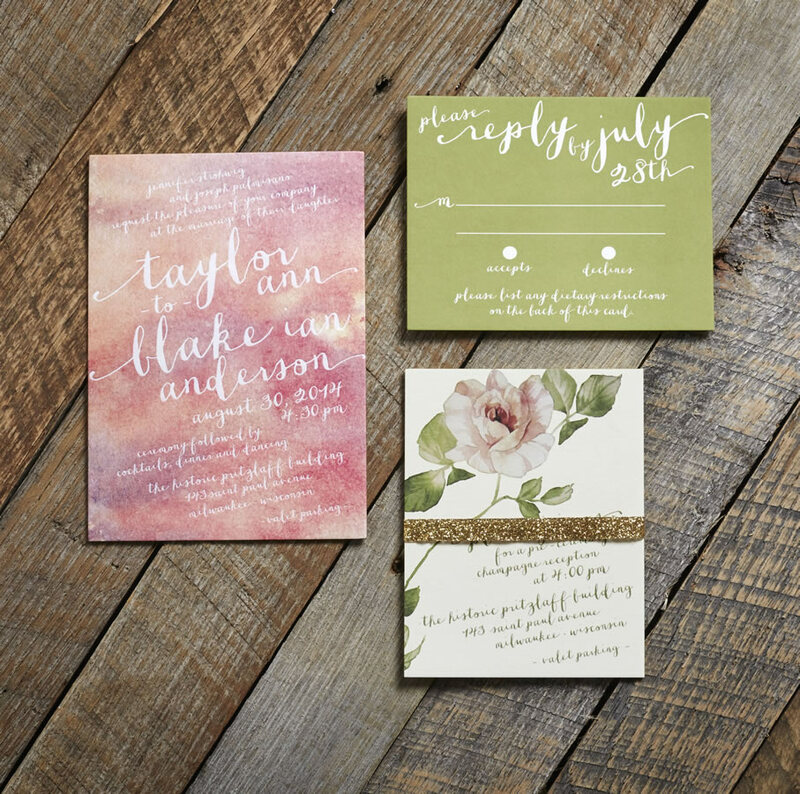 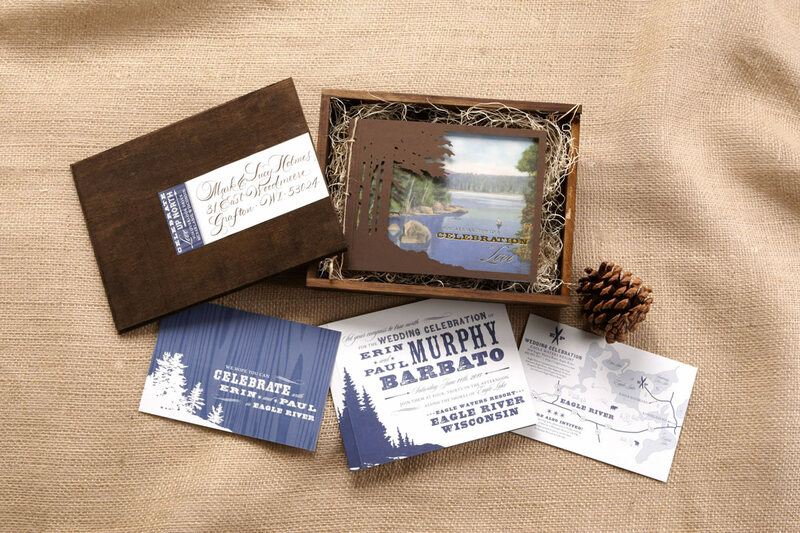 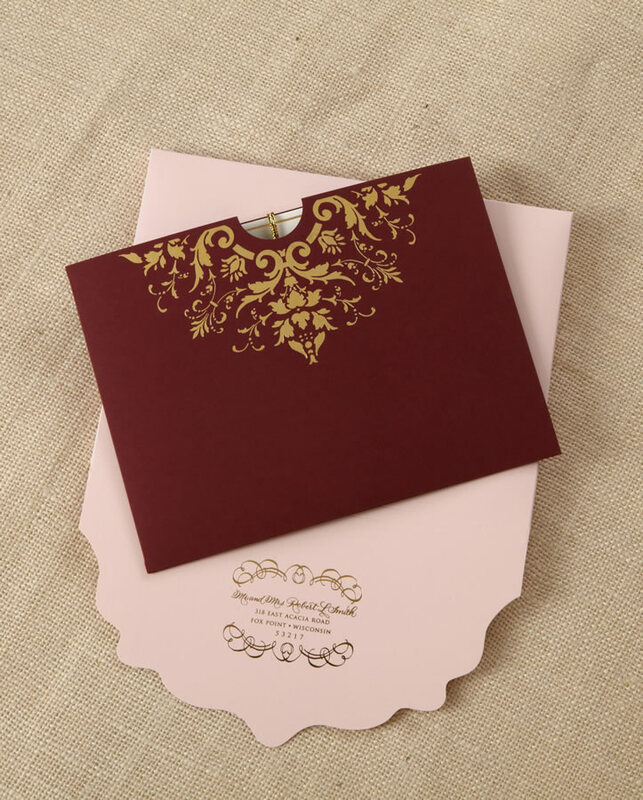 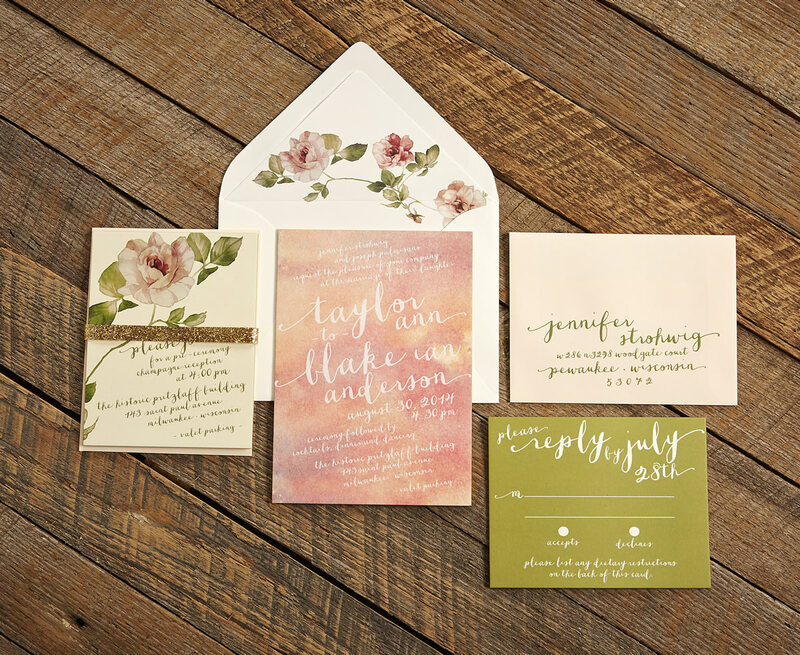 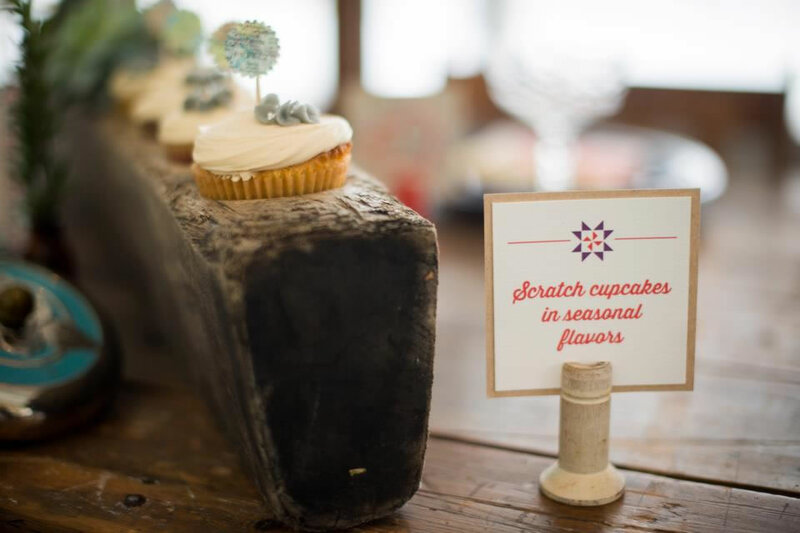 Capture the essence of your occasion with designs by Sugar River Stationers. 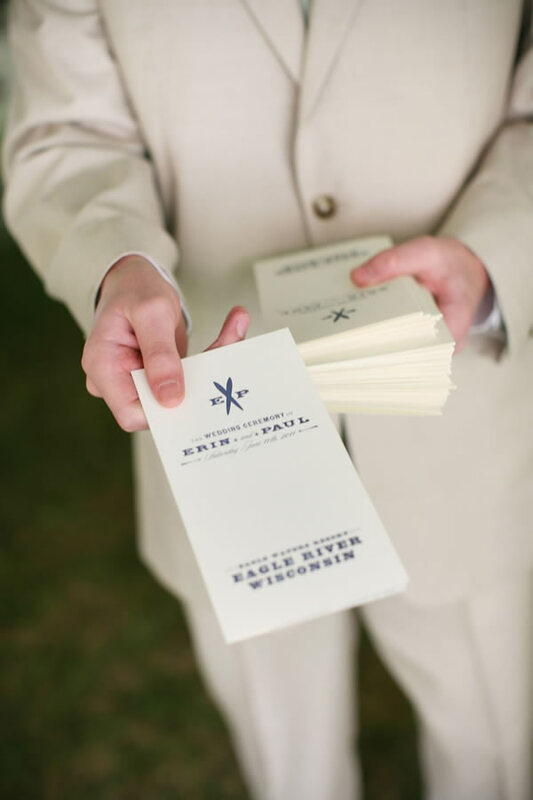 From its source in the hills southwest of Madison, Wisconsin, the Sugar River meanders 15 miles southeast like the detailed stroke of a calligrapher’s pen. 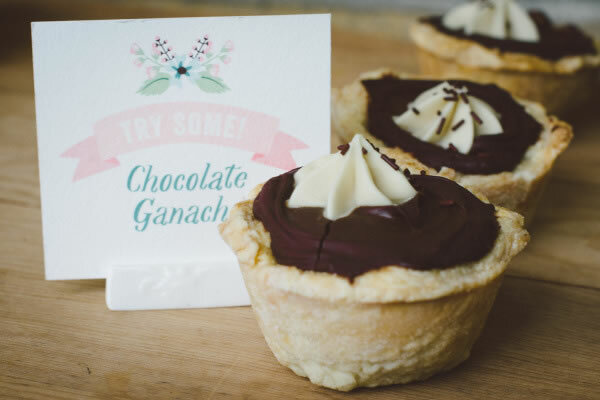 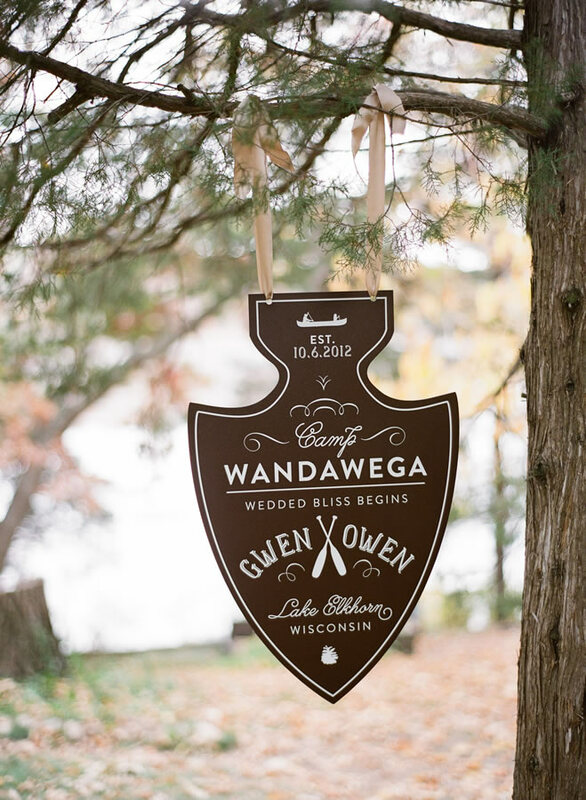 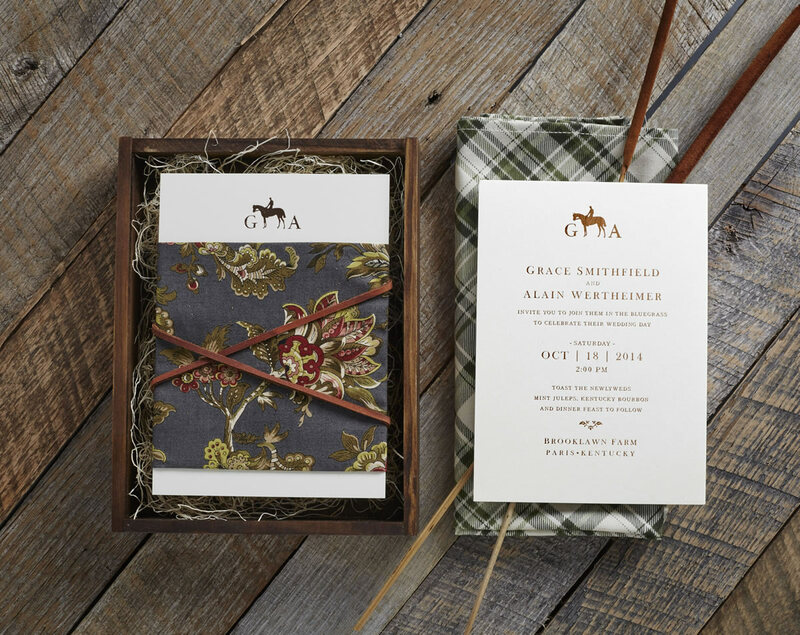 Its natural grace inspires those around it, including Heather Raffel, founder of Sugar River Stationers. 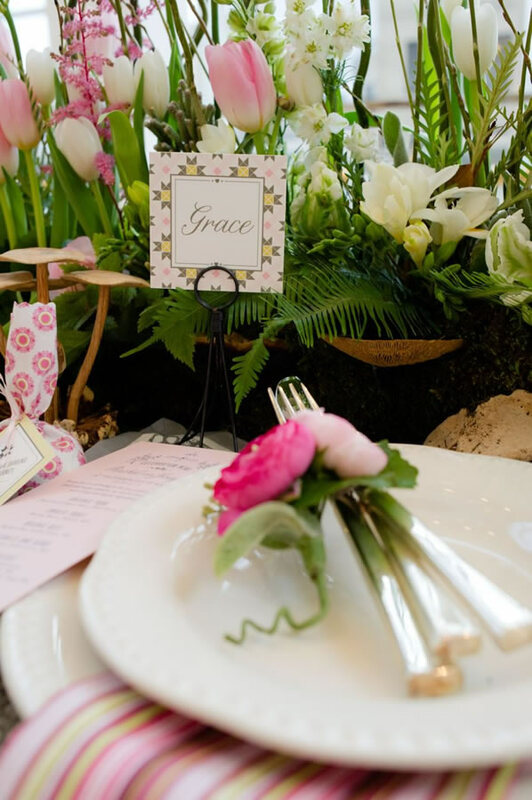 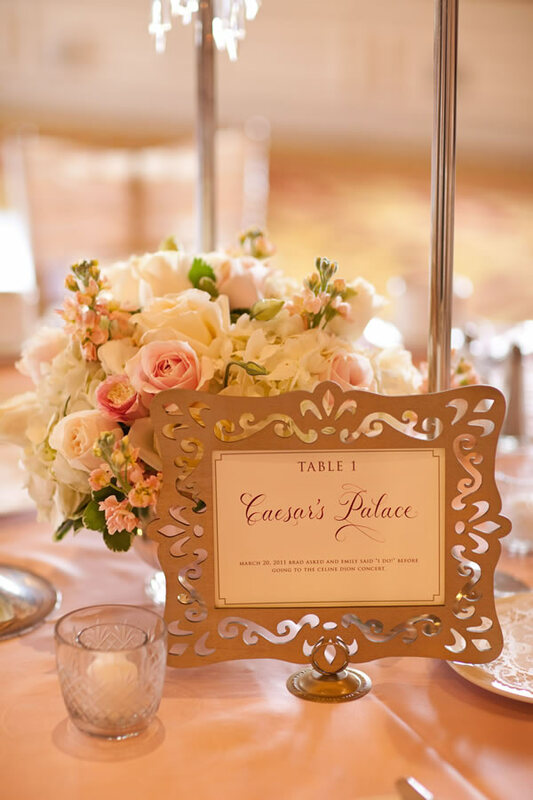 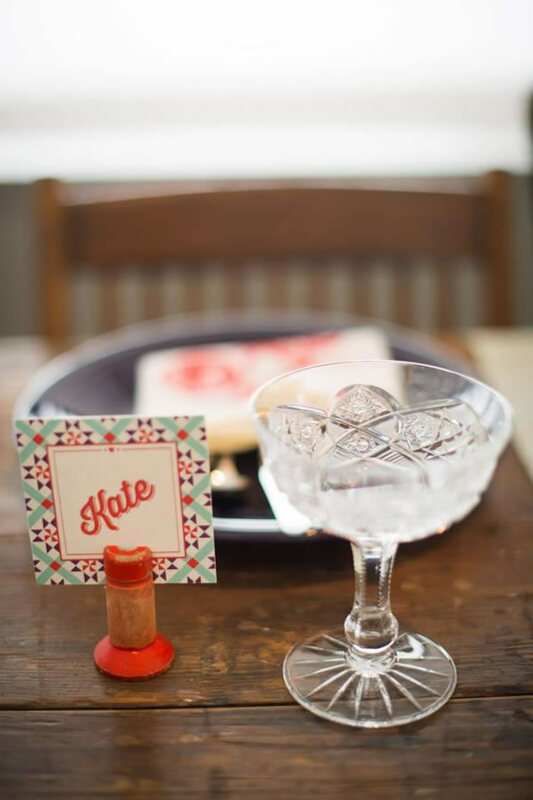 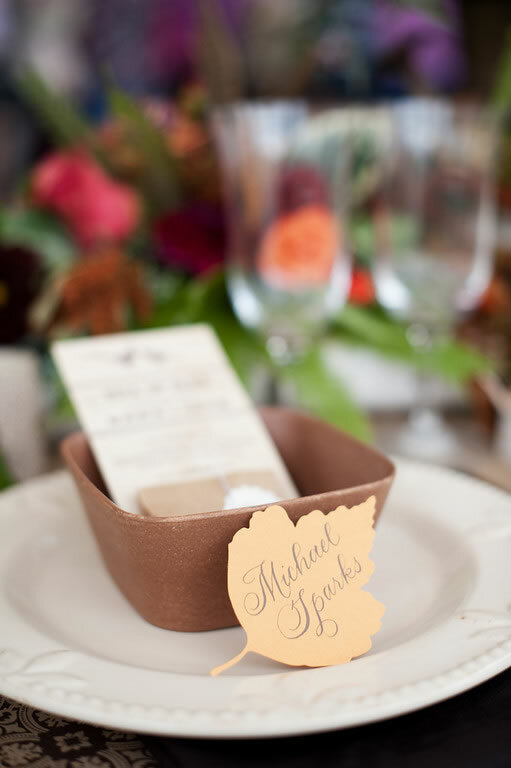 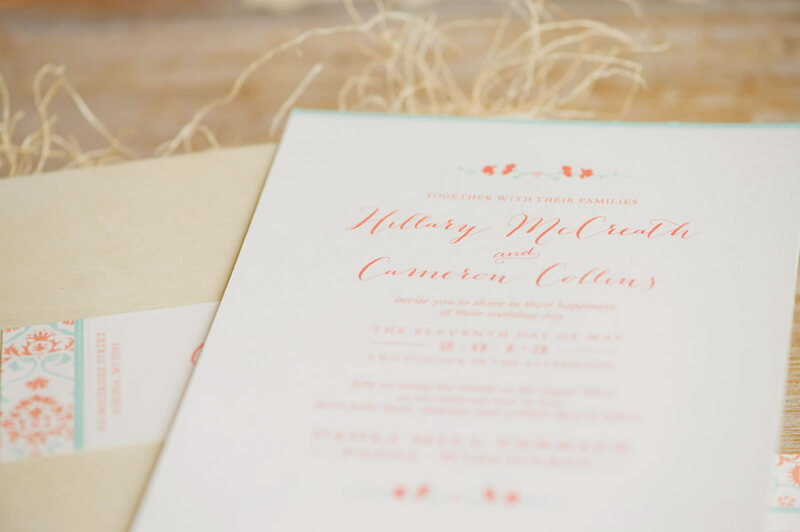 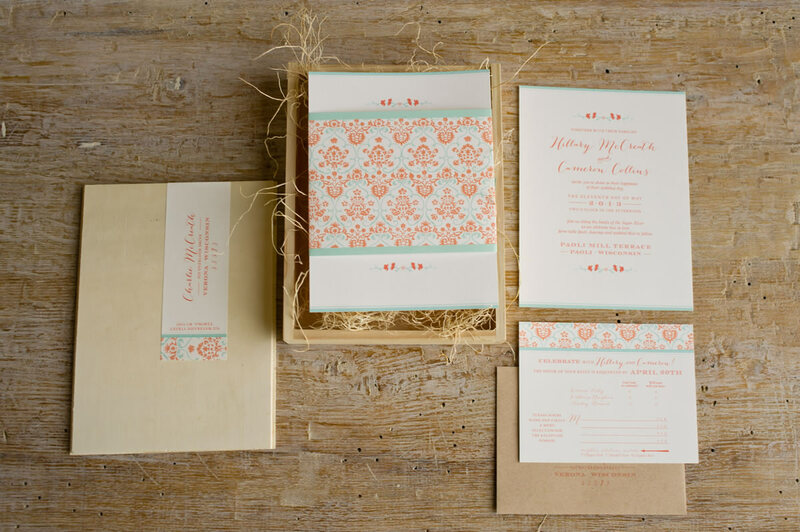 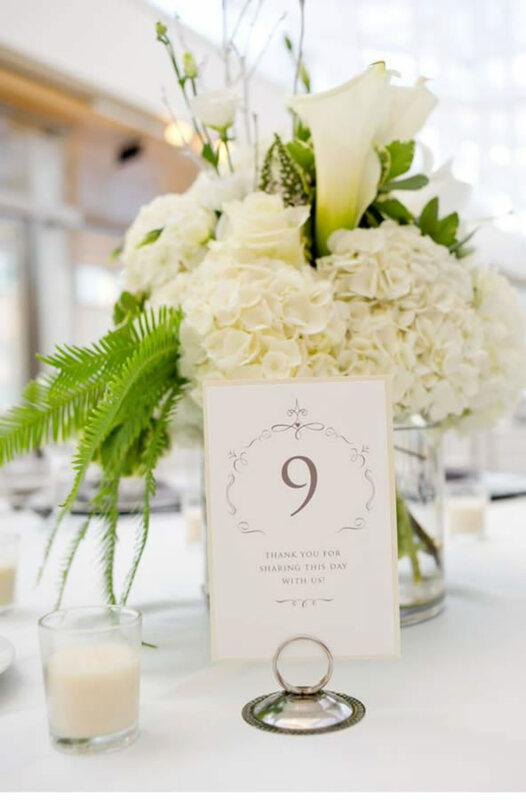 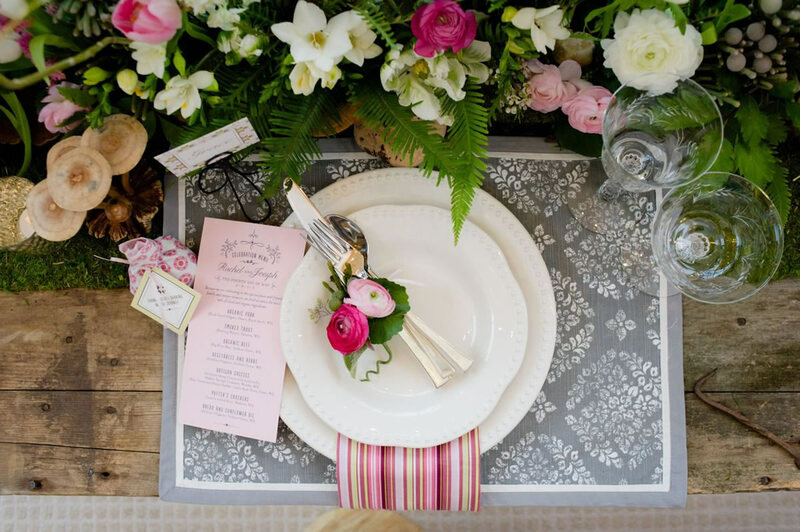 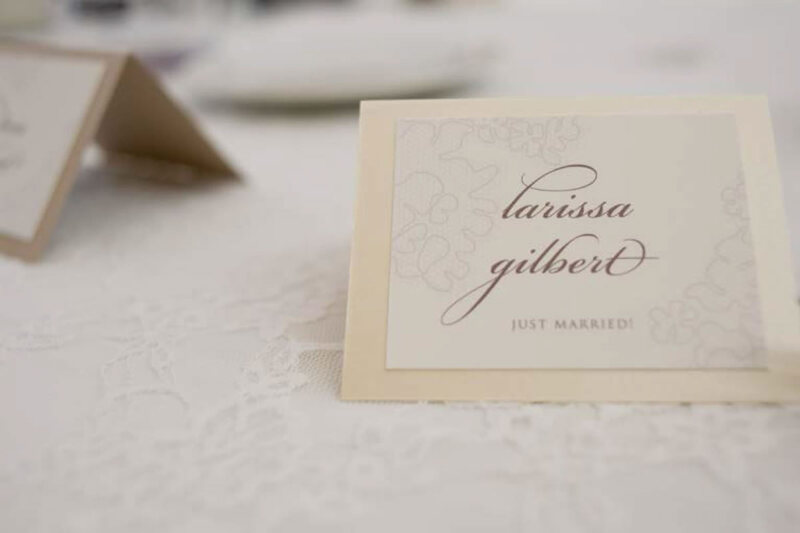 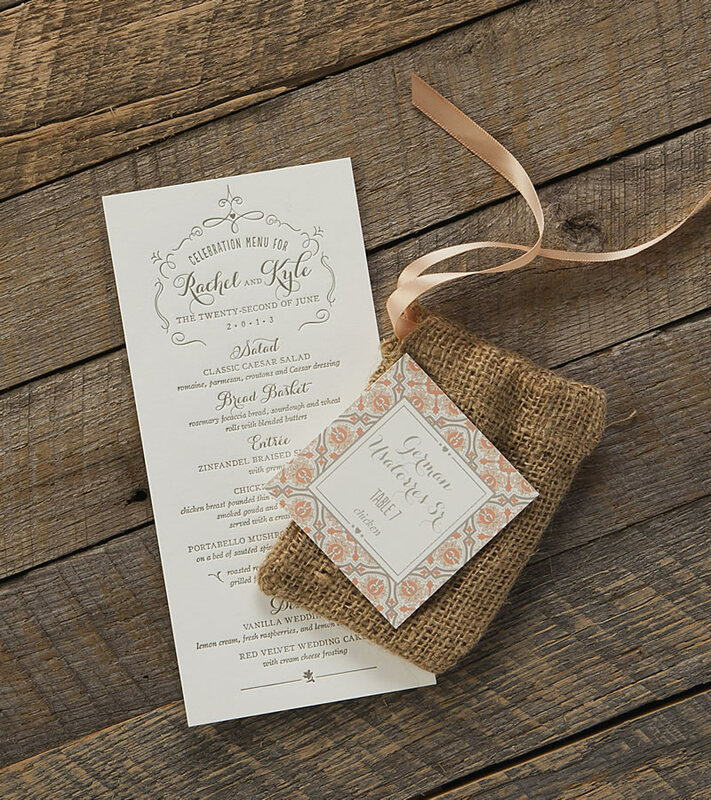 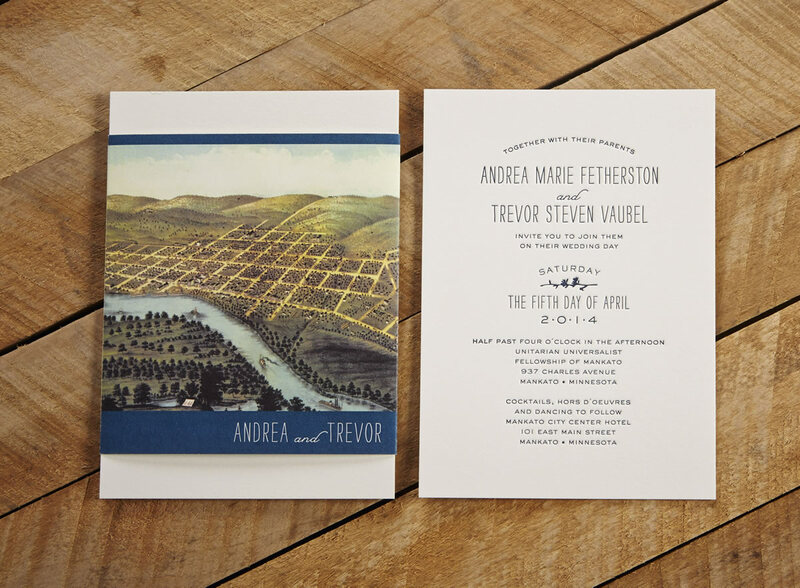 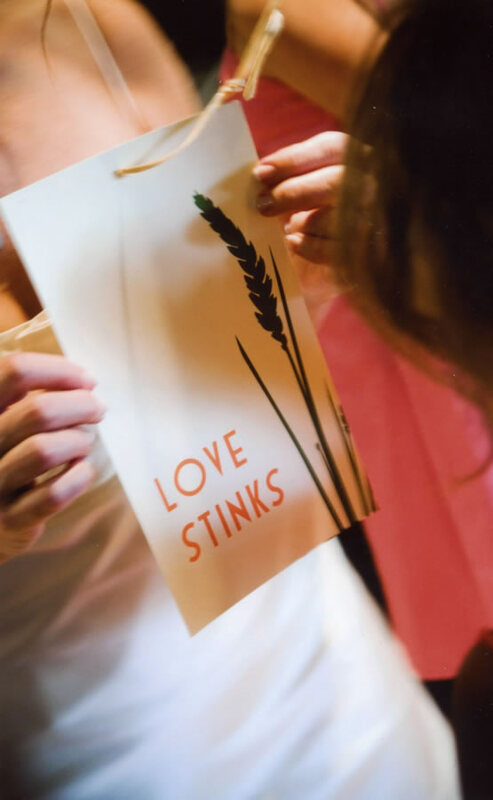 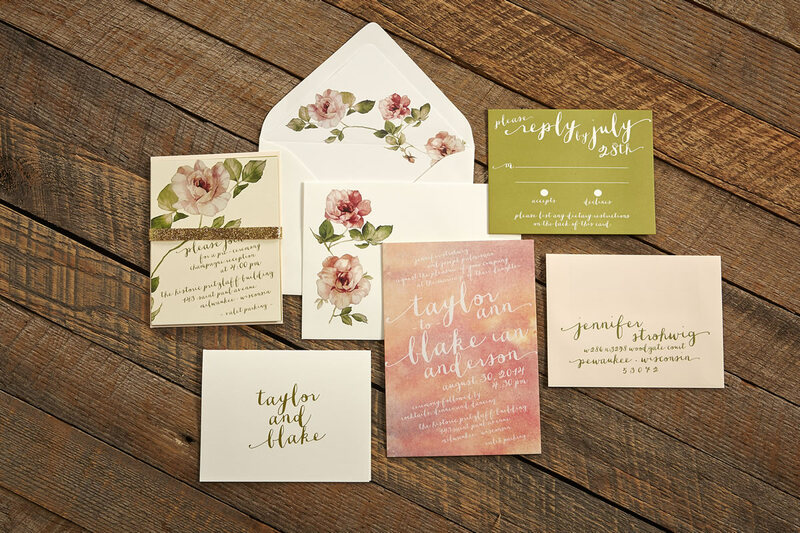 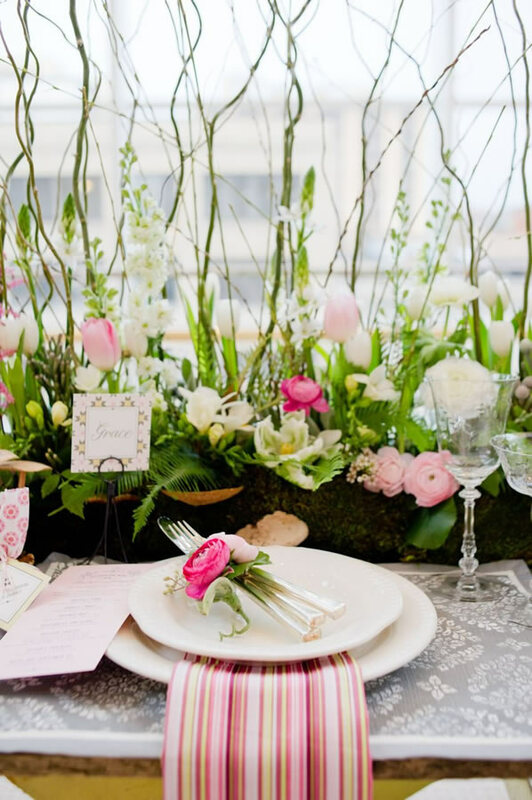 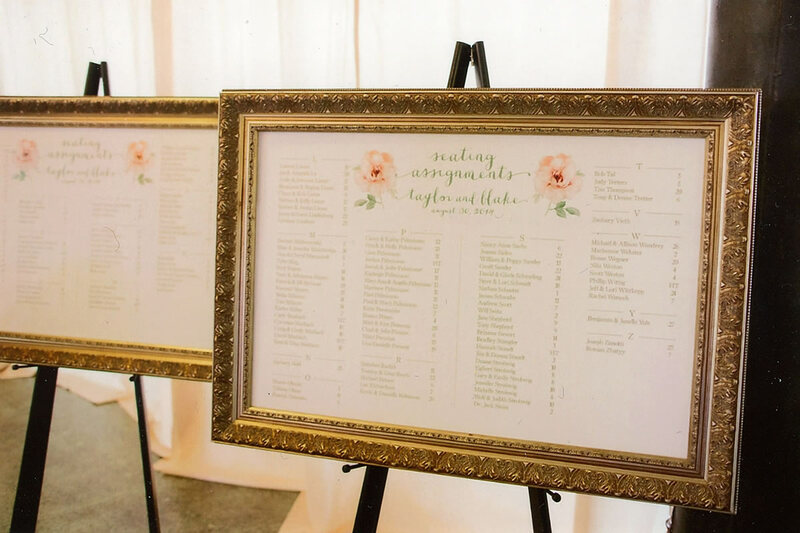 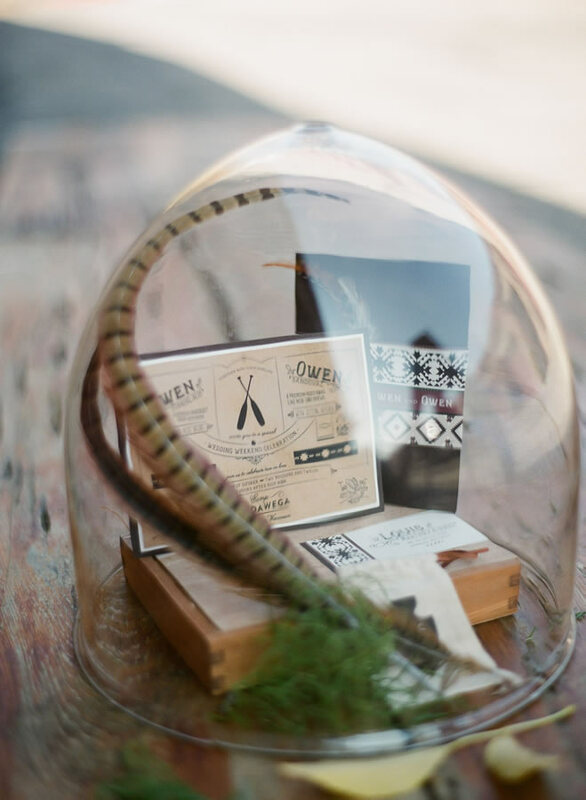 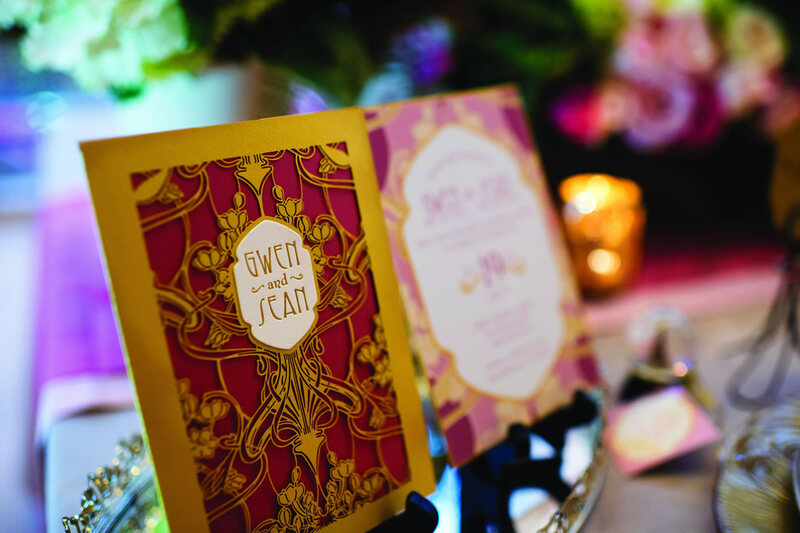 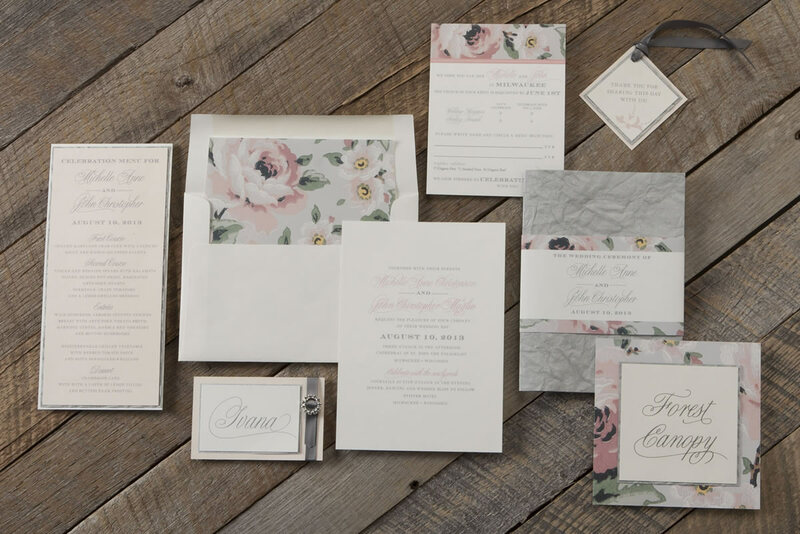 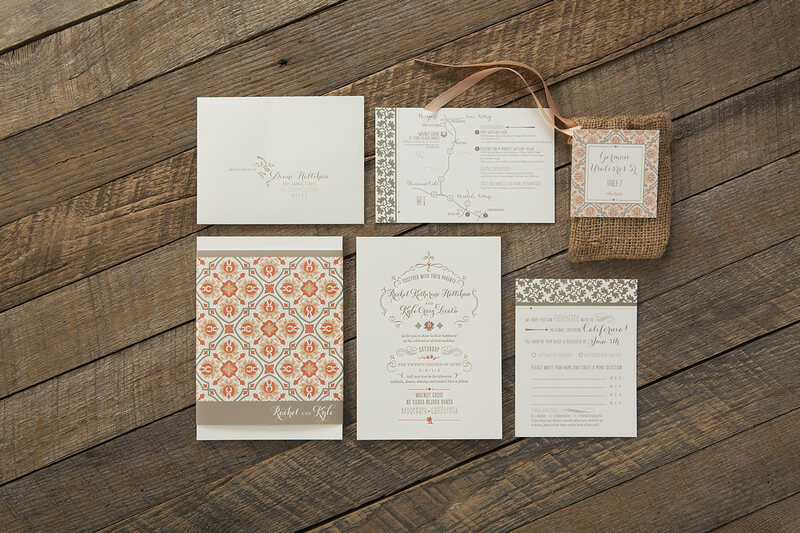 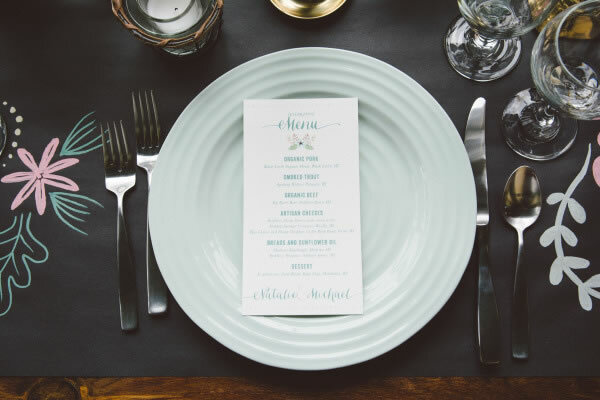 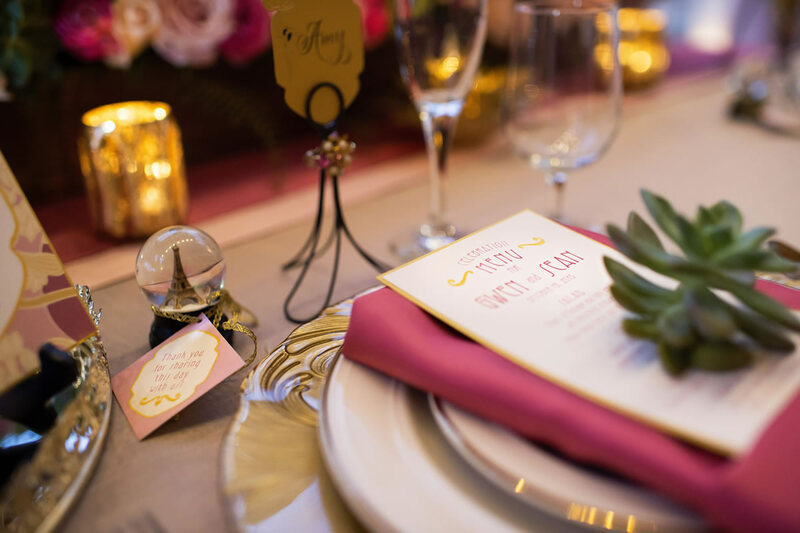 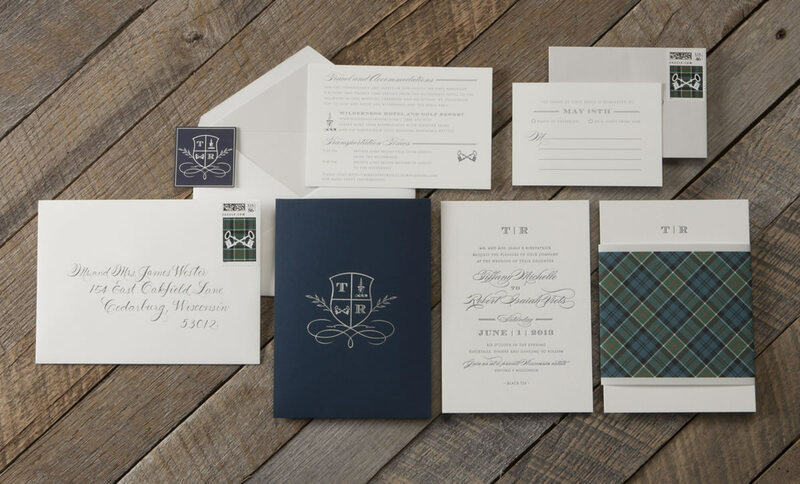 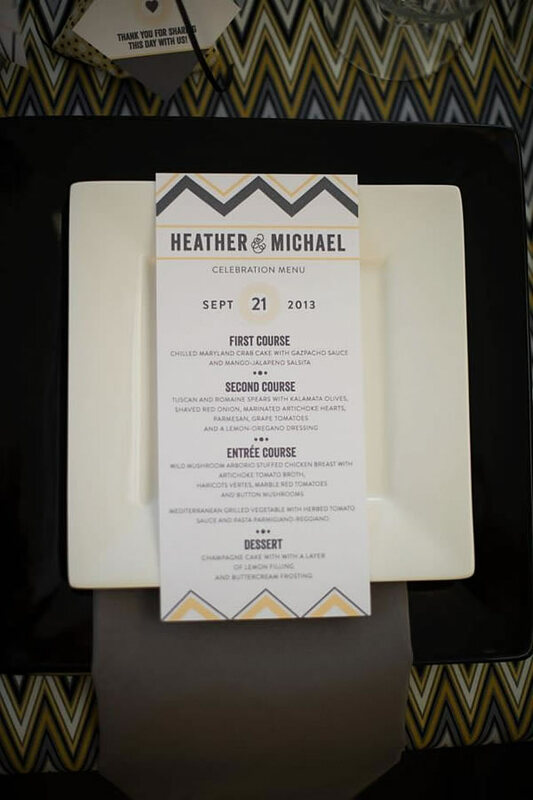 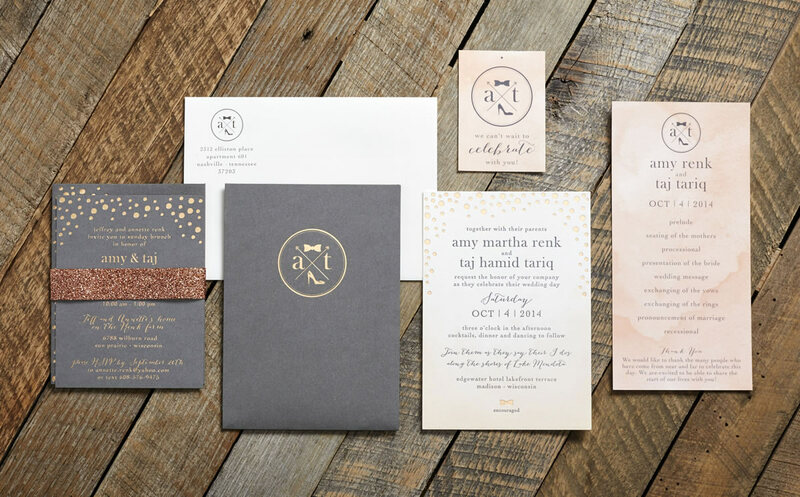 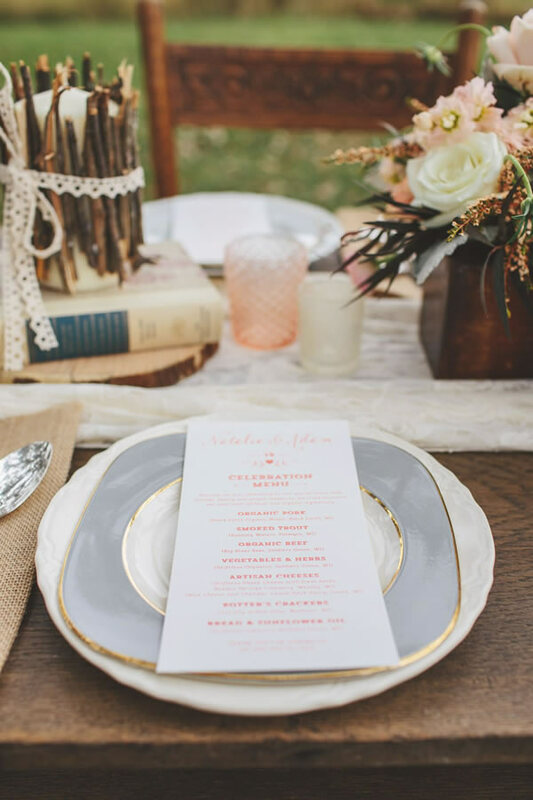 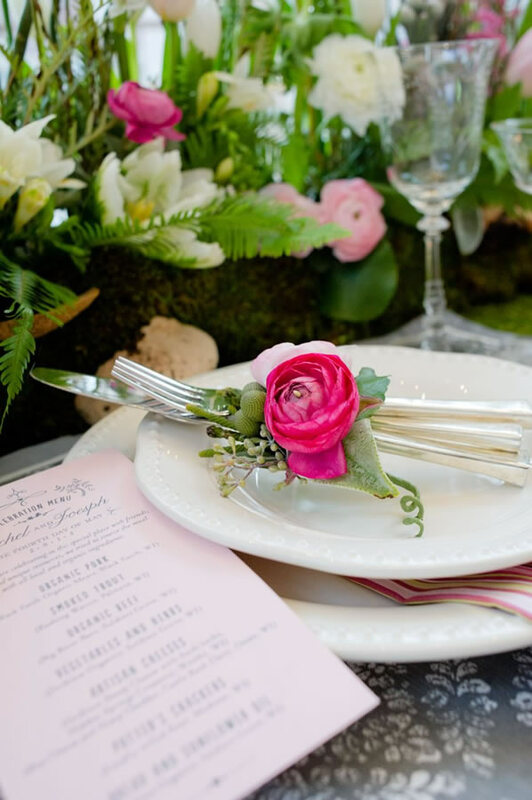 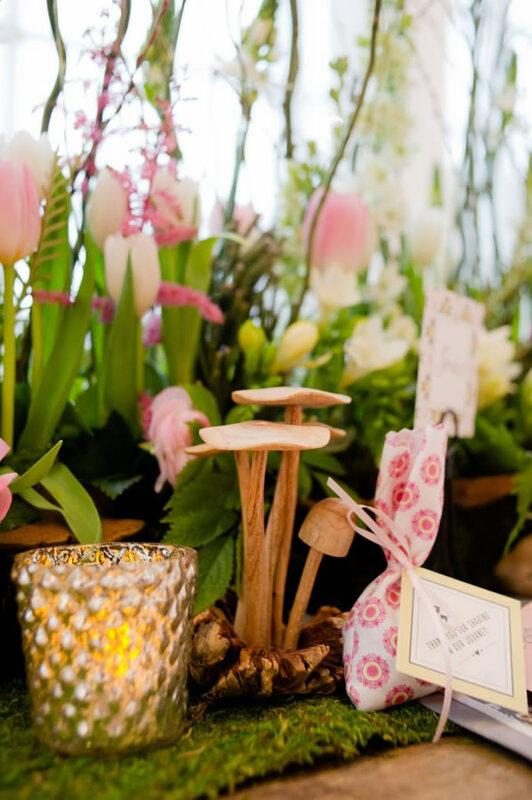 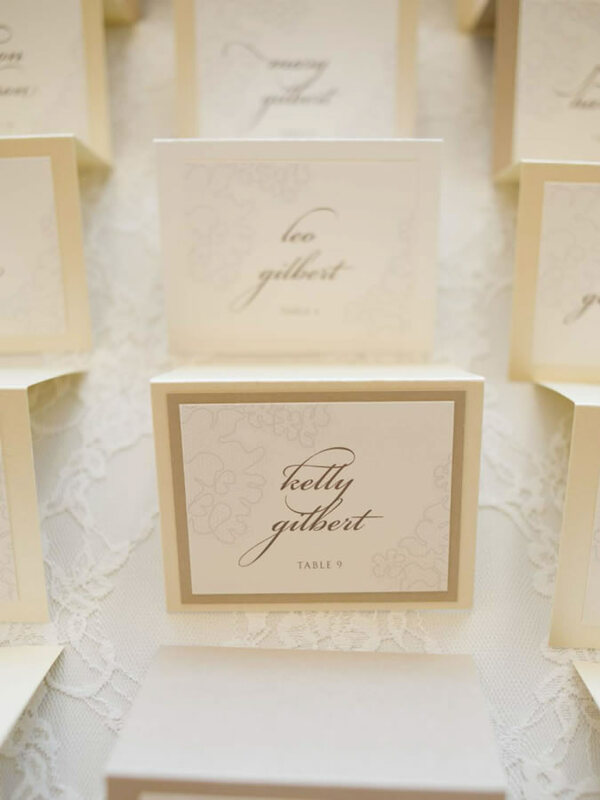 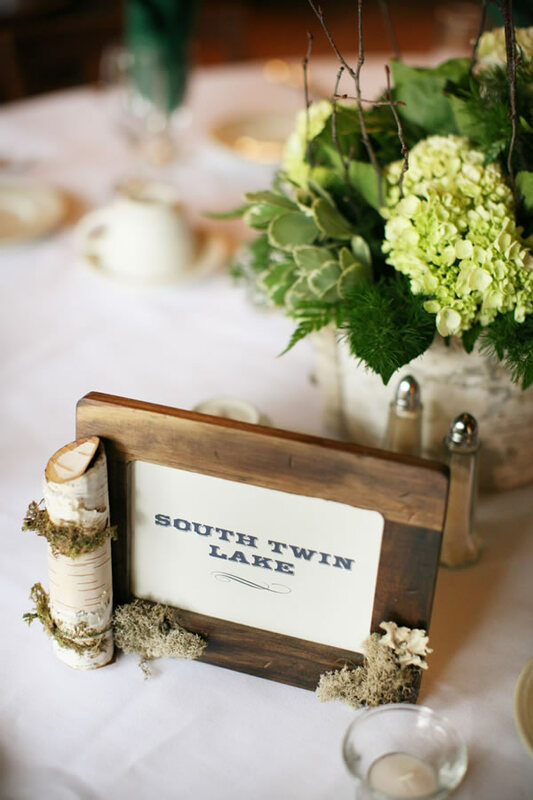 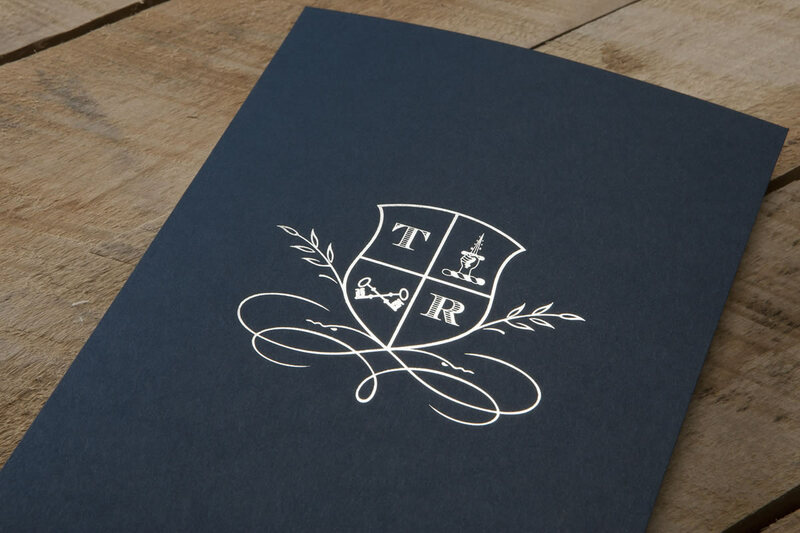 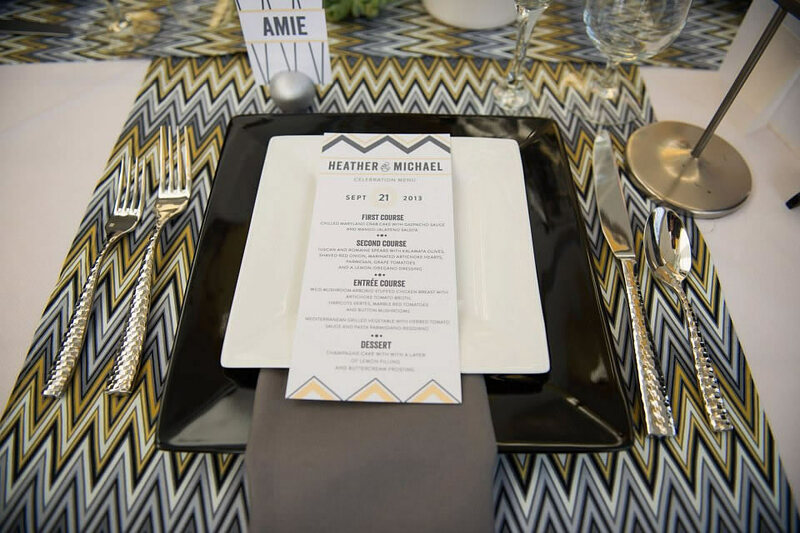 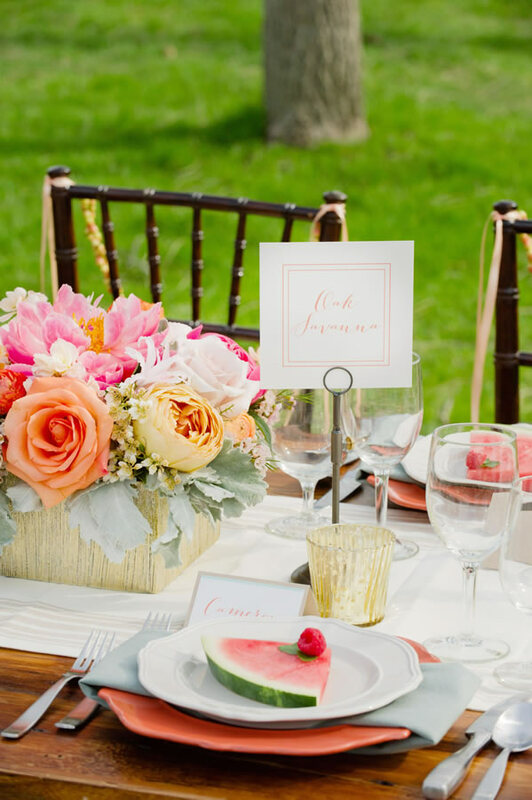 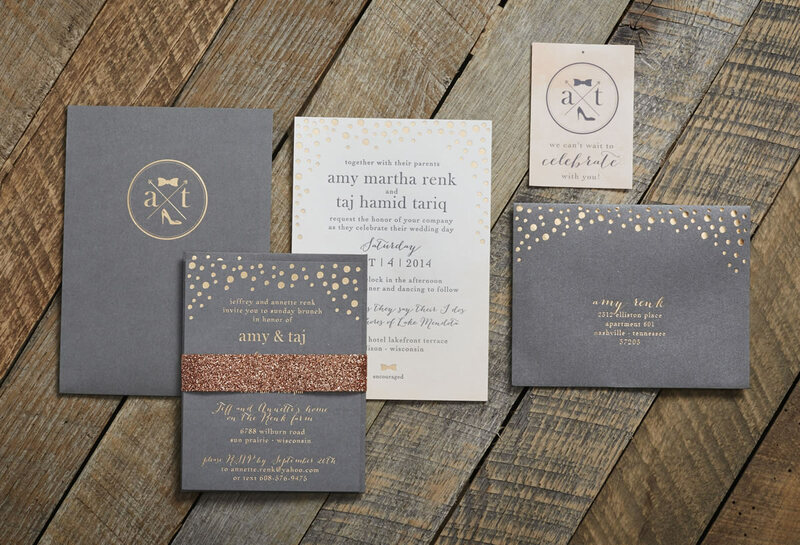 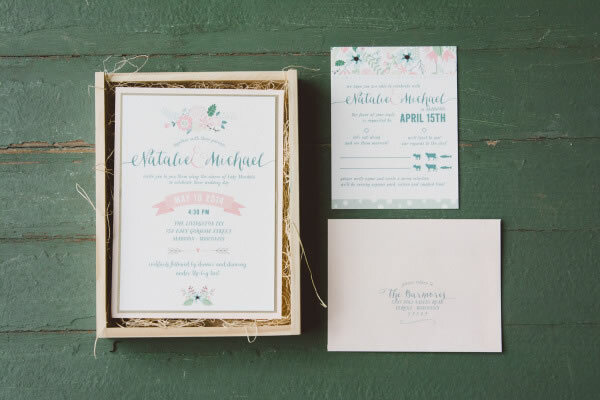 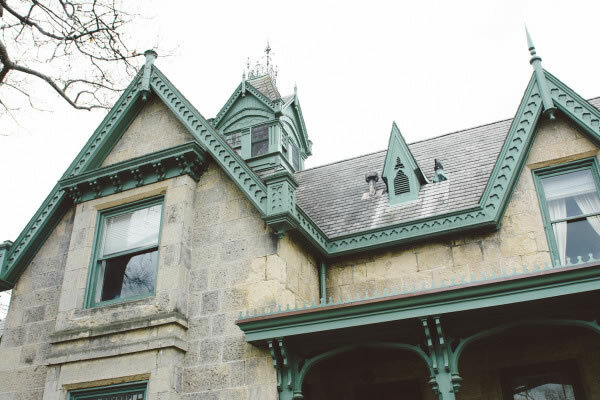 Since 2003, Heather and her team have been producing award winning designs for weddings and special events and have been nationally recognized as a leader in couture stationery design. 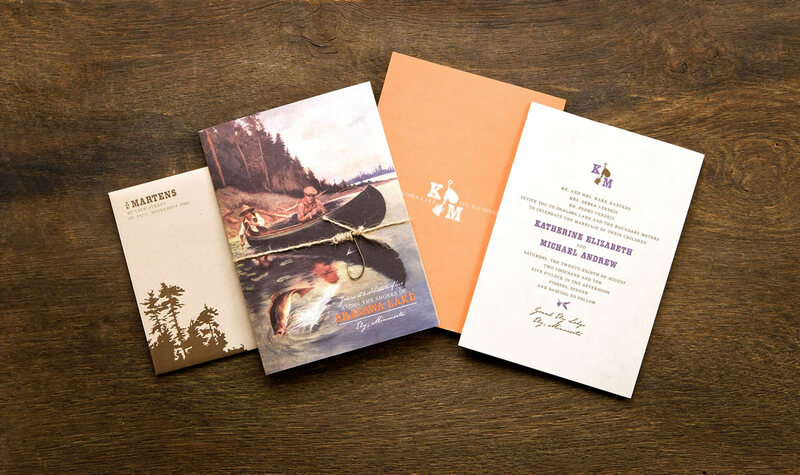 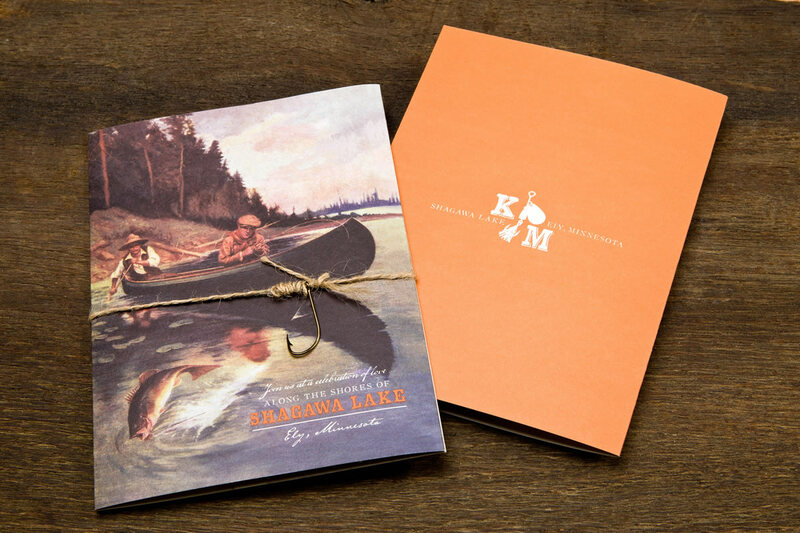 Sugar River printed materials are as refined, expressive and unique as the events they represent. 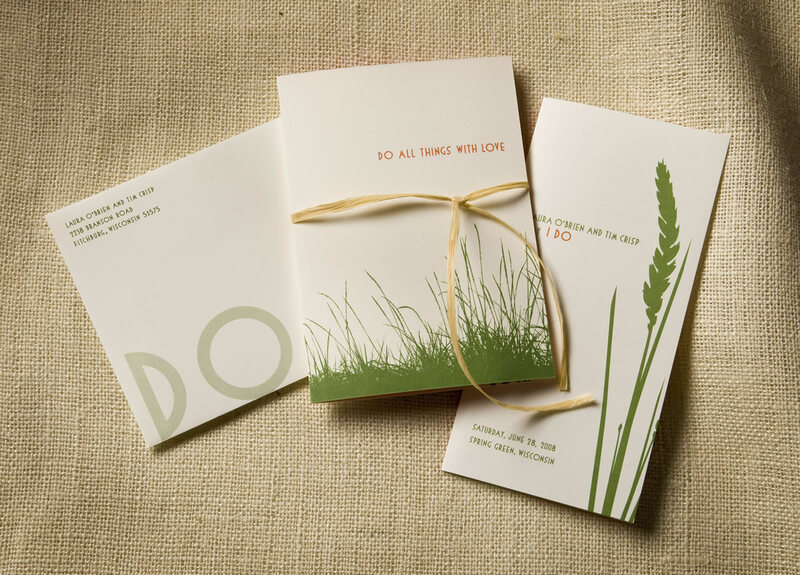 Convey your sentiments artfully. 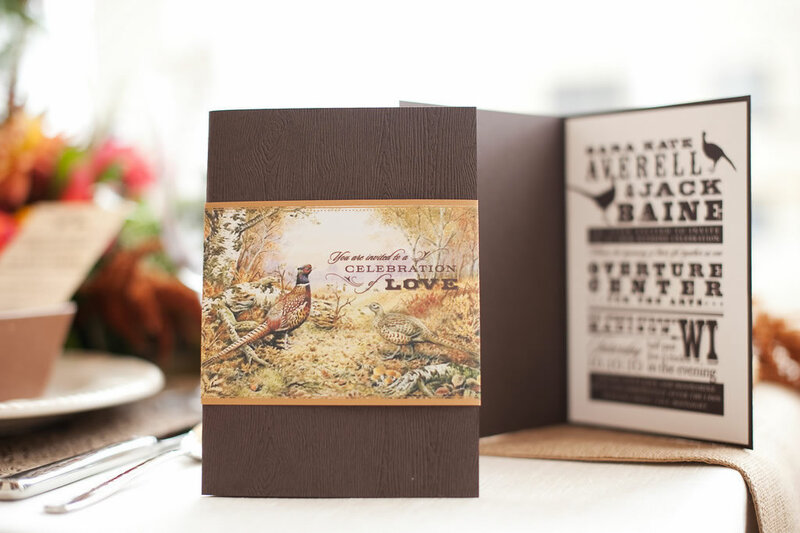 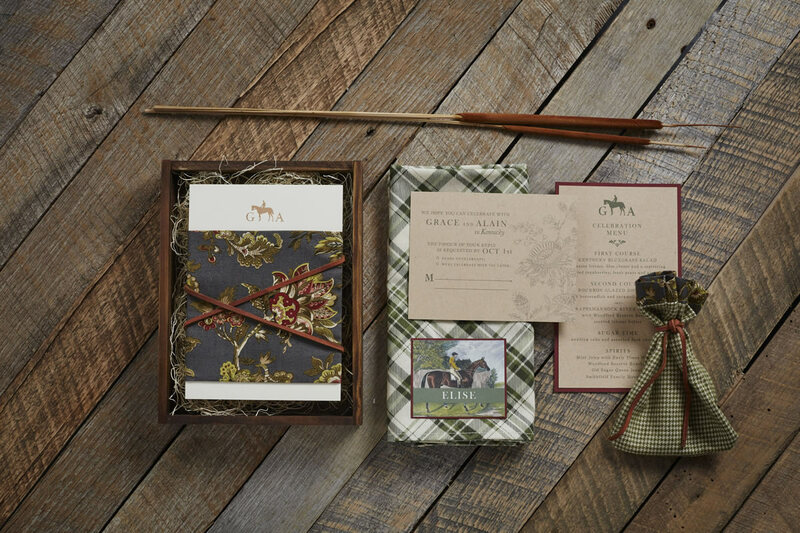 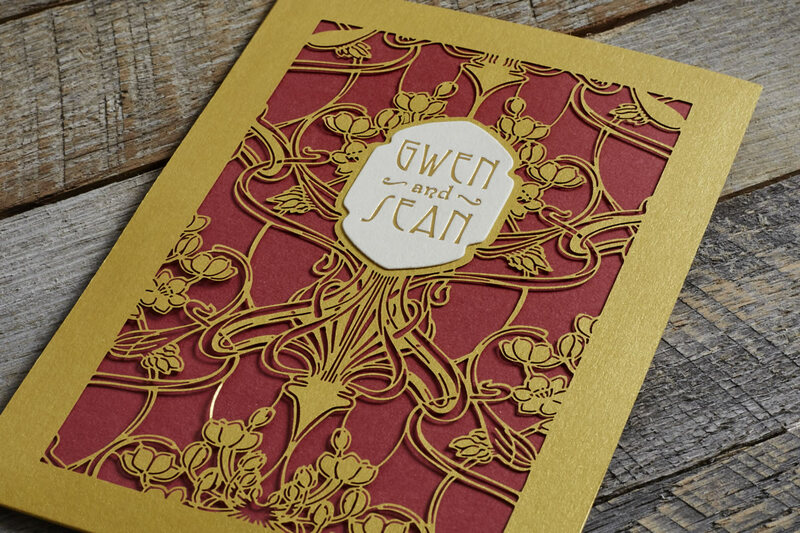 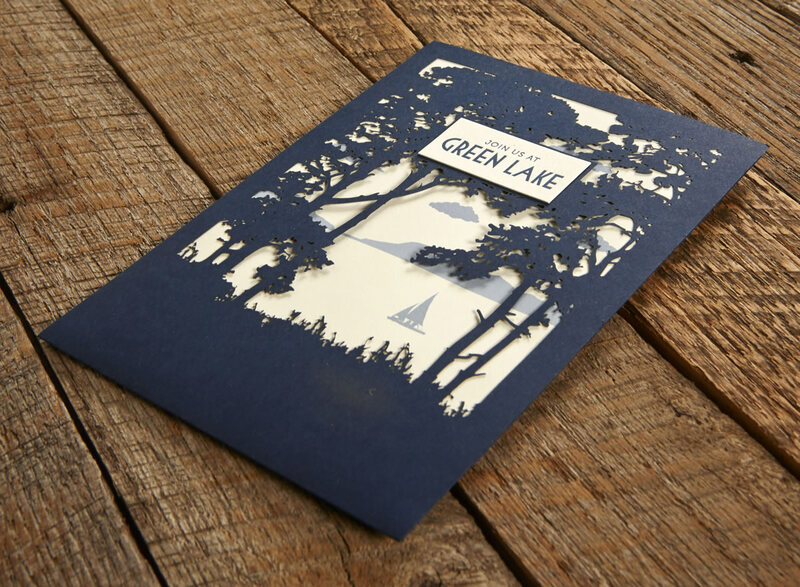 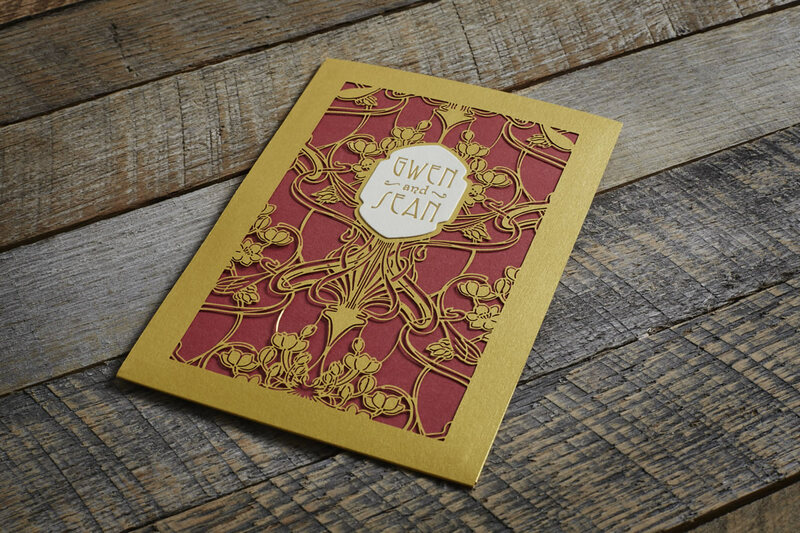 You'll find detail, substance and meaning in each of the pieces Sugar River Stationers creates. 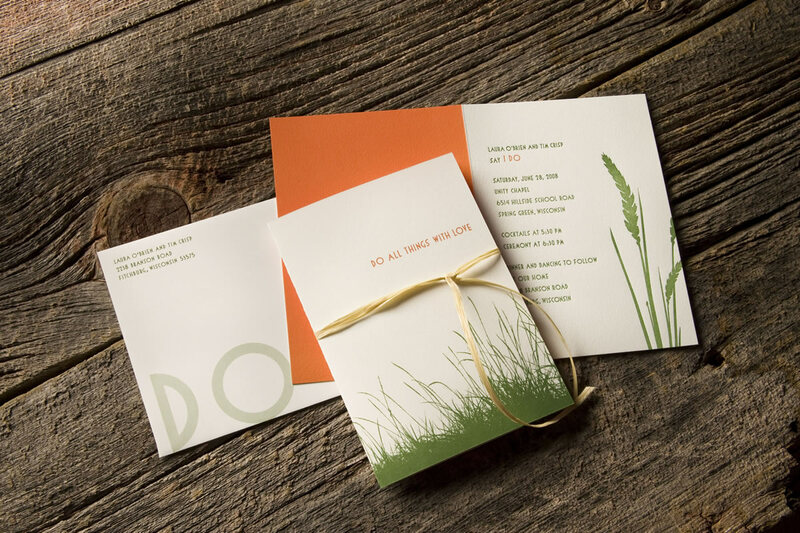 Each component's approach is carefully thought out, whether it's message be visual, verbal or tactile. 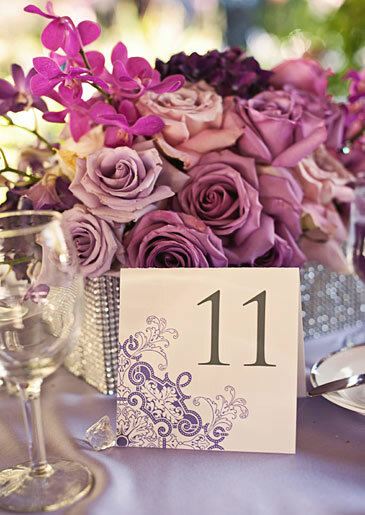 Please contact us to discuss the detail of your job. 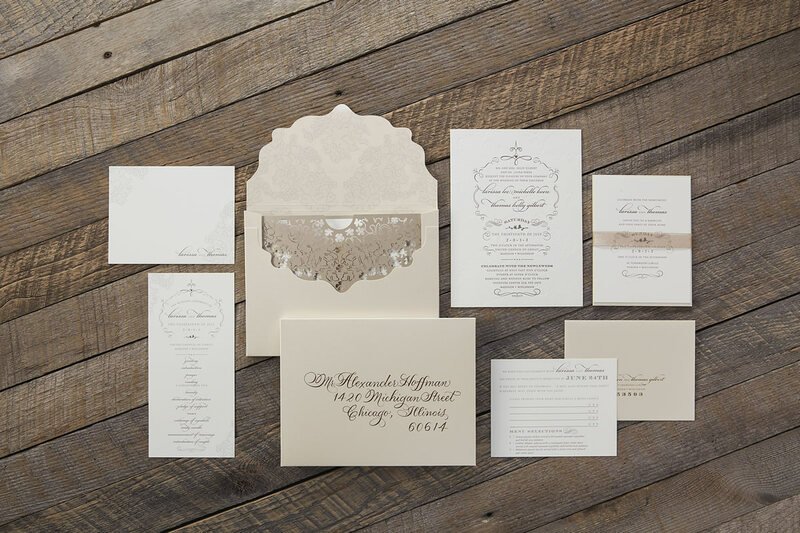 The creative process begins with a brainstorming session to determine approaches for the conceptual design of your stationery items. 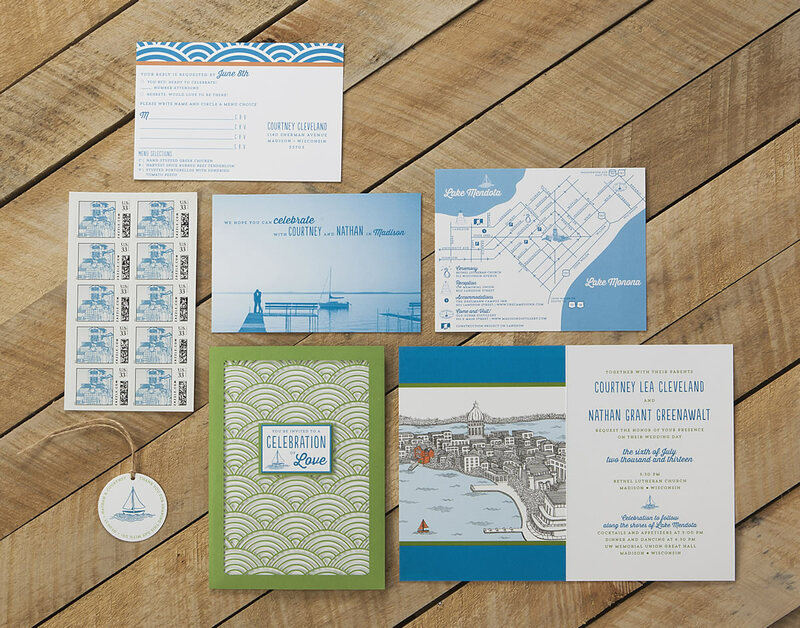 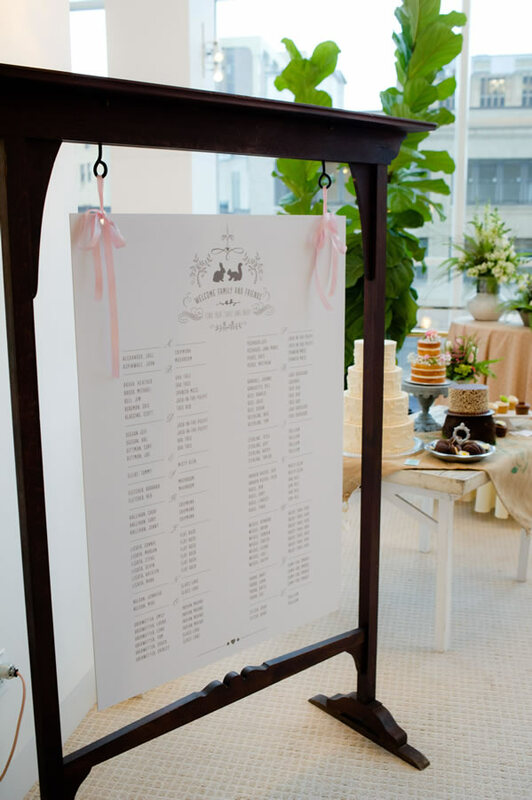 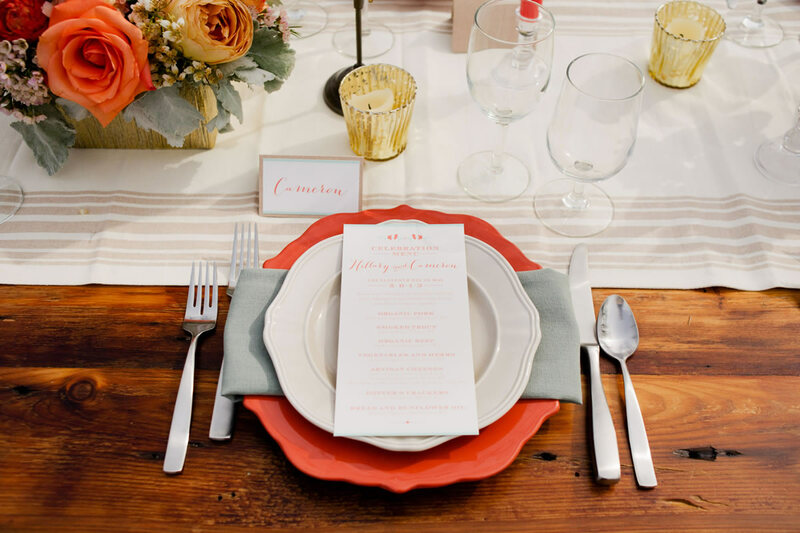 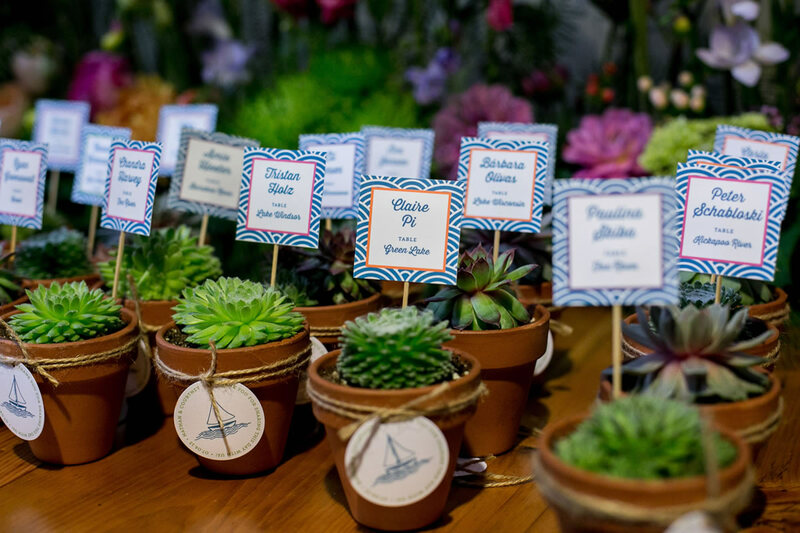 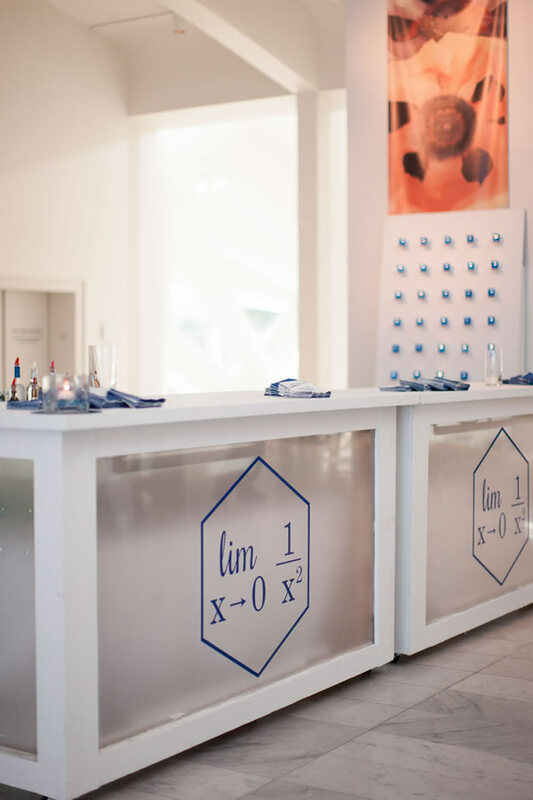 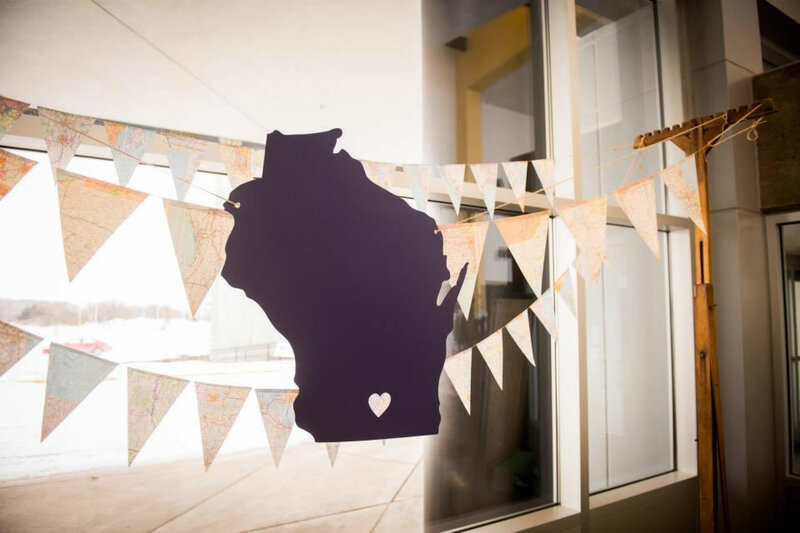 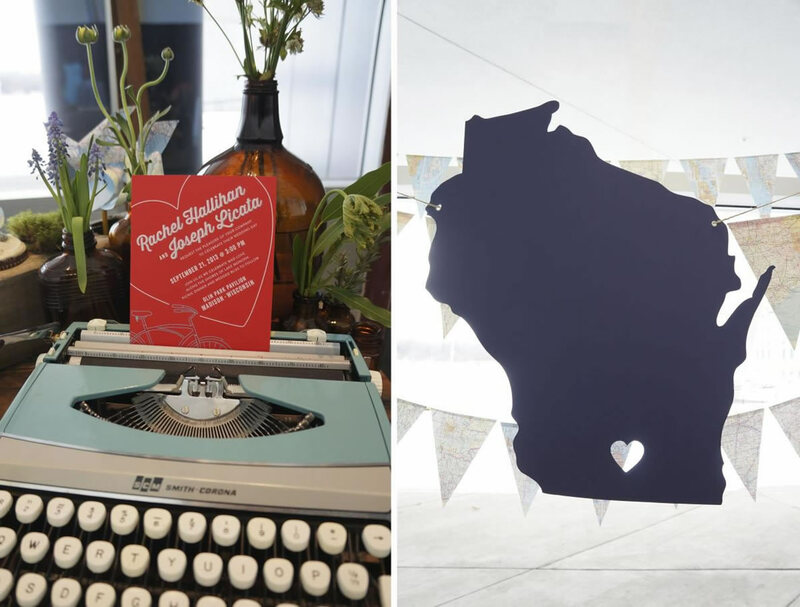 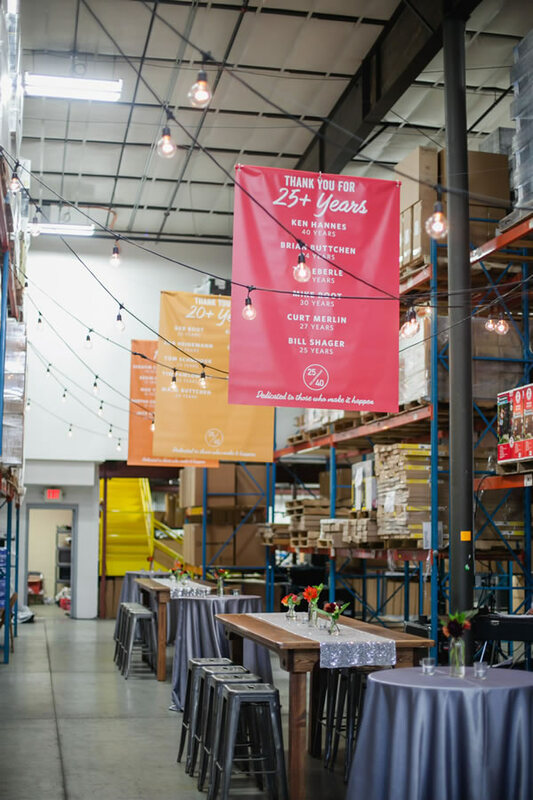 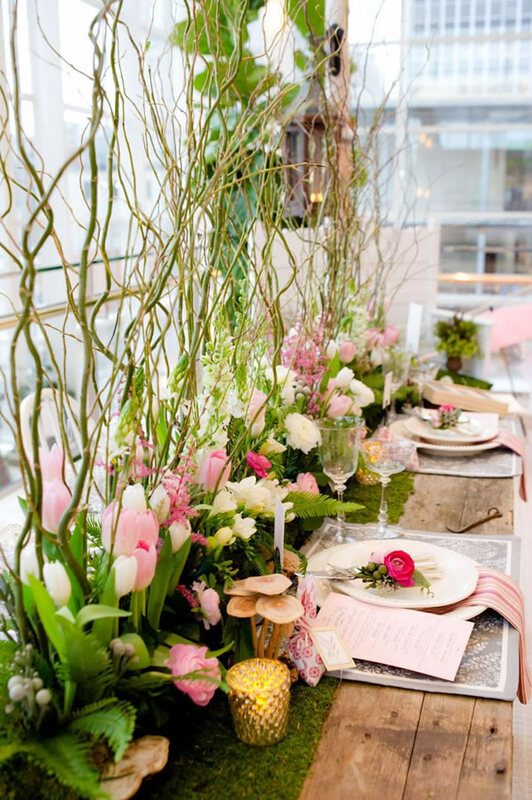 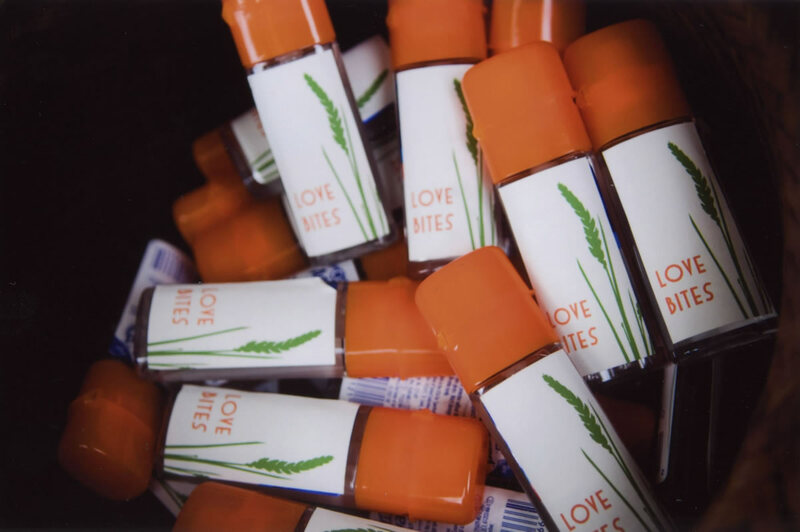 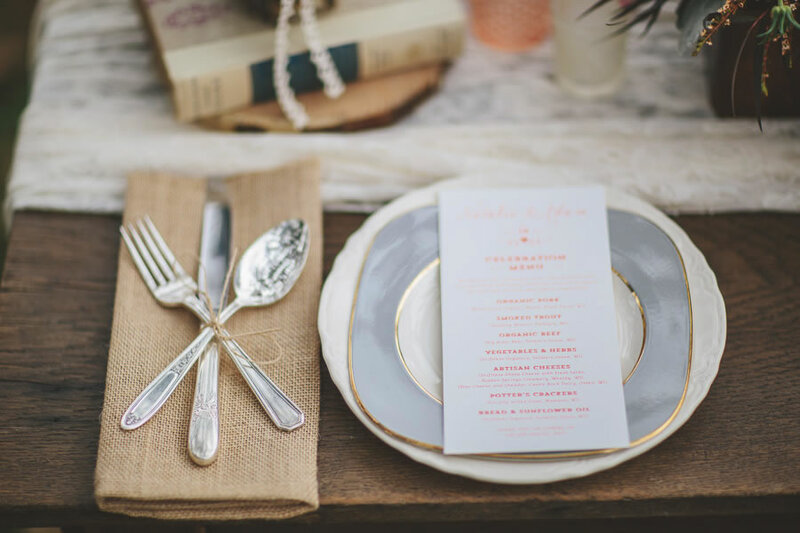 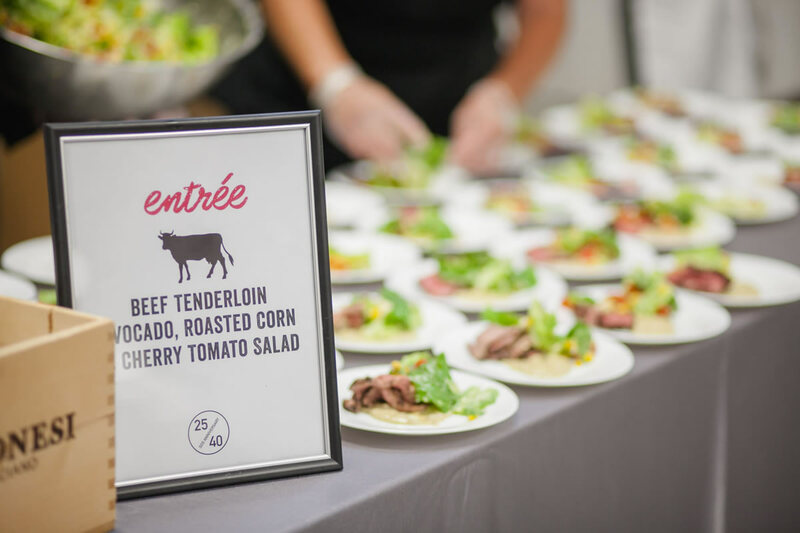 We explore event details, location, and core messages that we want to convey. 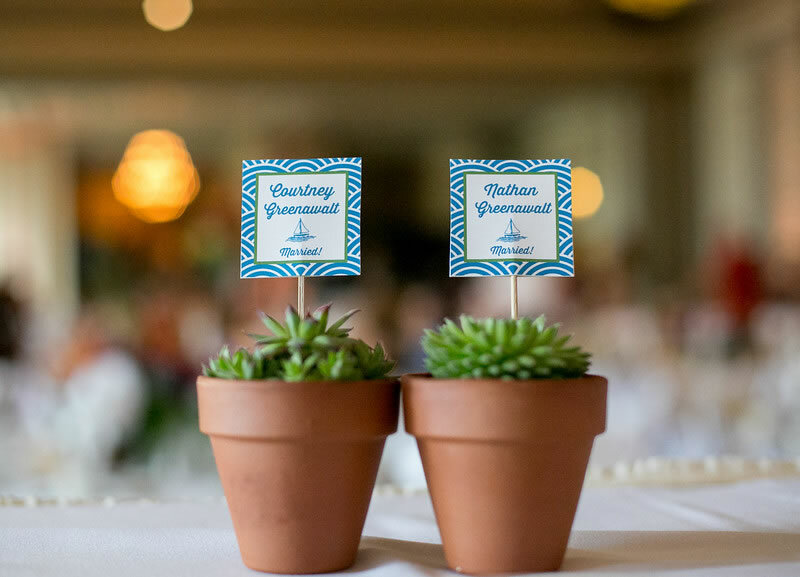 This may include both verbal and visual cues. 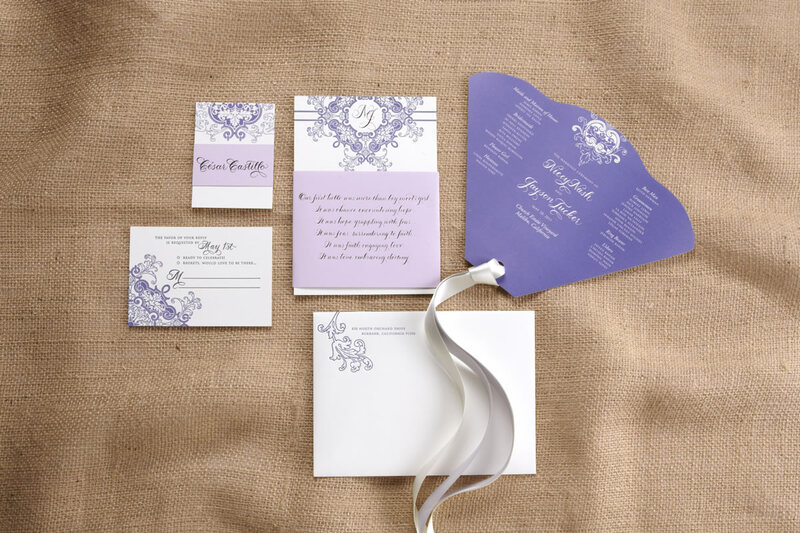 We then develop a scope of work and creative strategy and begin to create individual concepts. 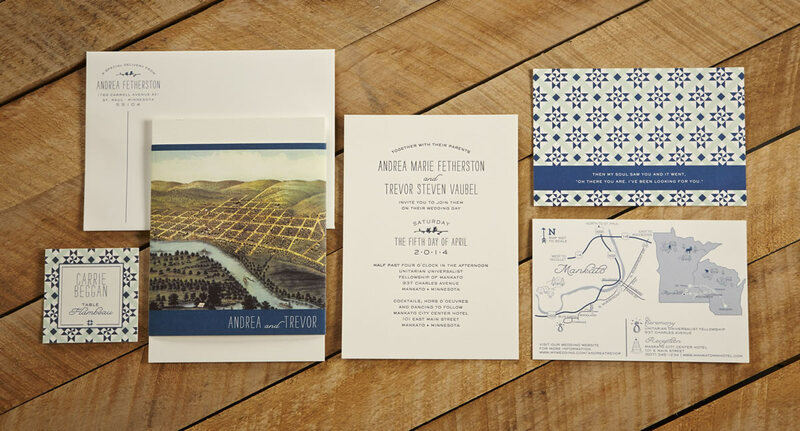 Our process is always collaborative and projects can tell stories about why they were created in such a way. 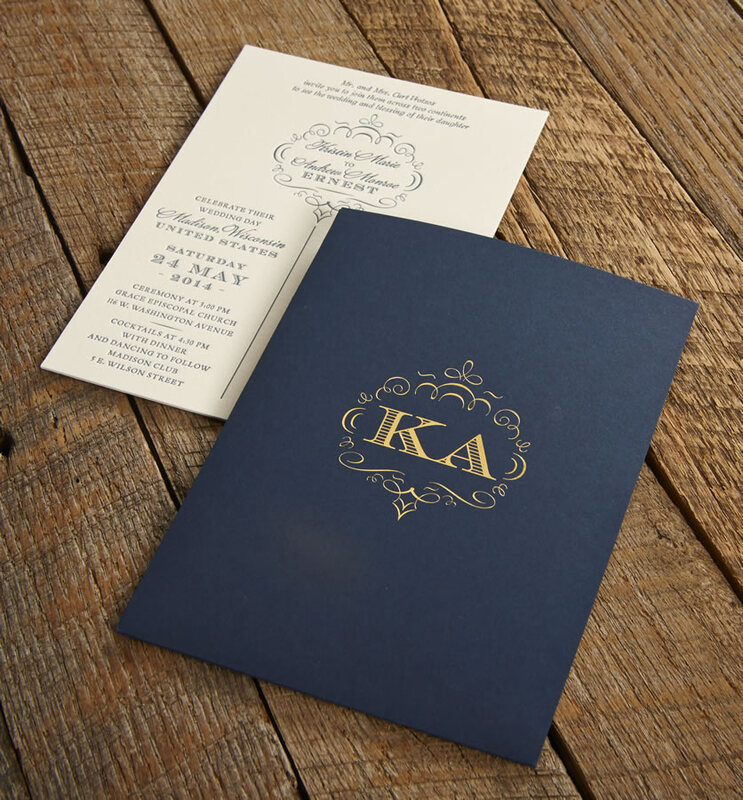 It's a testament that our work closely represents your part in the process. 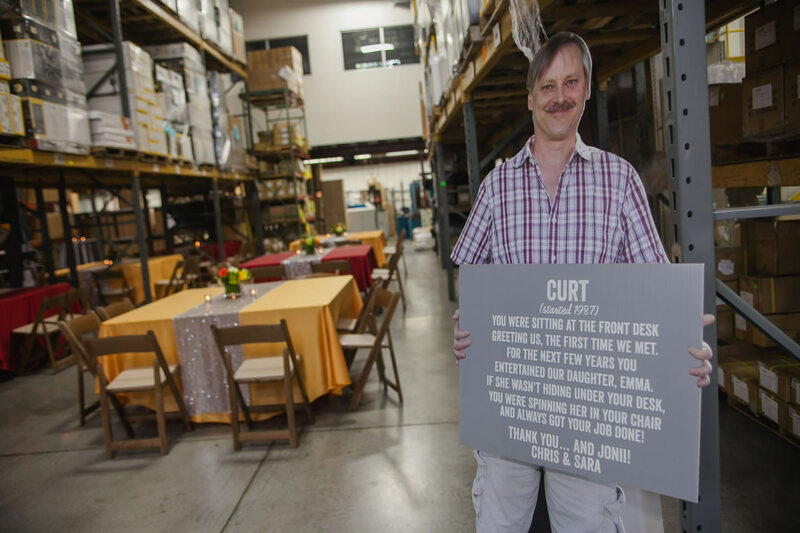 Bring your ideas to the table and see them come to life! 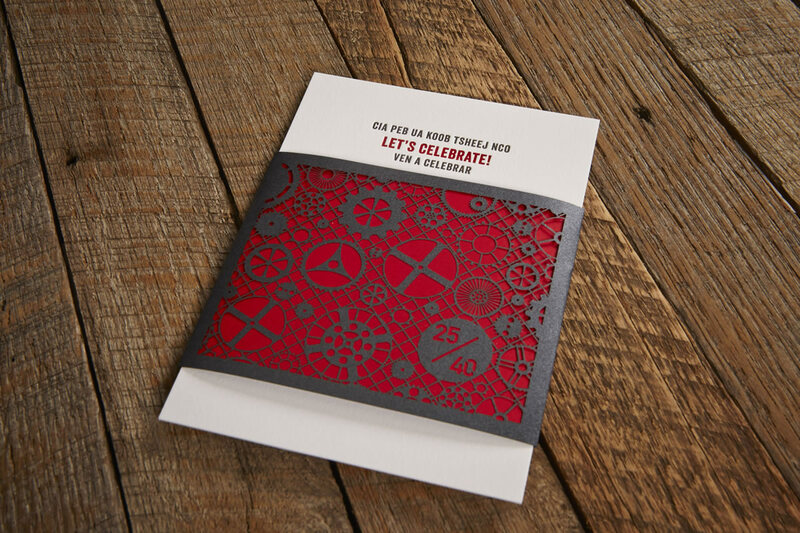 When the creative process catches fire, ideas come to life - those inside and "outside the box". 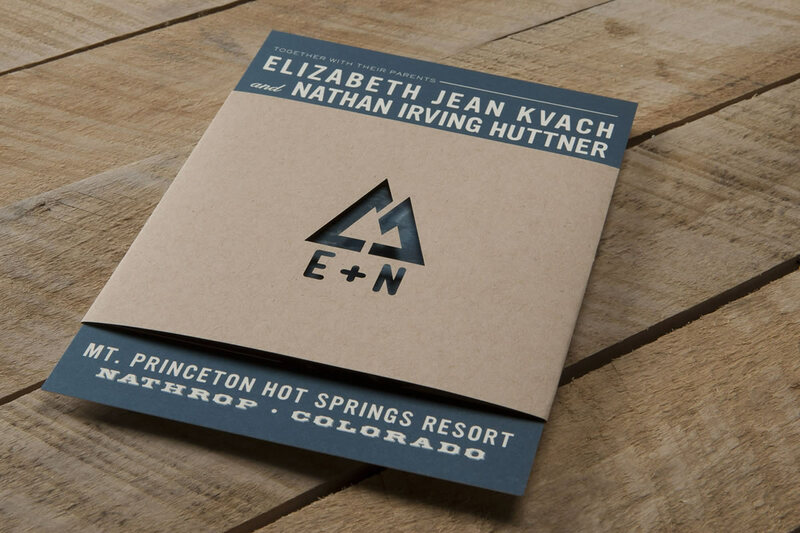 Once you select a finished concept, it is carried through proofing, print production and delivery. 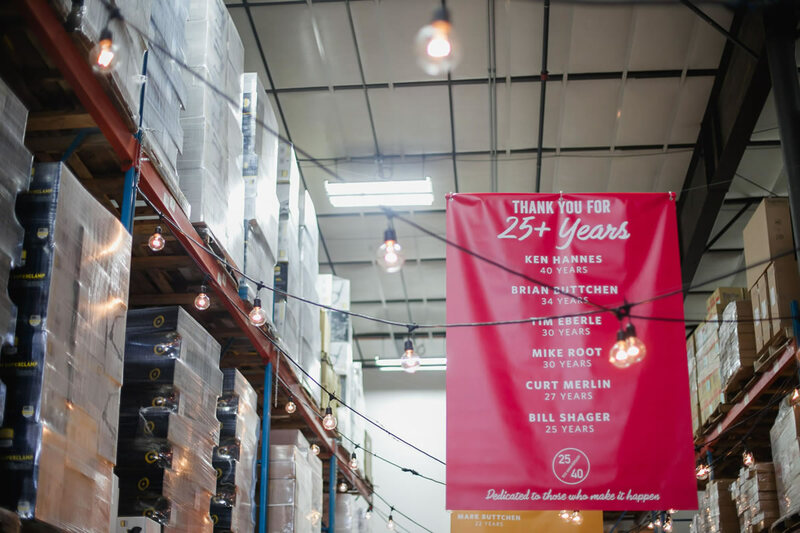 Our production team is among the nation’s best, continually striving for quality and bringing new ideas to the table. 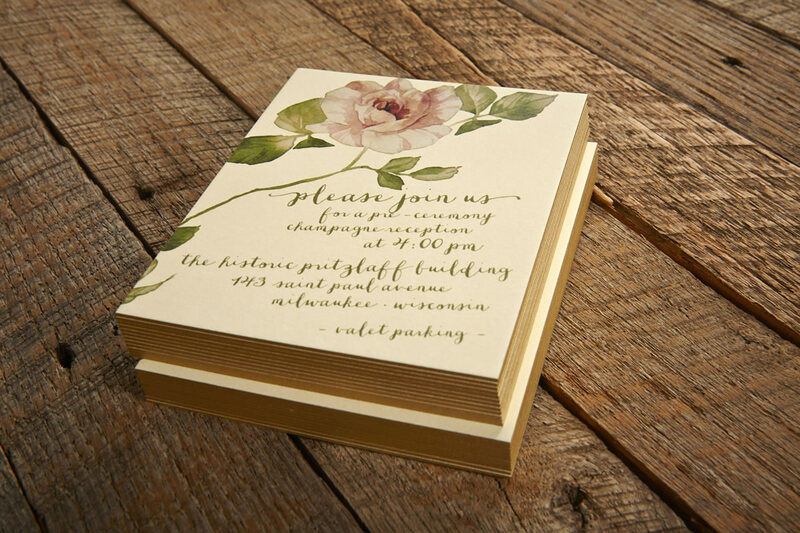 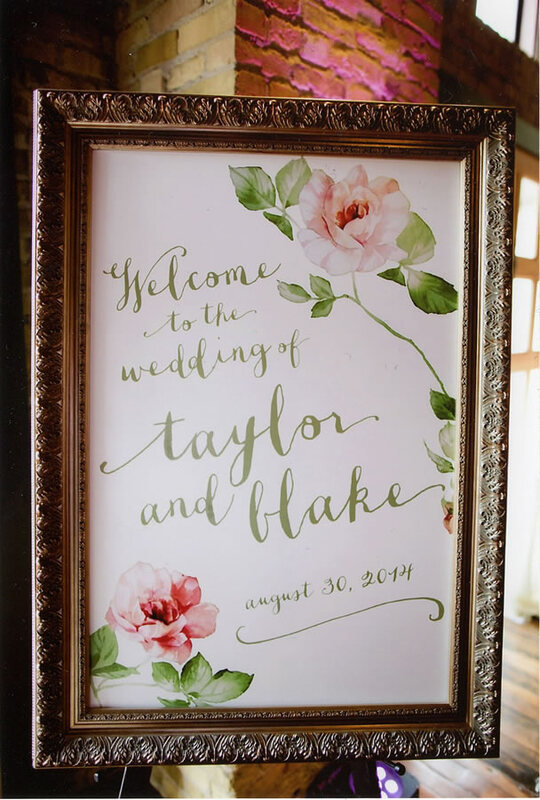 Printing estimates and timelines are determined by the number of components required, format, quantity of items ordered, customization, paper stock and desired print techniques such as letterpress, foil stamping, embossing, engraving, etc. 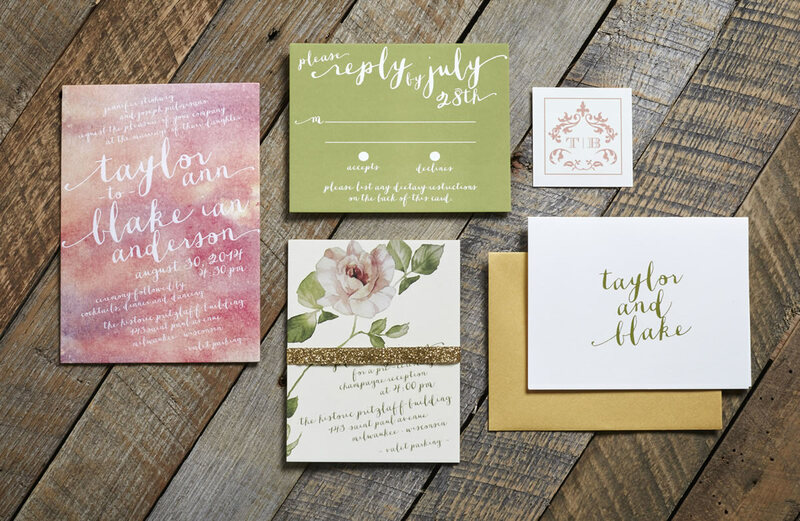 Uniting clean lines, fresh colors, and a tactile quality, Sugar River Stationer’s provides a signature, timeless style. 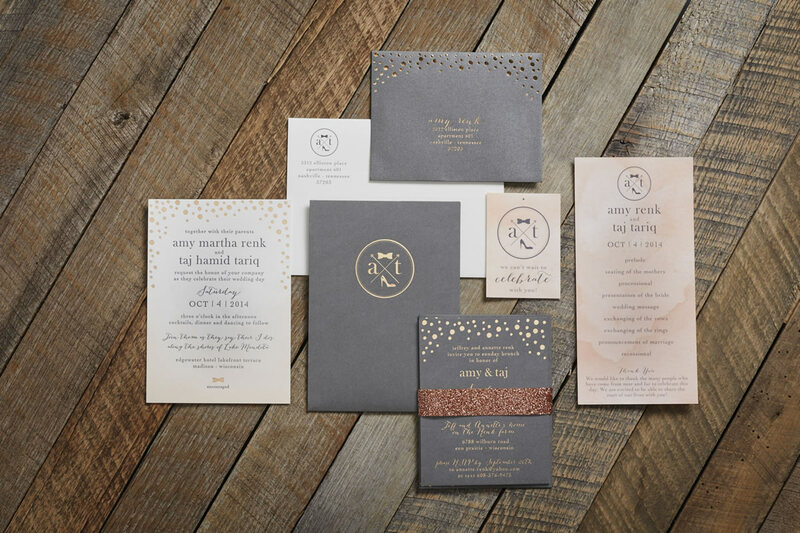 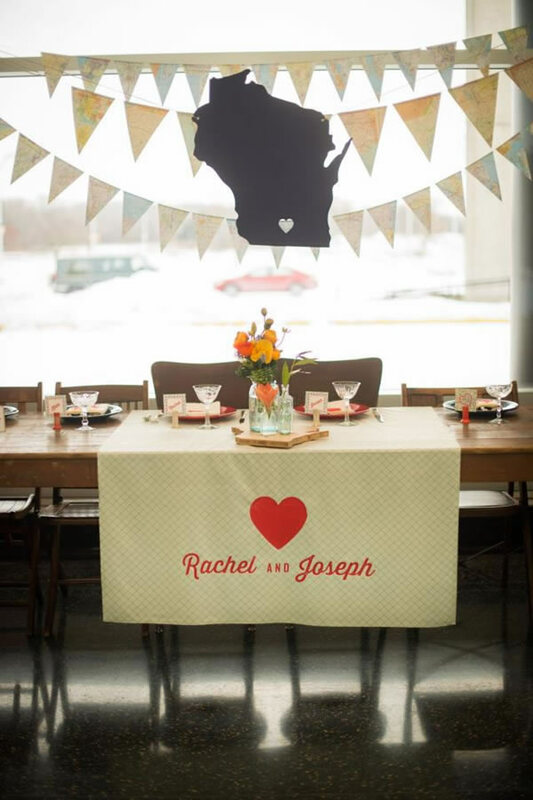 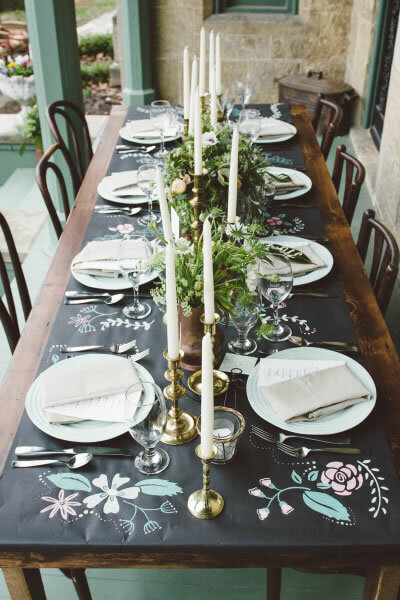 Custom wedding designs are created to echo your personal aesthetic and theme, be it from traditionally understated to progressively modern, or anyplace in between, we create designs that are unique and specifically created for you. 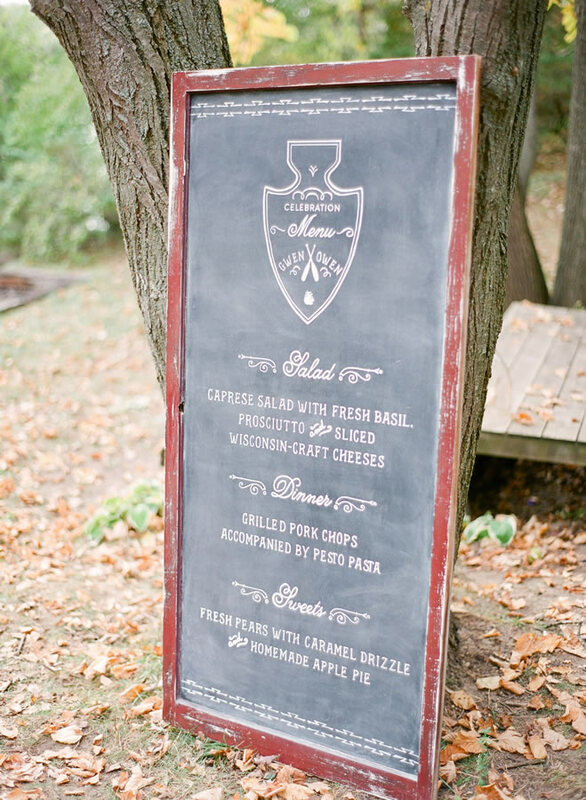 We'll be out and about again this fall. 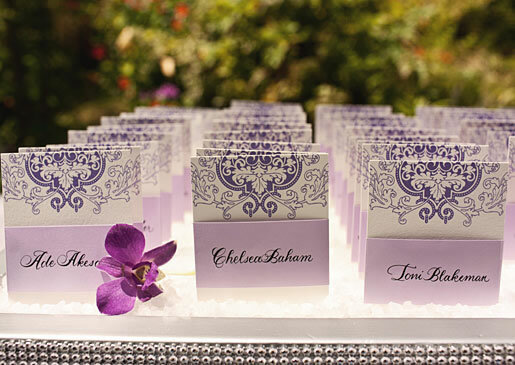 Events will be posted shortly.